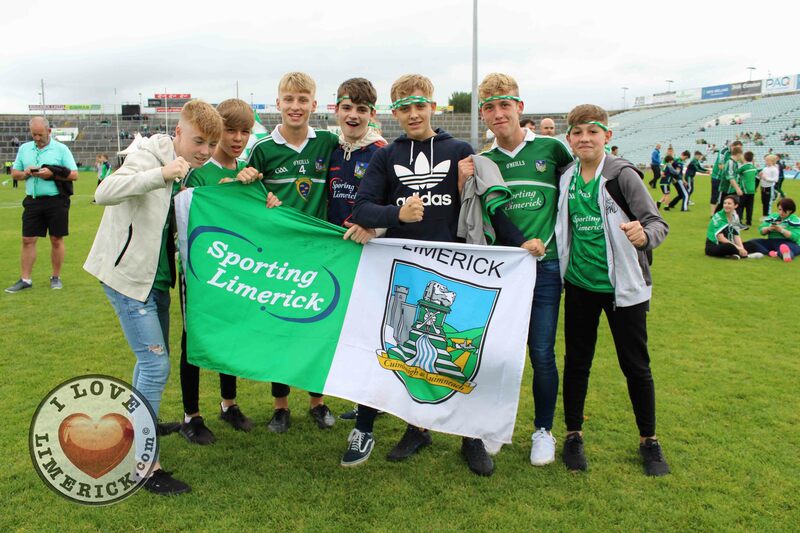 The Limerick team with the Liam McCarhty Cup at the Limerick homecoming in the Gaelic Grounds on Monday, August 20, 2018. 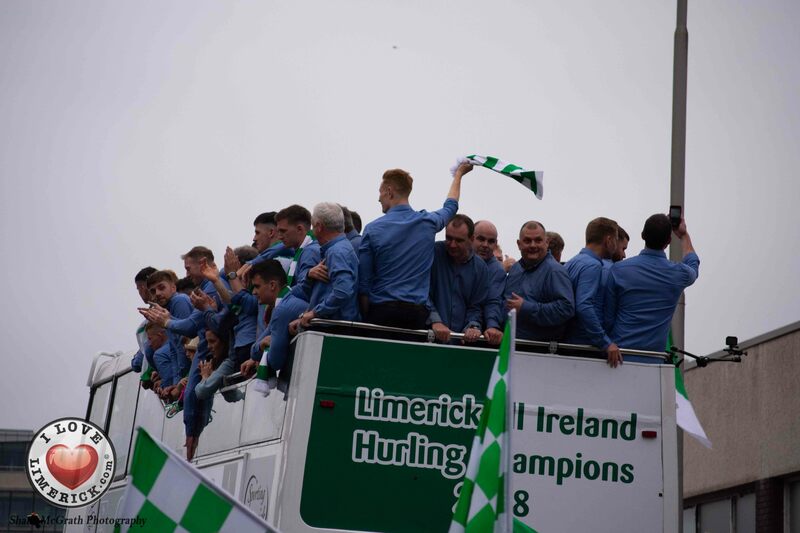 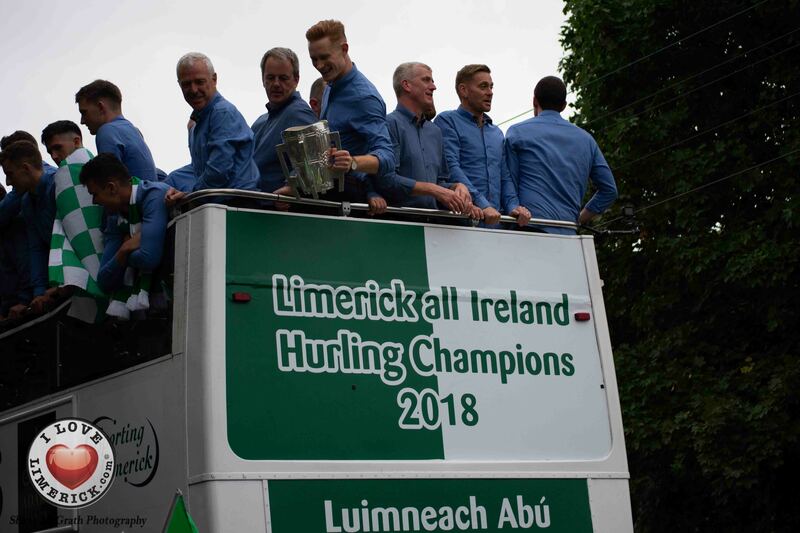 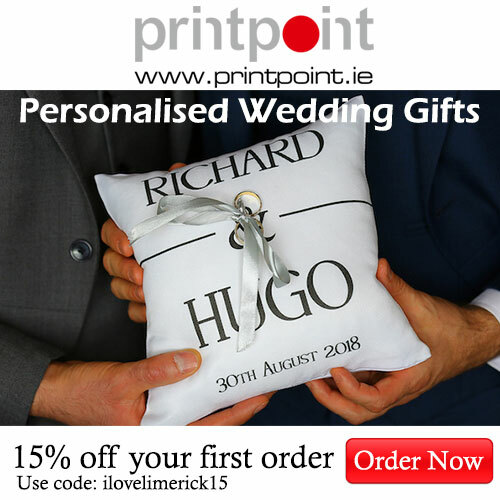 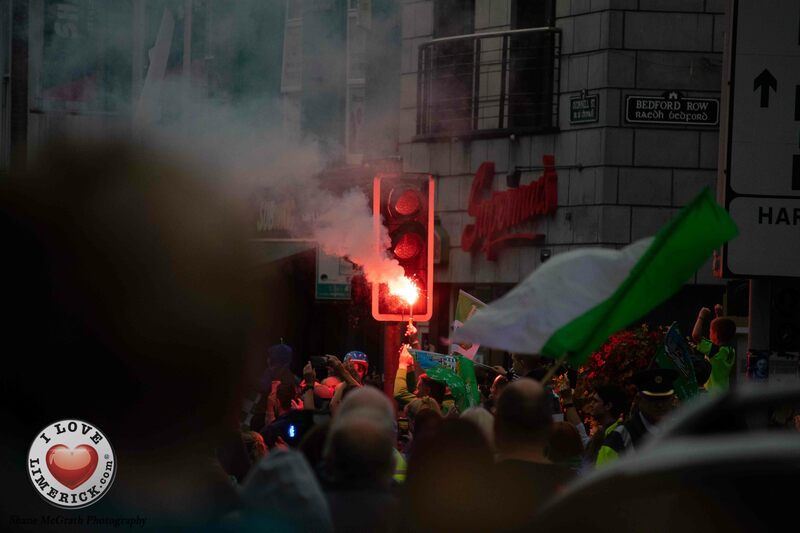 The All-Ireland senior hurling champions received an incredible Limerick homecoming from an estimated 120,000 Limerick fans throughout the city. 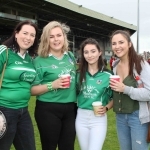 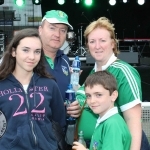 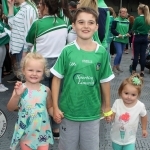 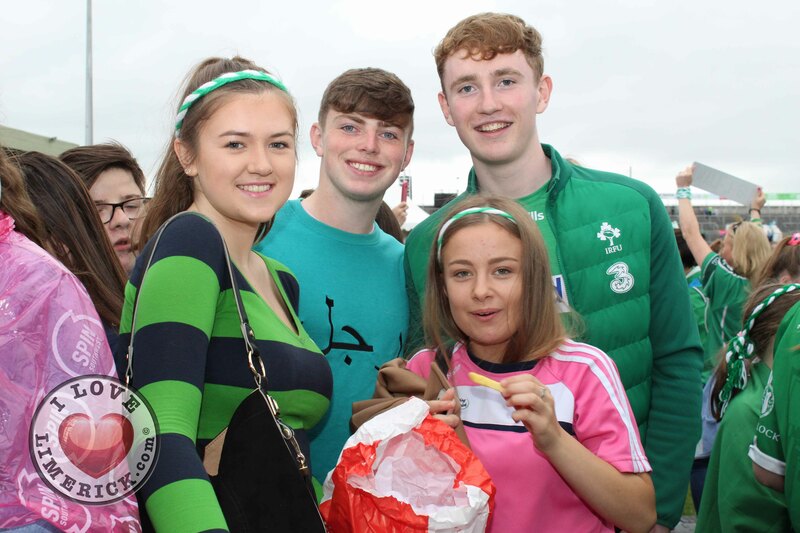 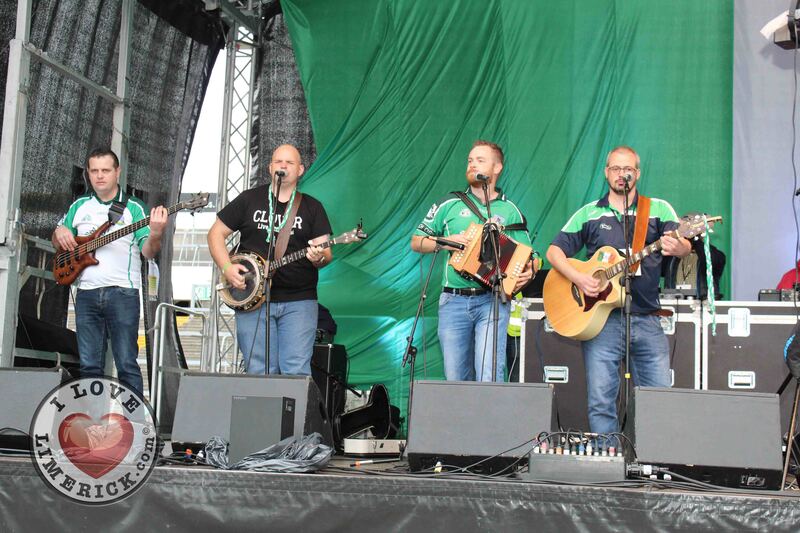 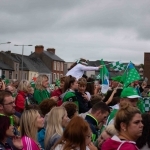 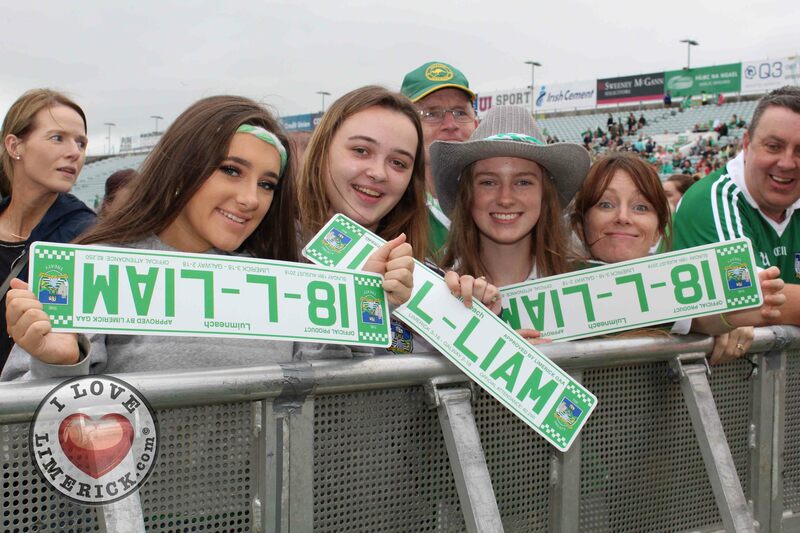 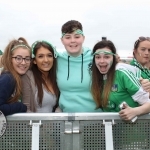 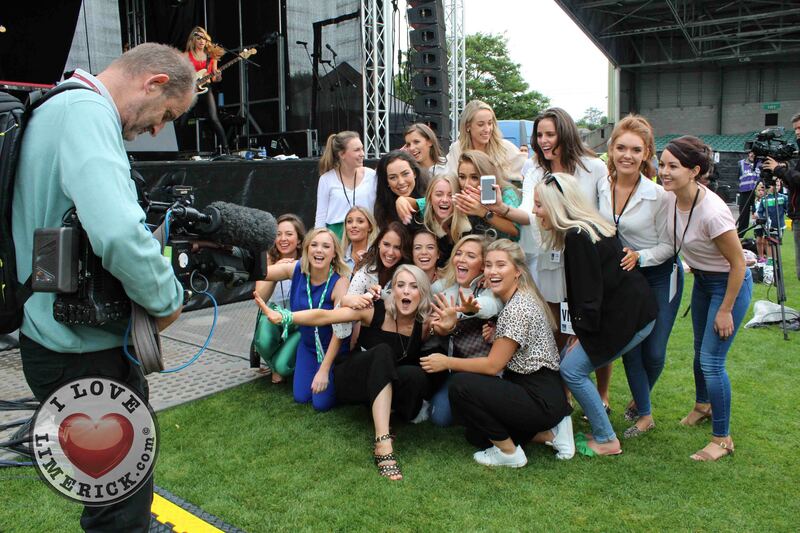 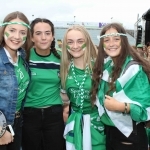 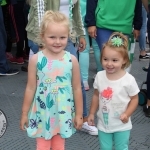 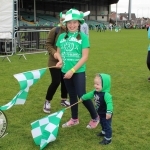 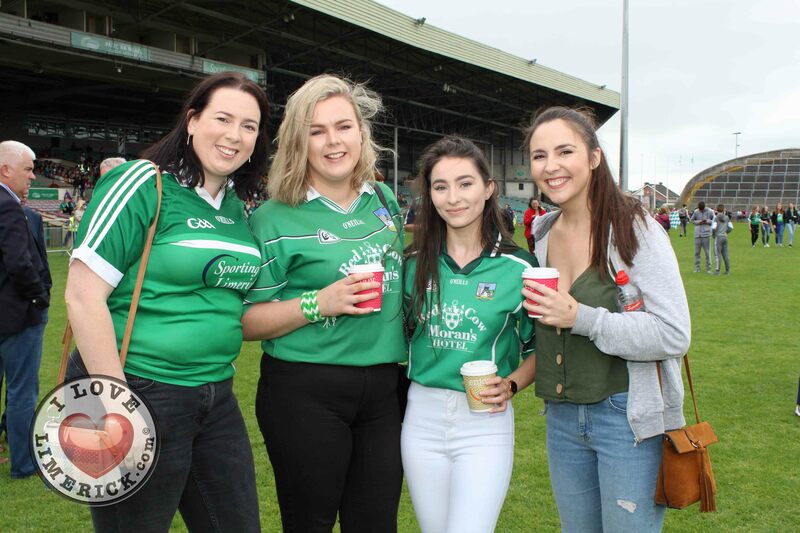 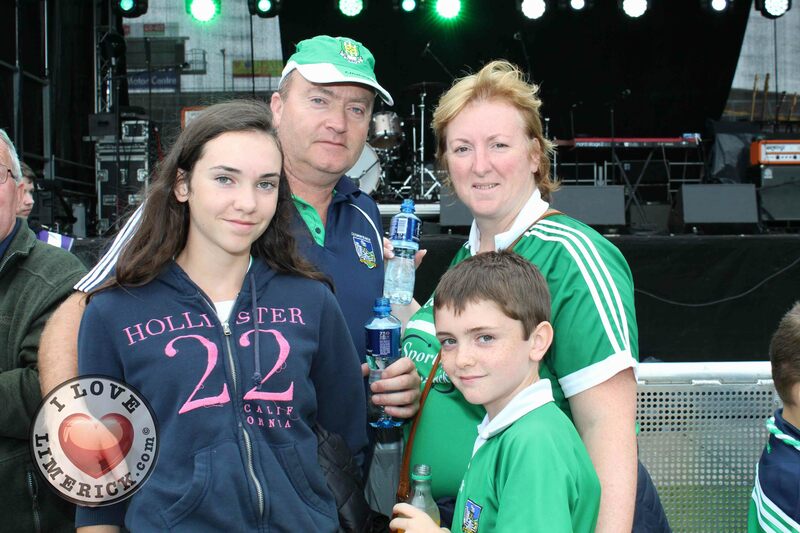 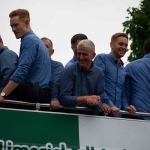 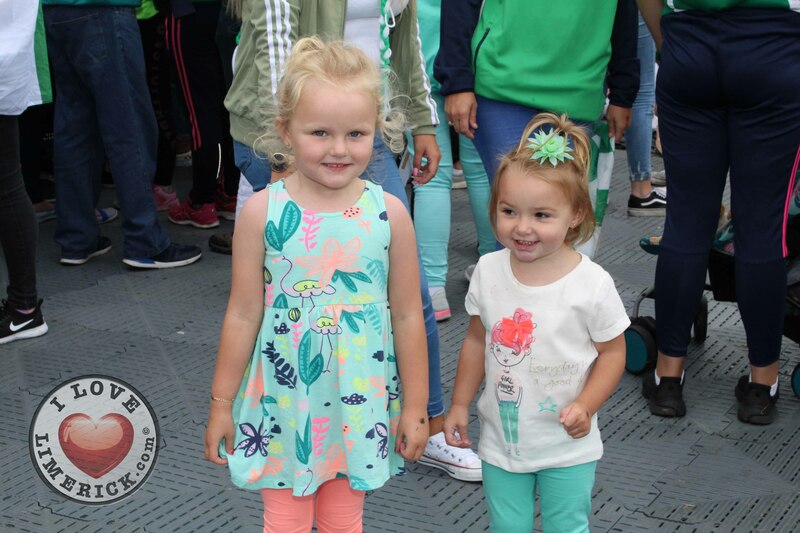 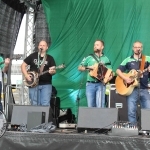 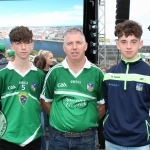 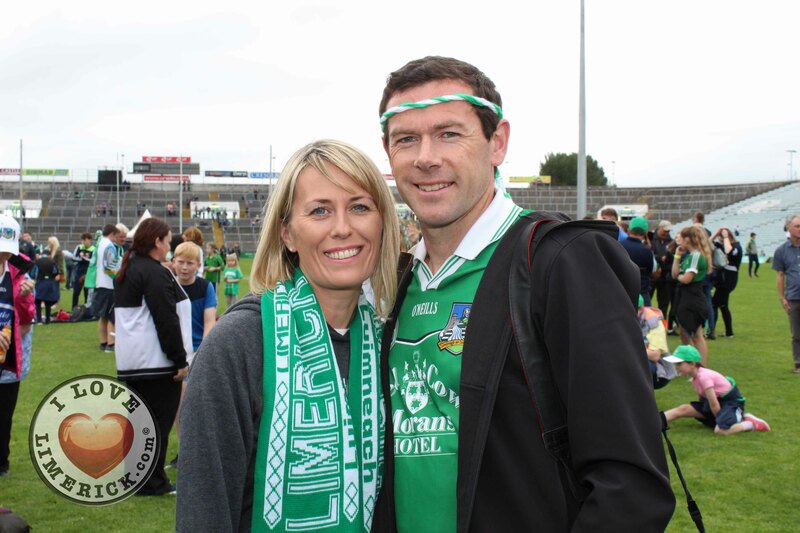 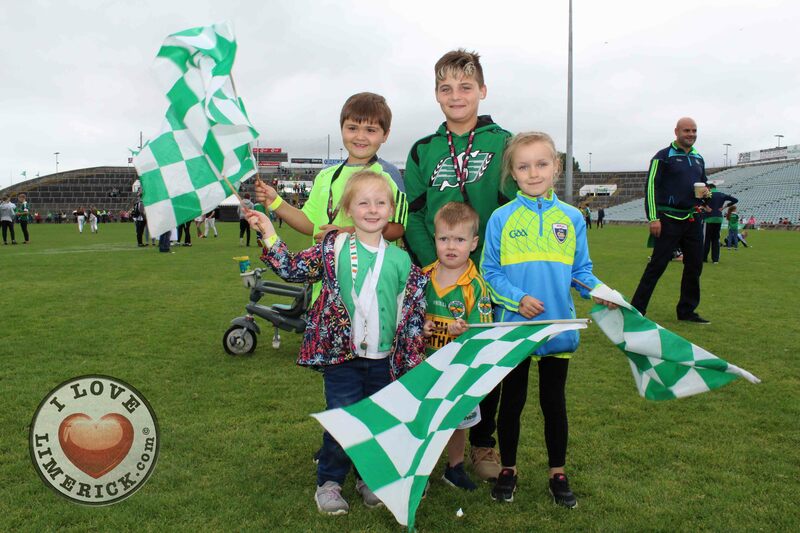 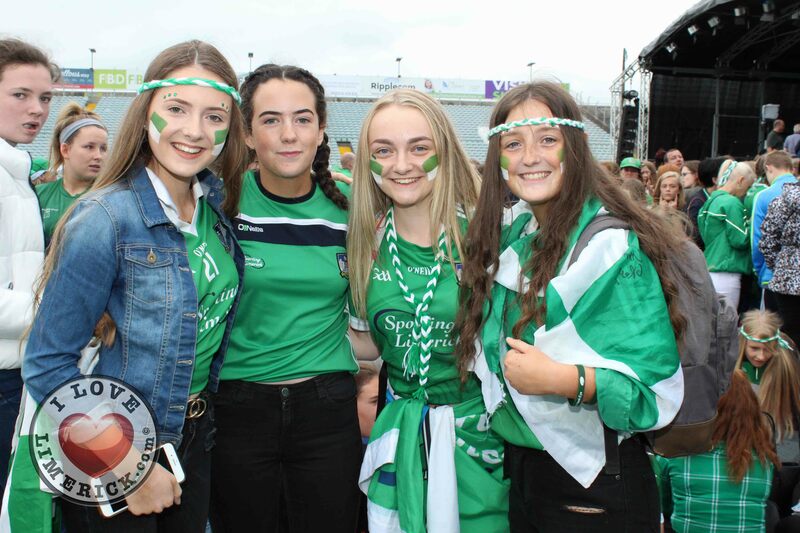 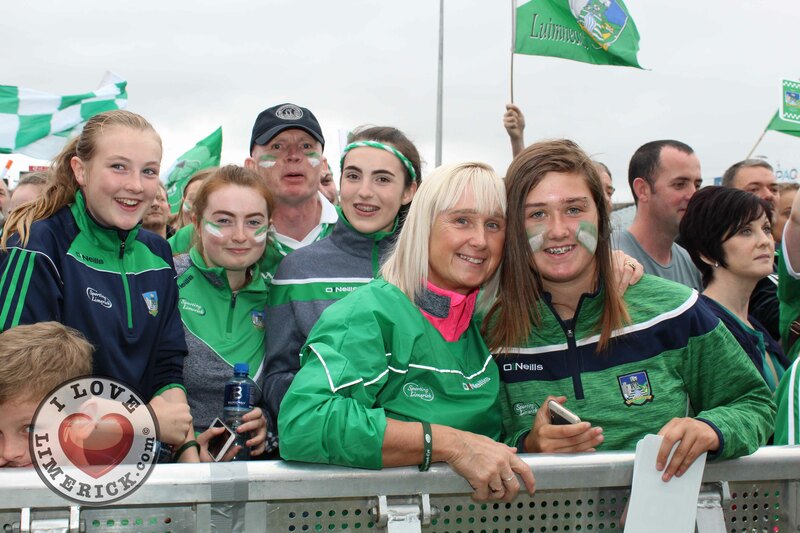 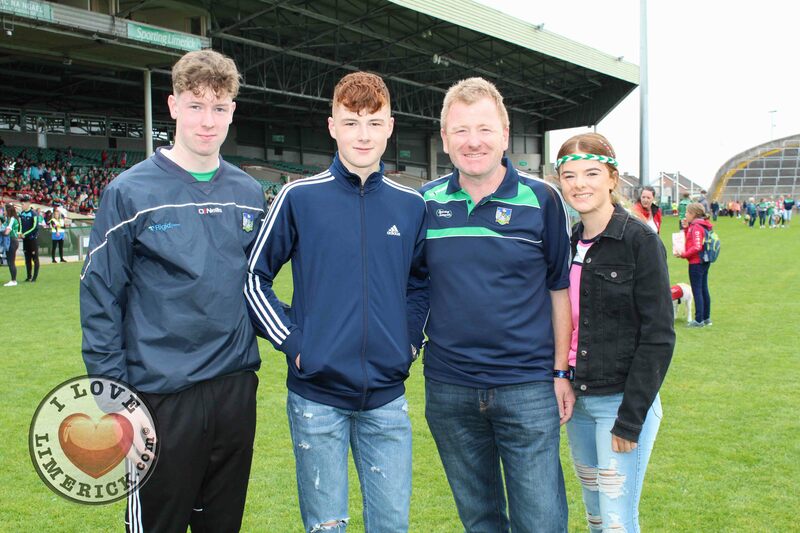 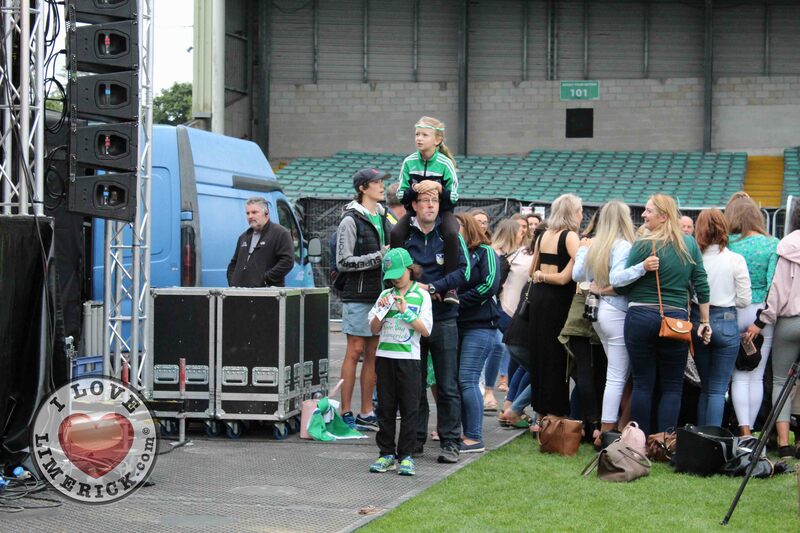 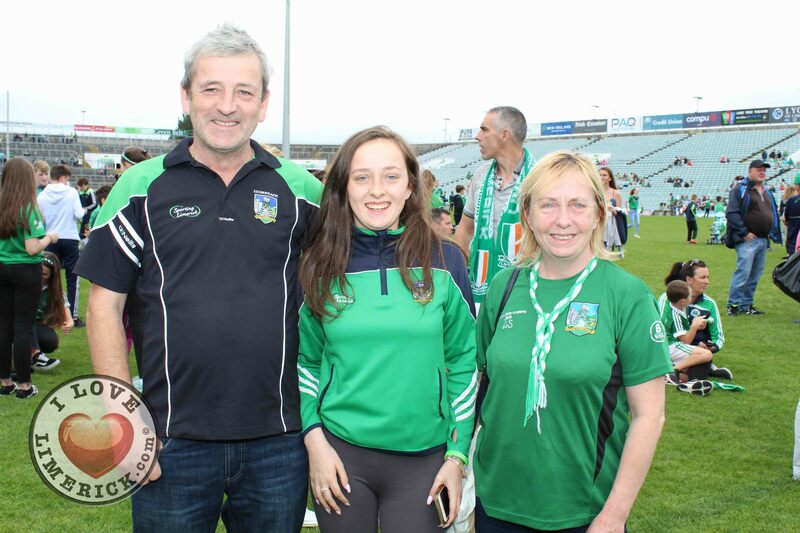 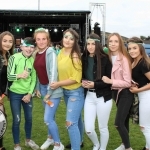 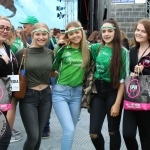 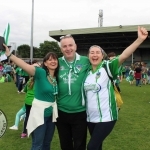 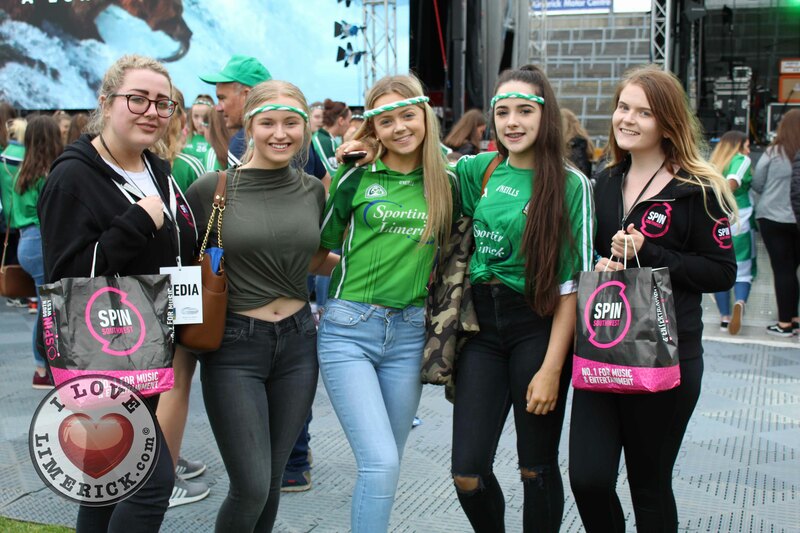 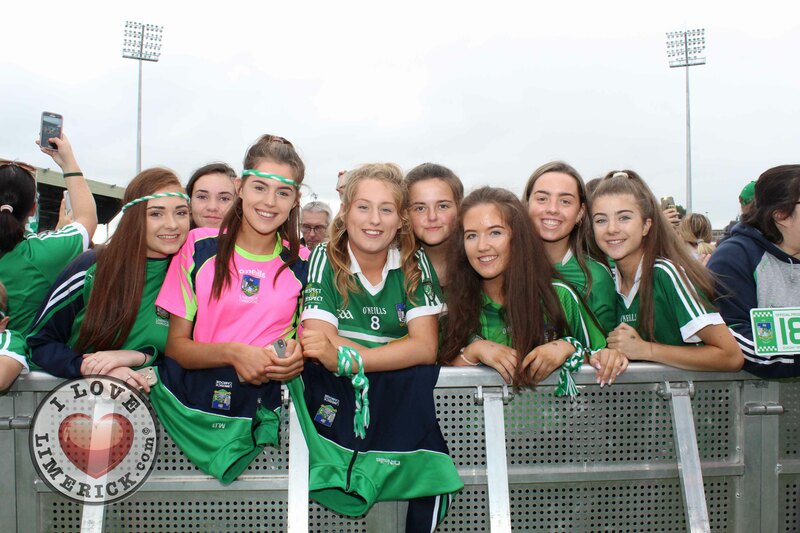 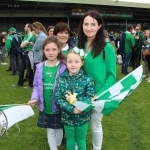 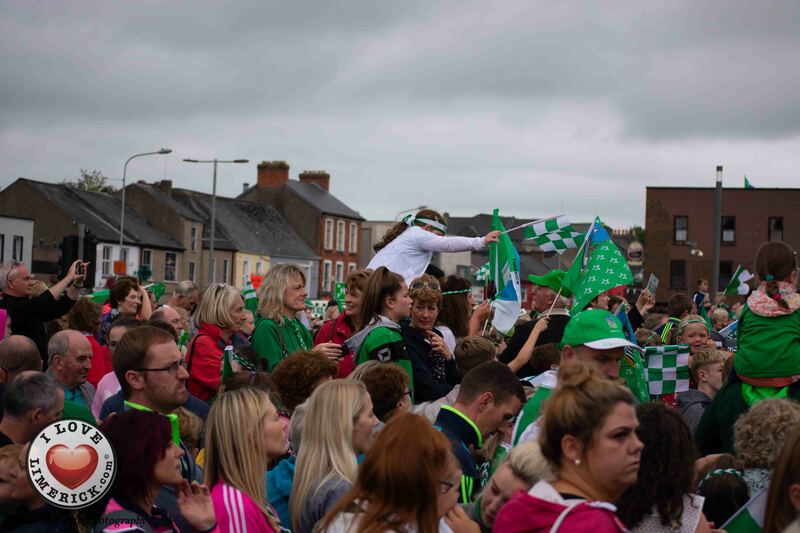 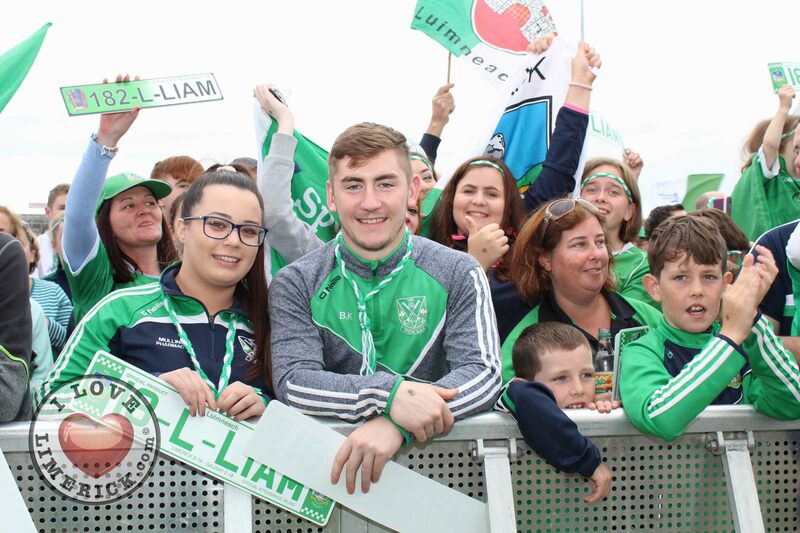 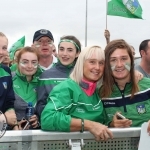 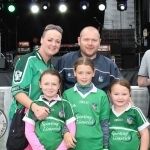 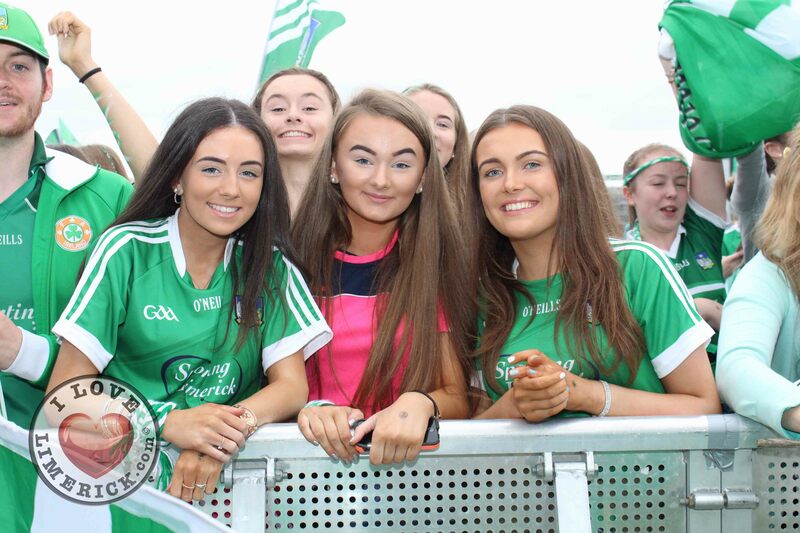 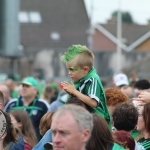 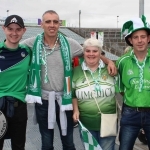 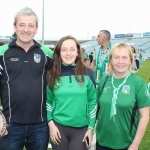 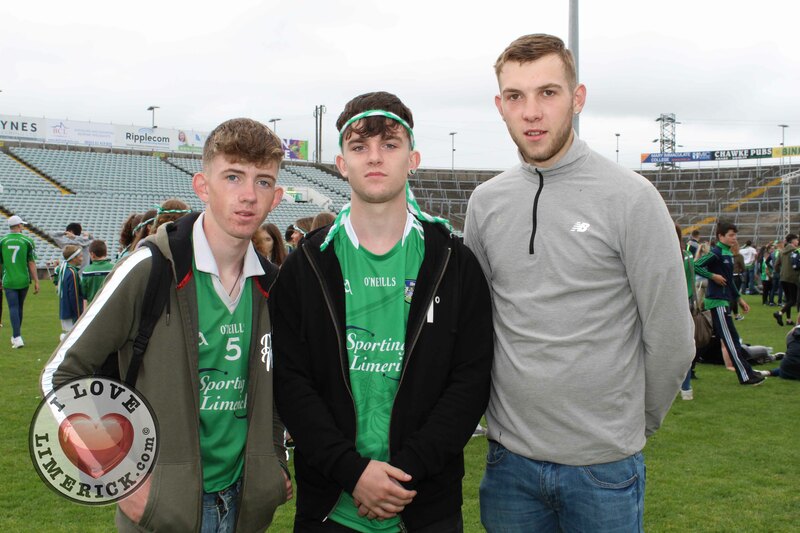 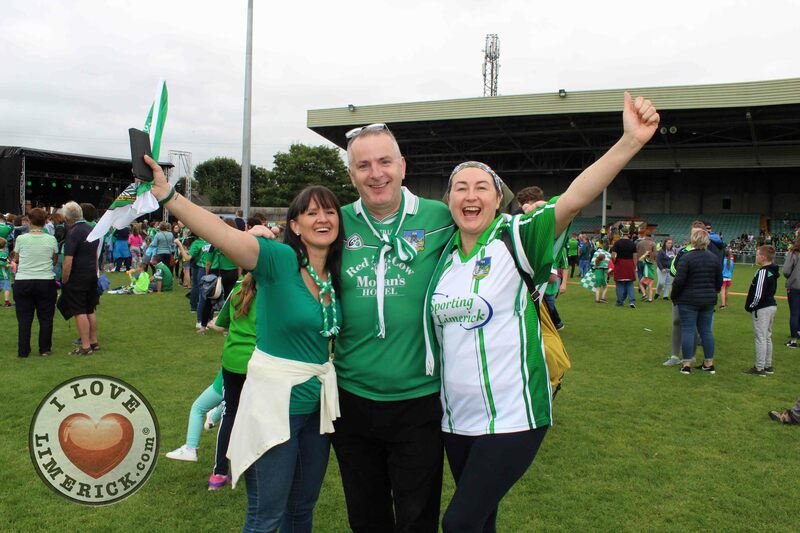 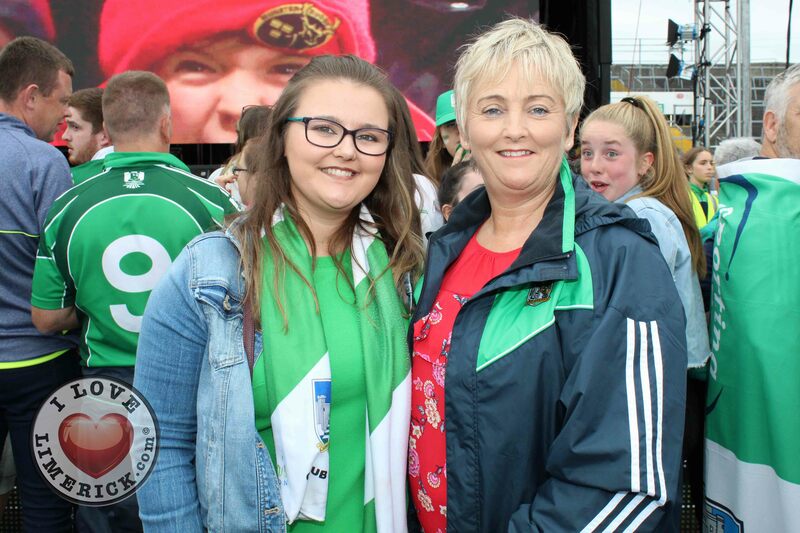 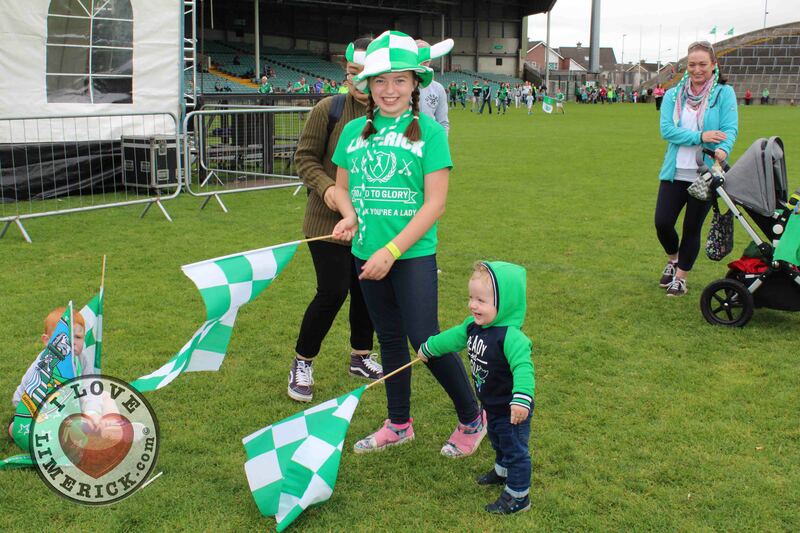 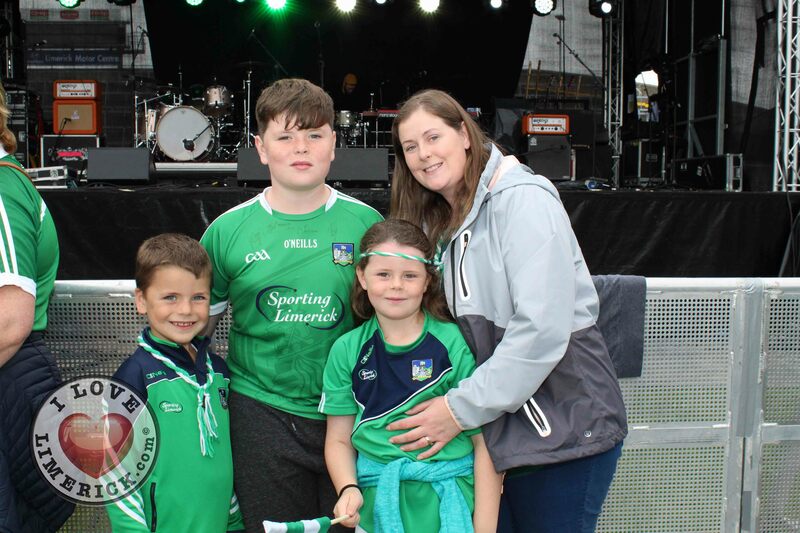 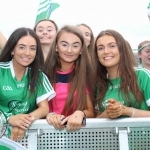 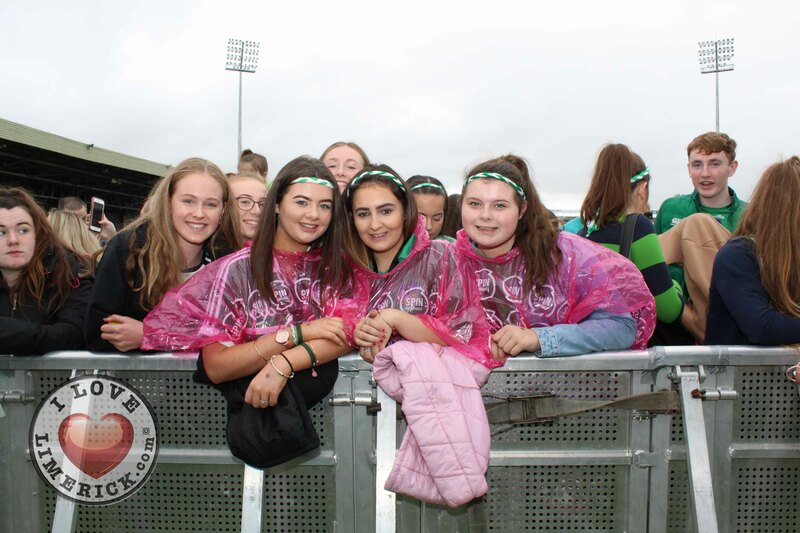 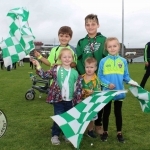 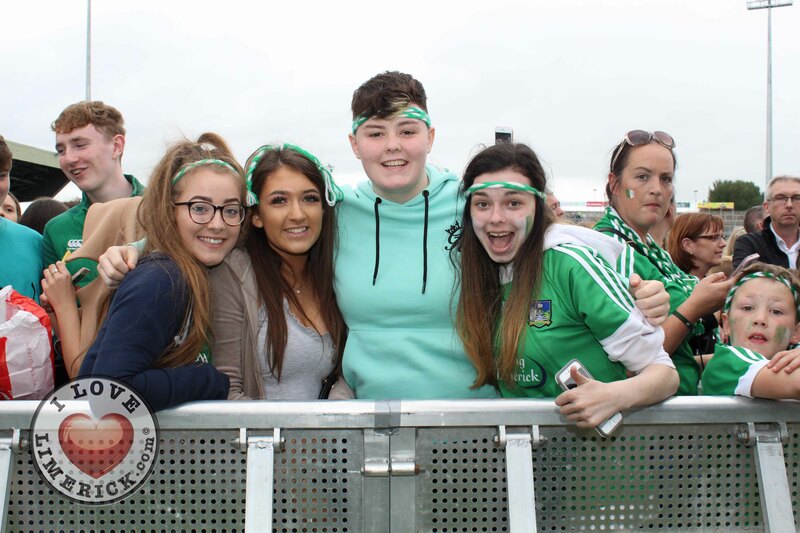 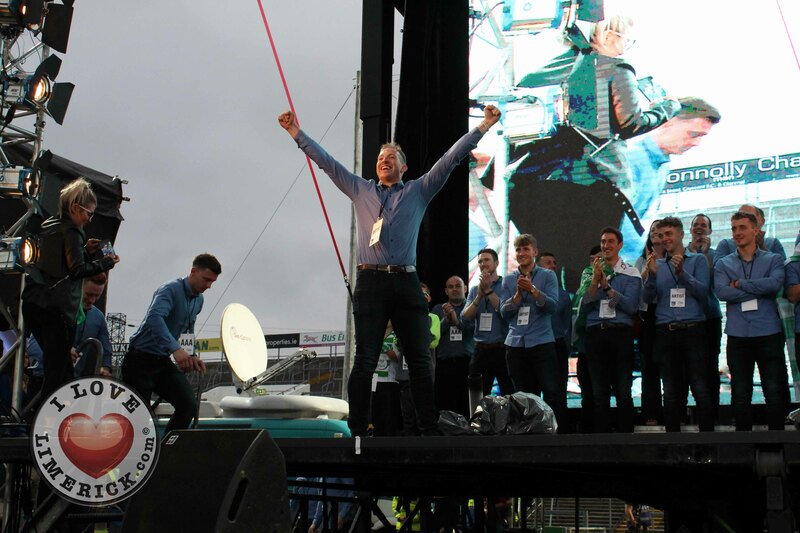 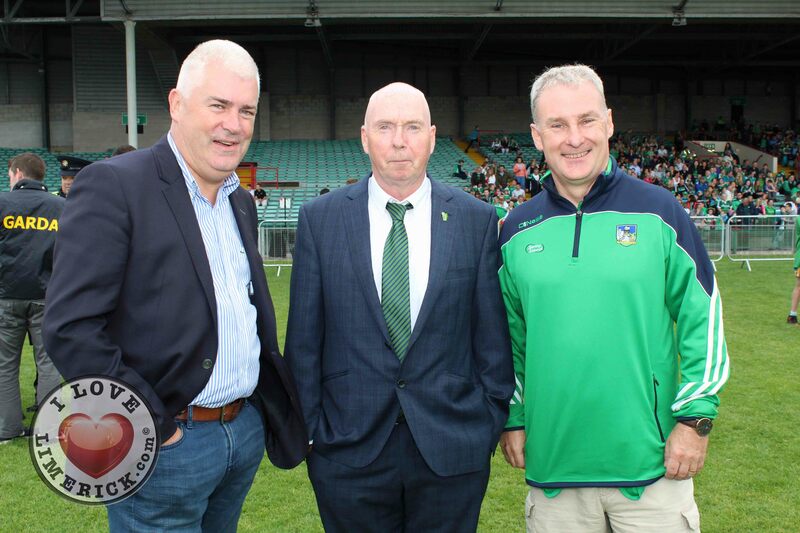 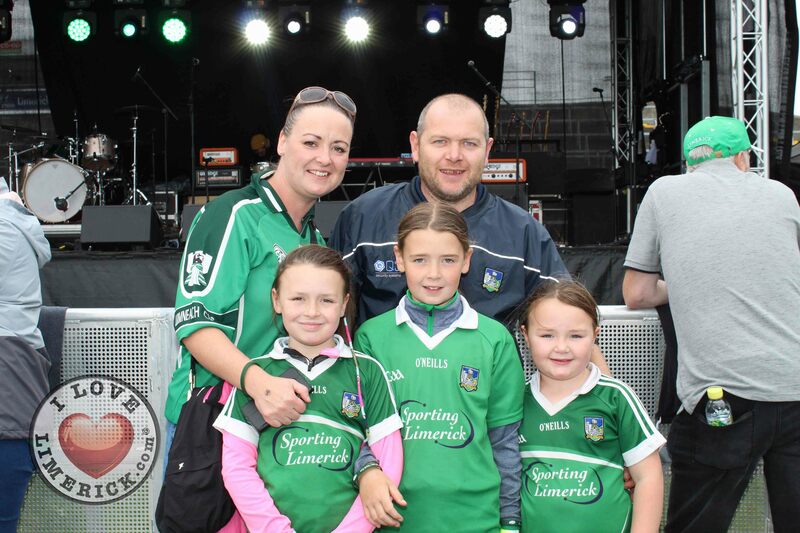 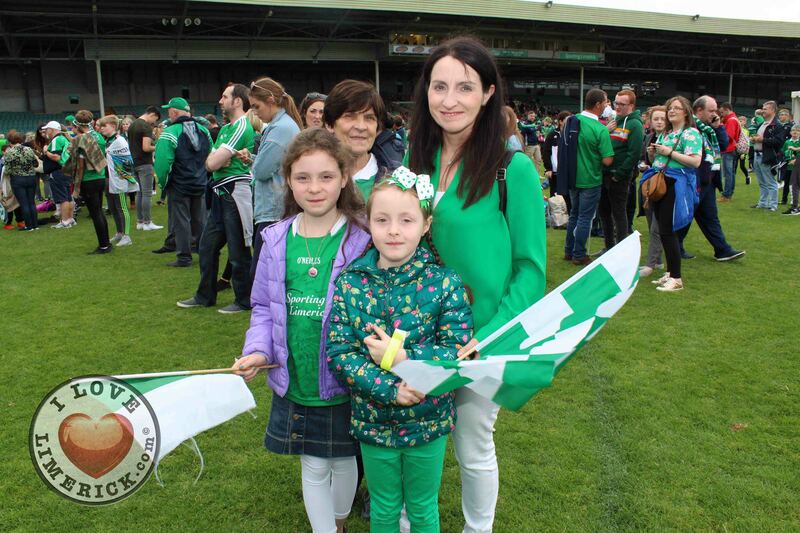 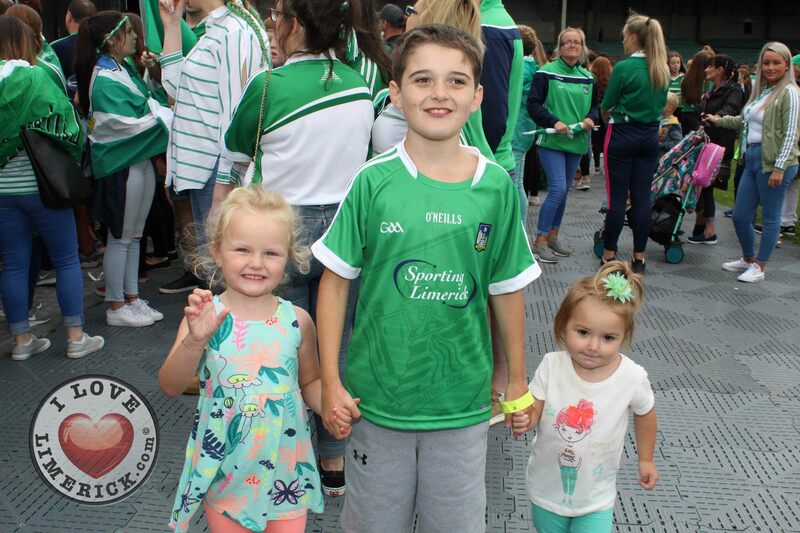 John Kiely’s green army received a massive reception as soon as they arrived at Colbert Station and all the way to the Gaelic Grounds where the official homecoming party began. 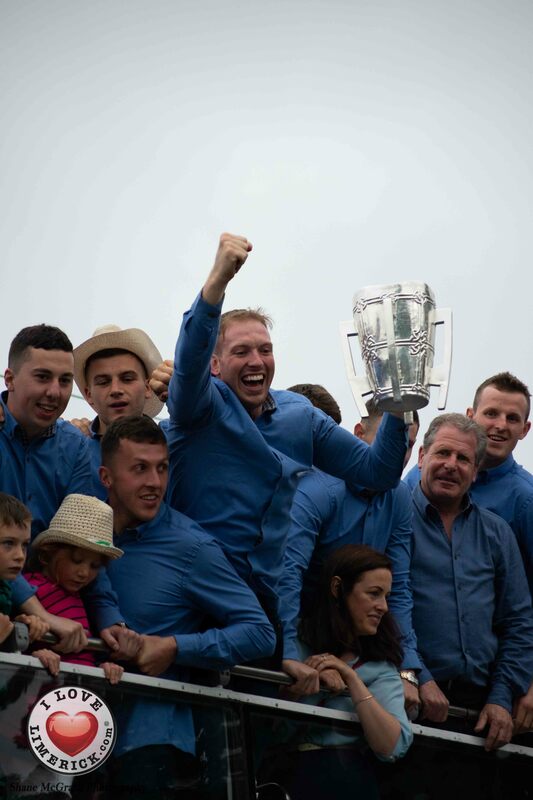 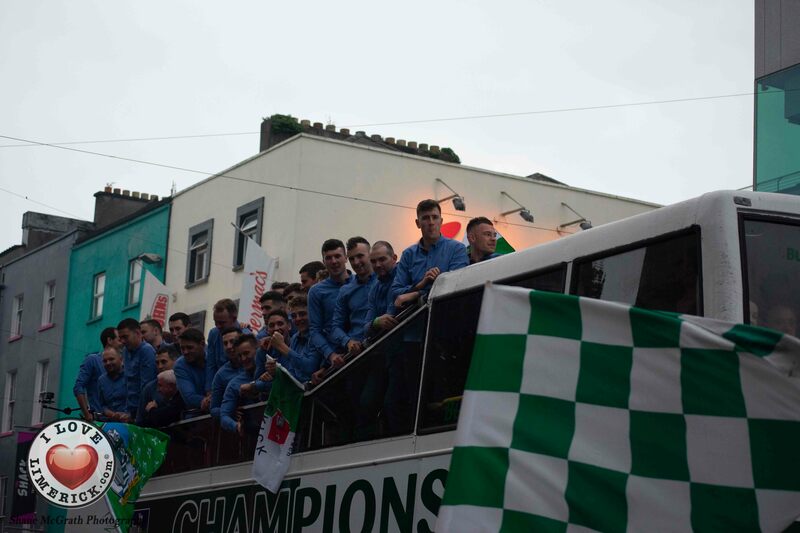 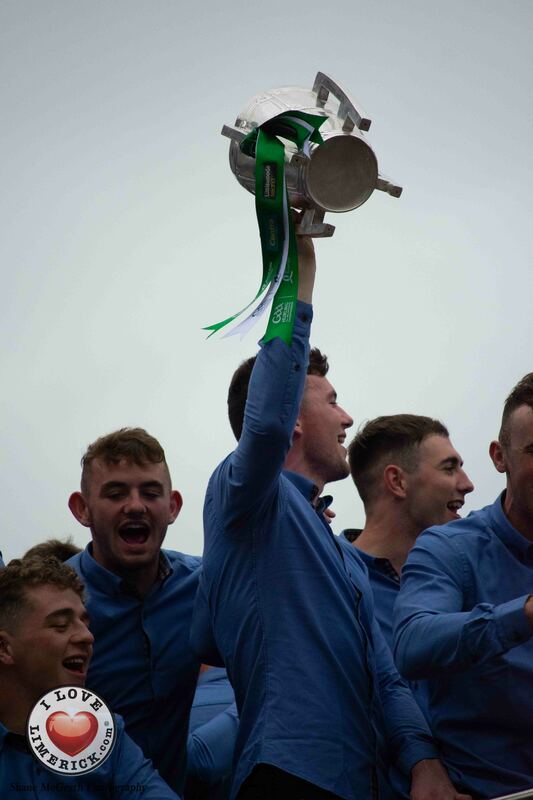 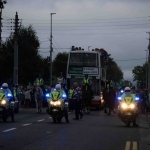 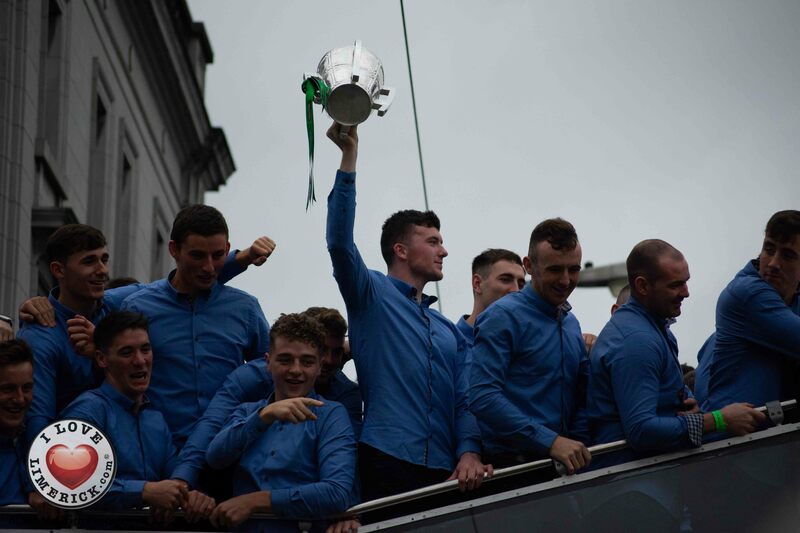 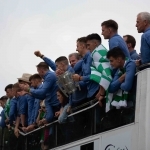 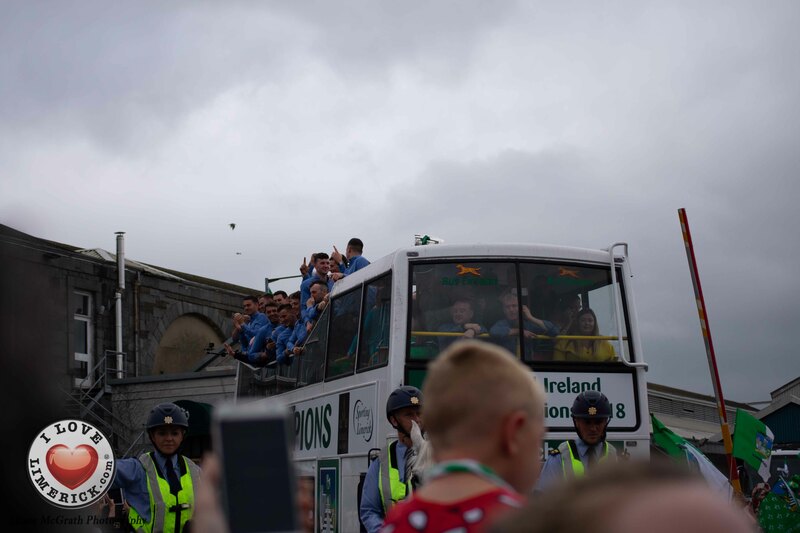 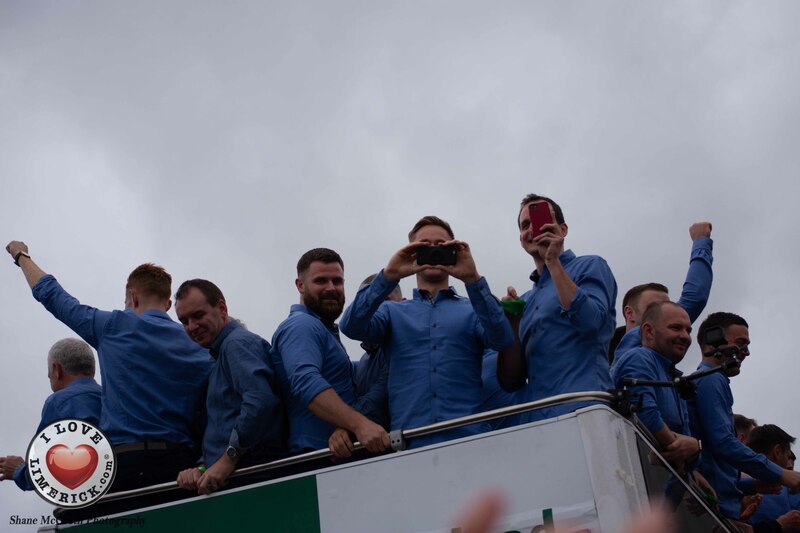 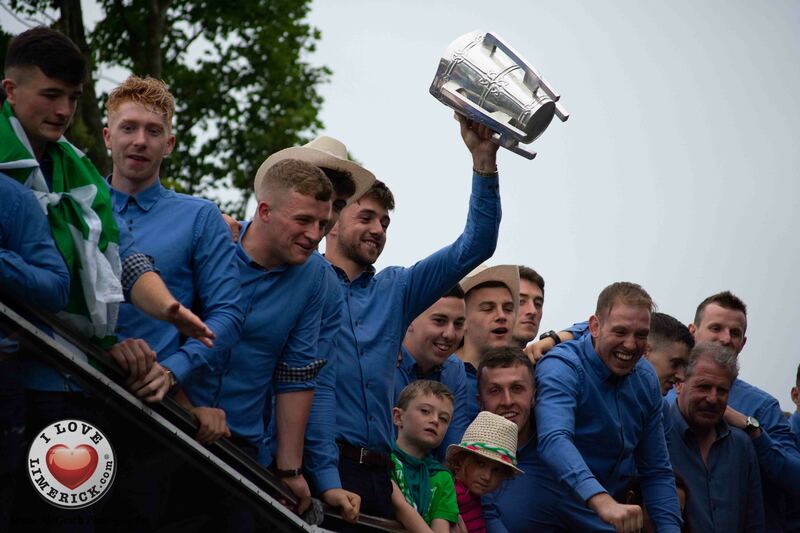 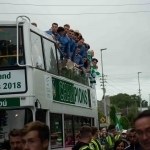 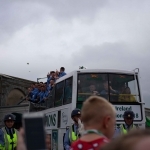 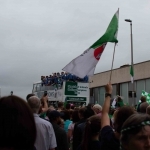 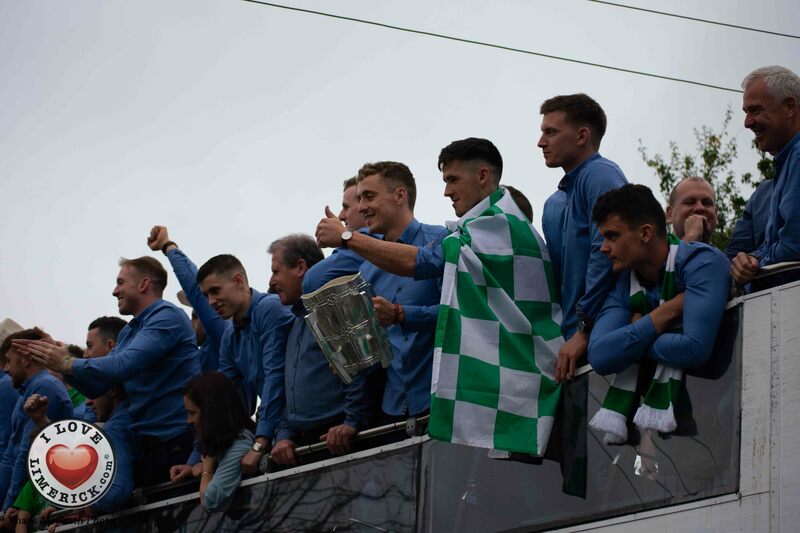 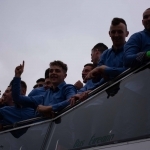 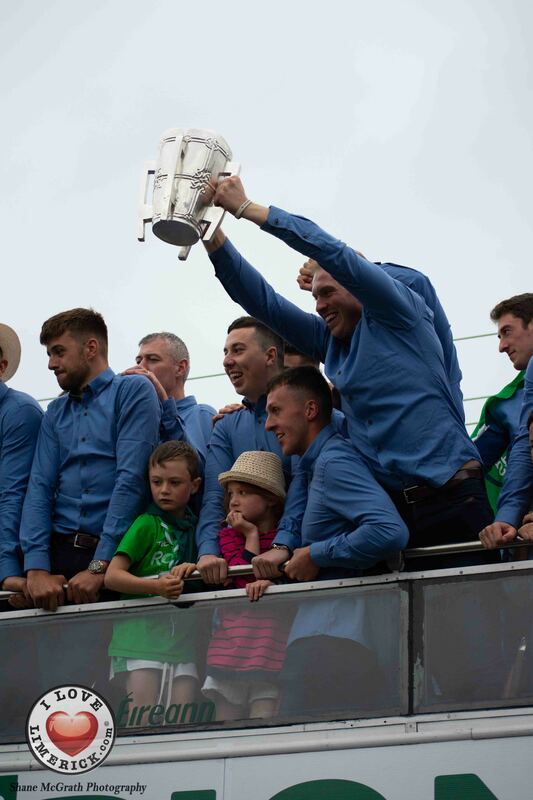 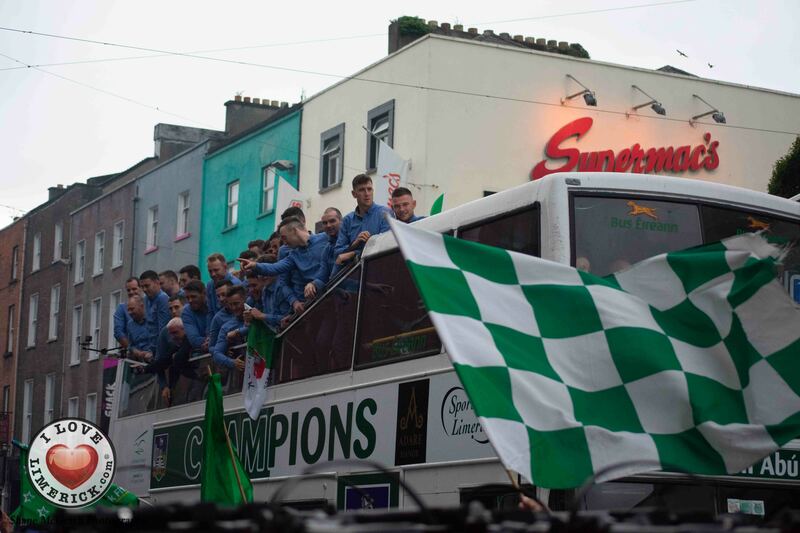 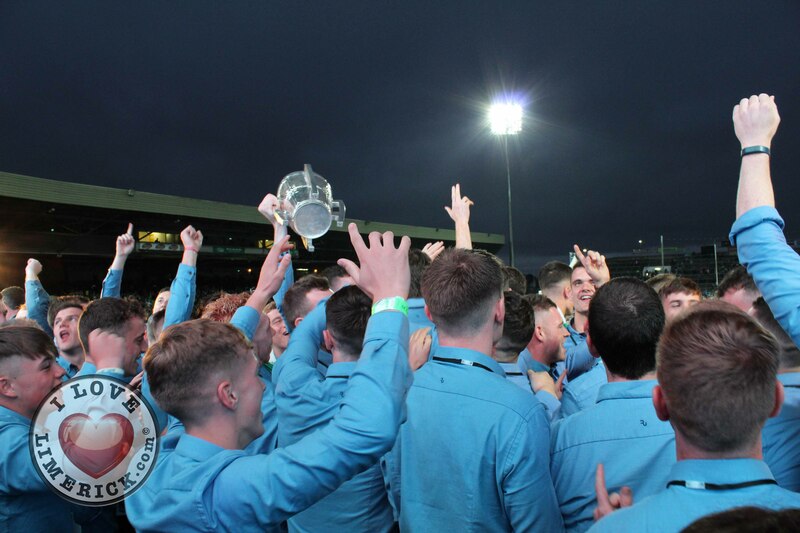 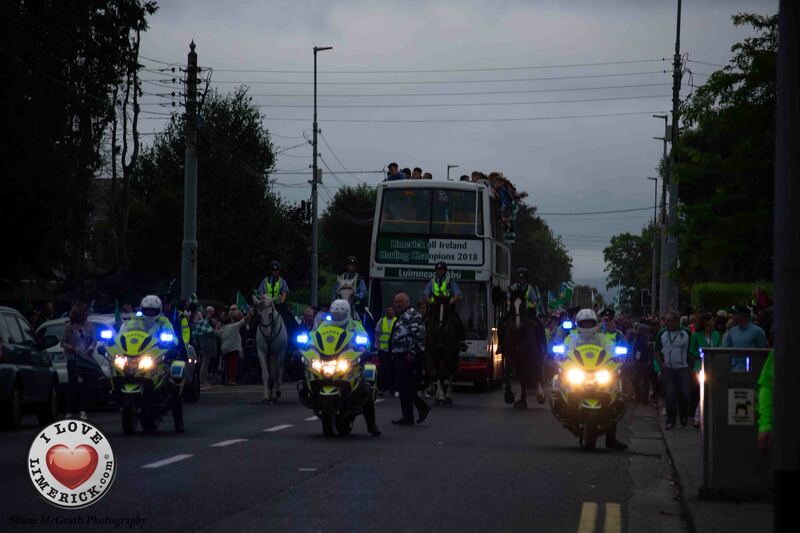 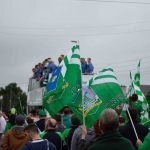 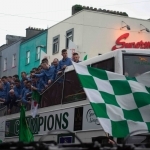 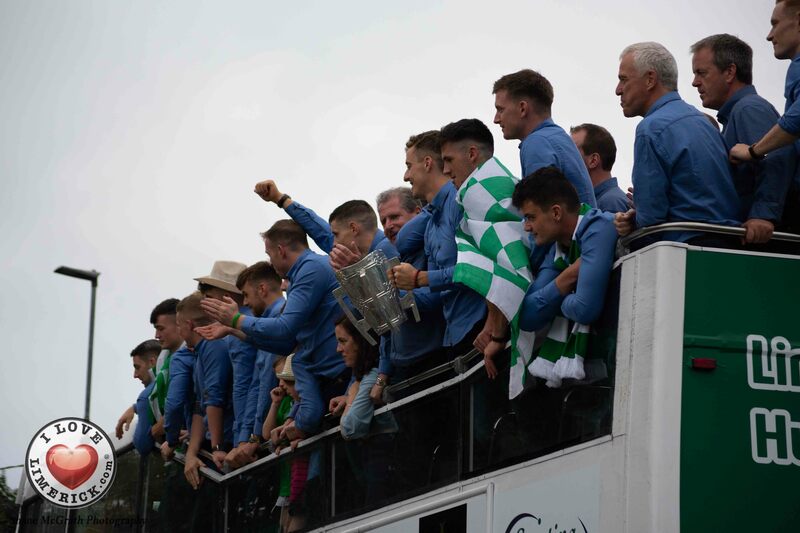 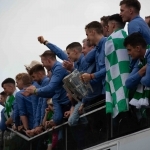 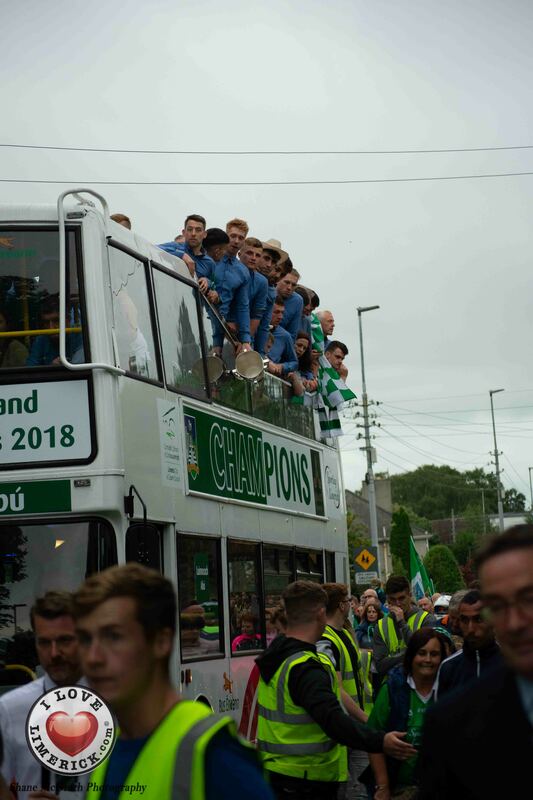 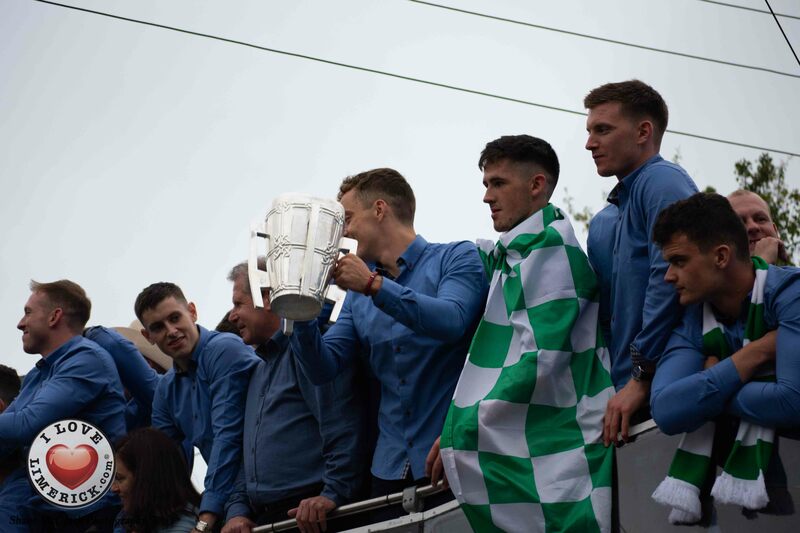 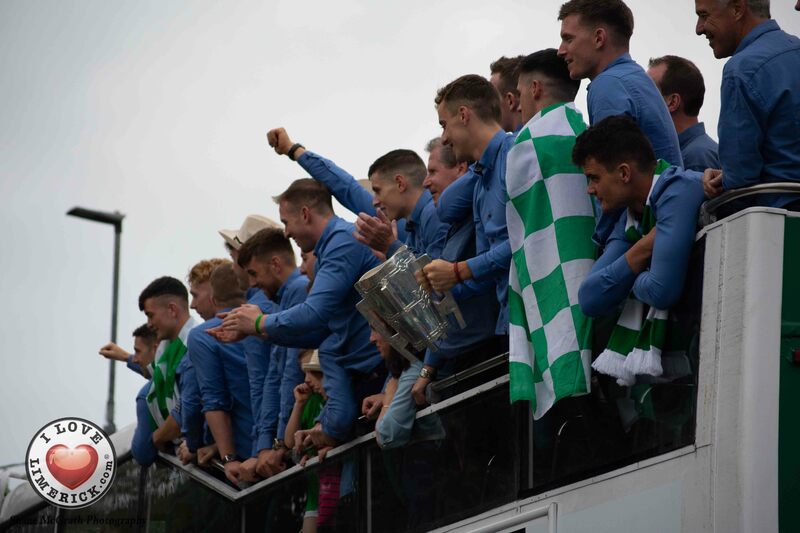 The players departed the train Station at around half six in the evening to head to the Gaelic Grounds on an open top bus with the Liam McCarthy cup but were met with major delays as the sheer size of the crowd of supporters was totally unexpected but greatly appreciated. 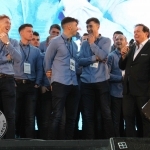 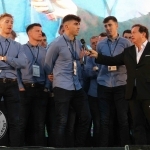 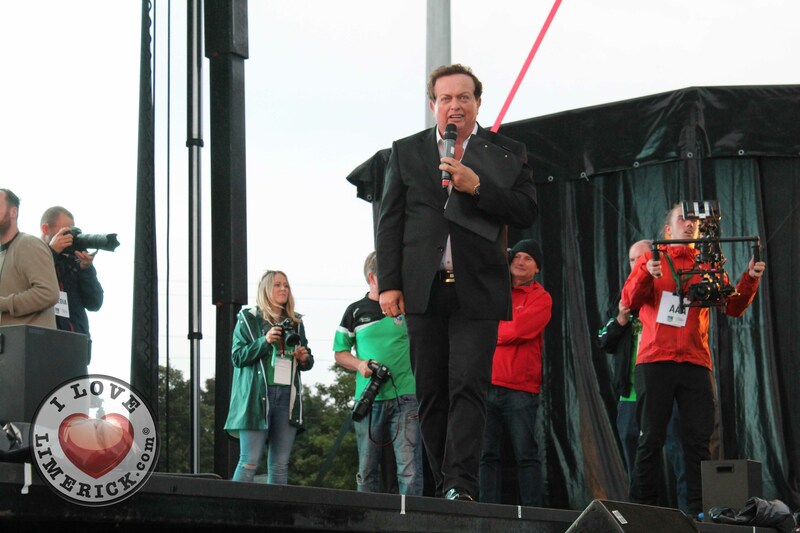 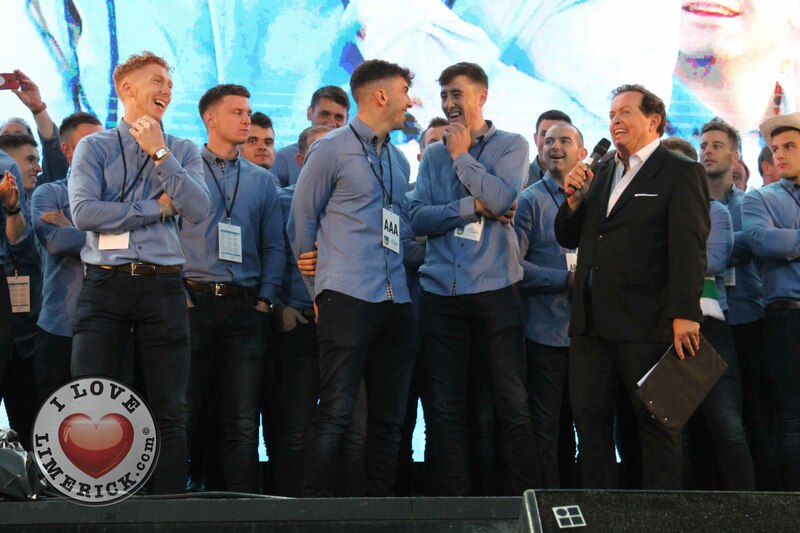 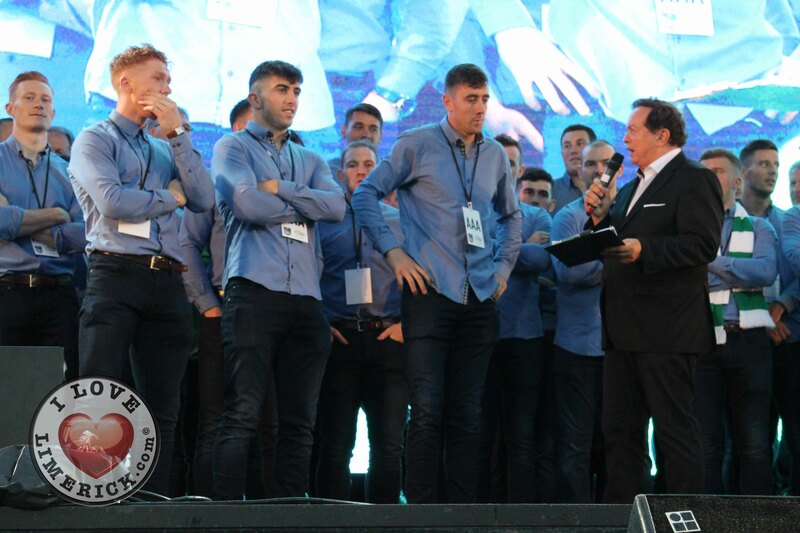 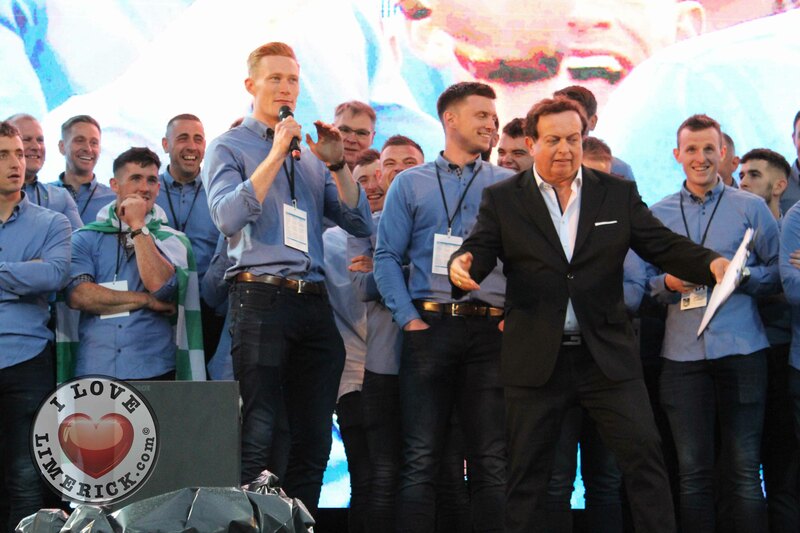 Marty Morrisey was the host of the homecoming party at the Gaelic Grounds describing it as a “great honour to be here today,” to introduce the 2018 All-Ireland senior hurling champions. 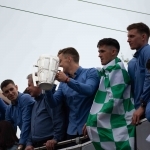 Limerick goalkeeper, Nickie Quaid said, “it was always a dream to play for Limerick and I’m glad to be one of the 36 lads to bring Liam McCarthy back here, it’s just an unbelievable feeling.” Nickie is following the footsteps of his father the legendary former late Limerick Goalkeeper, Tommy Quaid. 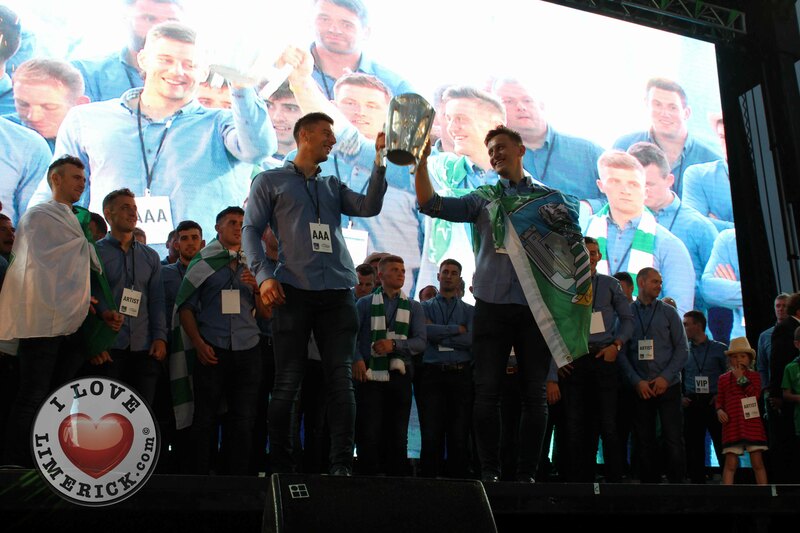 Manager of the Limerick senior hurling team, John Kiely and captain of the team, Declan Hannon arrived onstage to an outstanding roar from the crowd muffled by Queen’s, ‘We are the Champions’ whilst holding the Liam McCarthy cup. 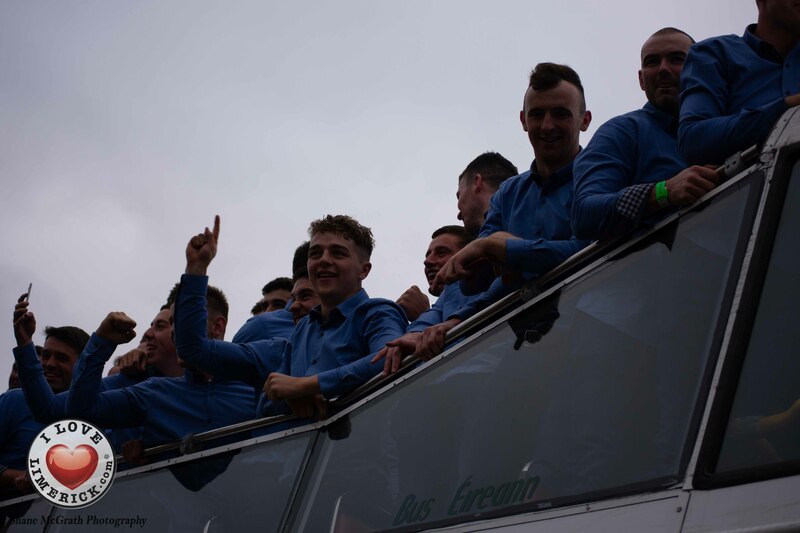 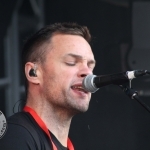 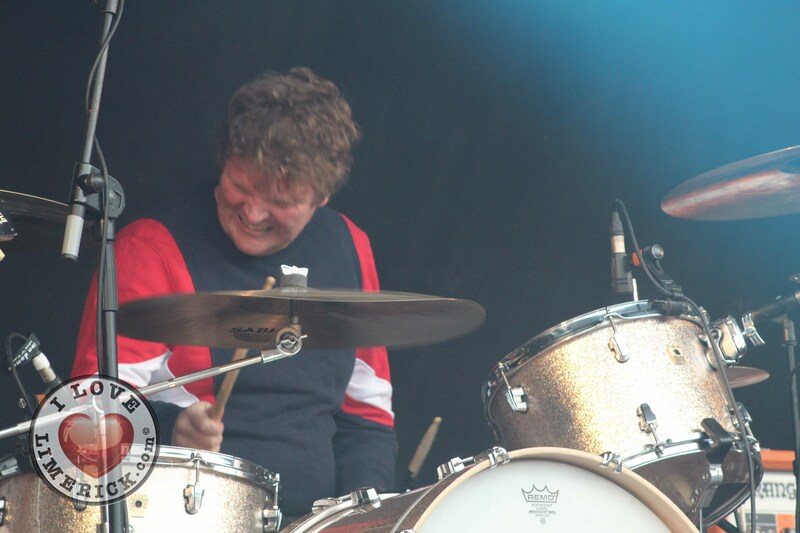 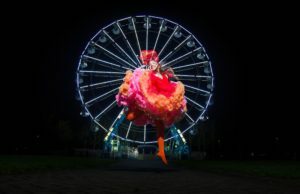 “We were outside the train station, it was incredible the amount of support. 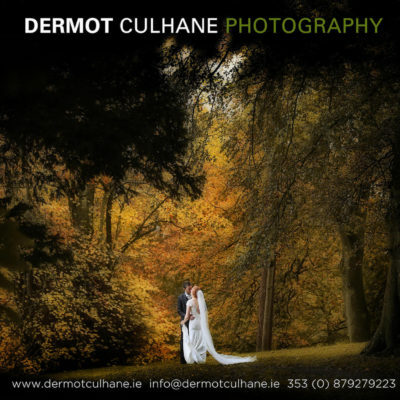 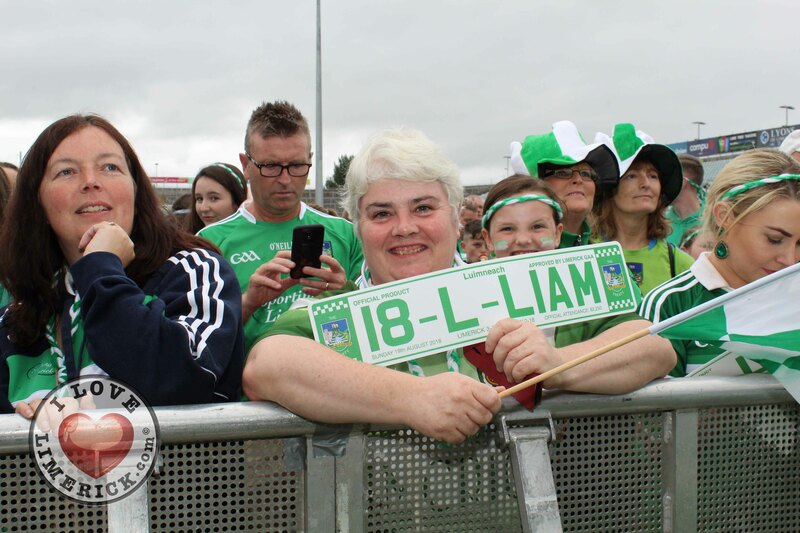 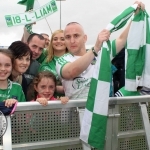 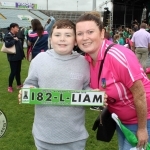 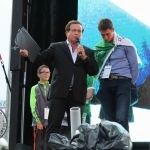 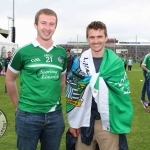 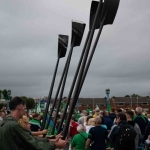 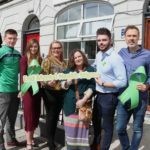 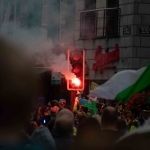 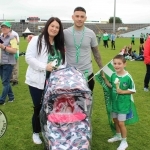 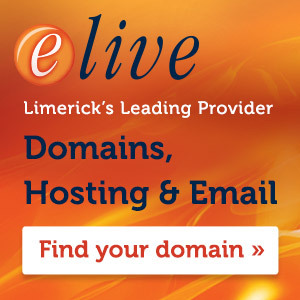 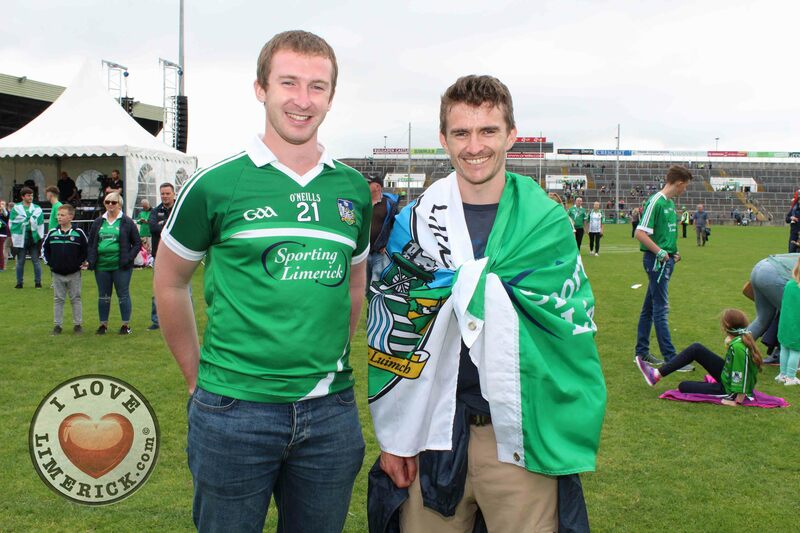 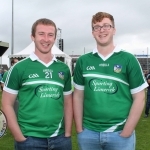 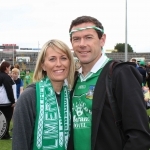 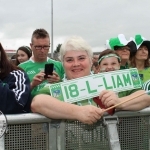 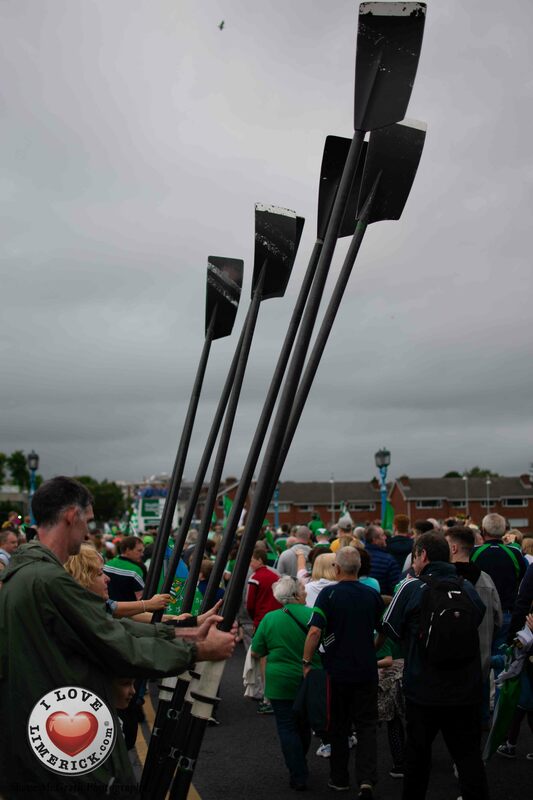 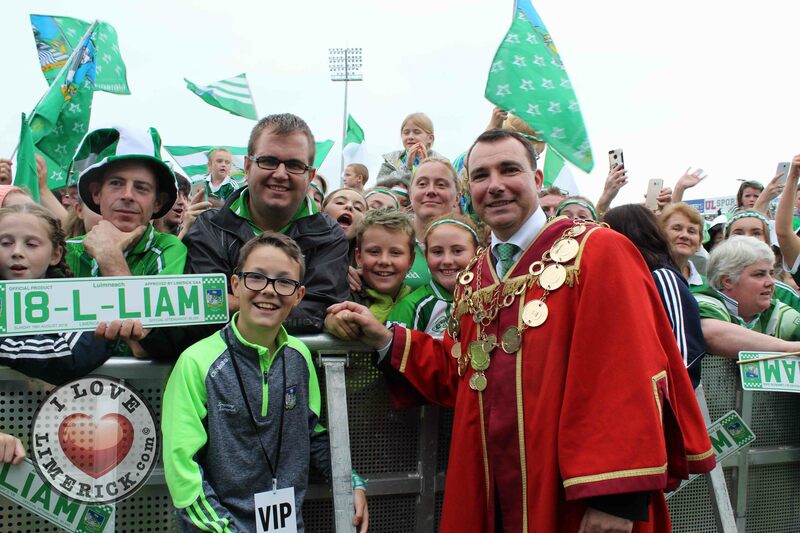 This is as much for ye [the people of Limerick] as it is for ourselves,” Declan Hannon said. 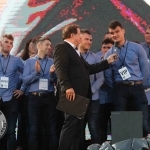 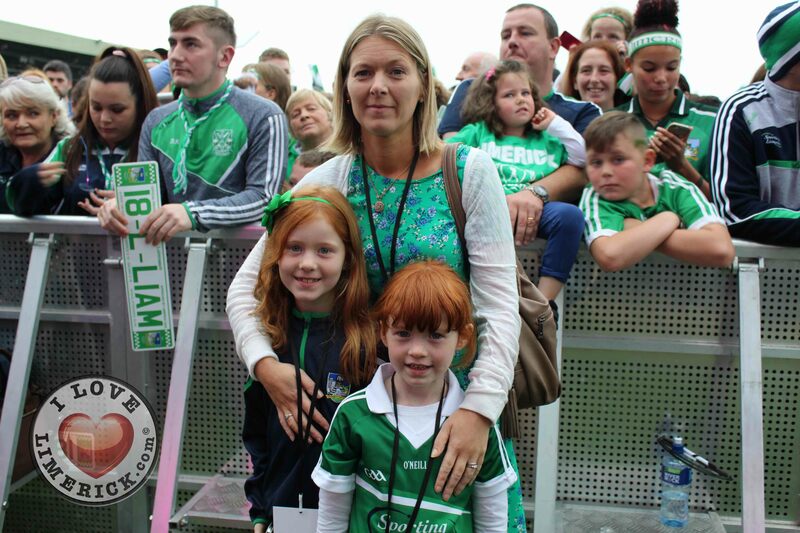 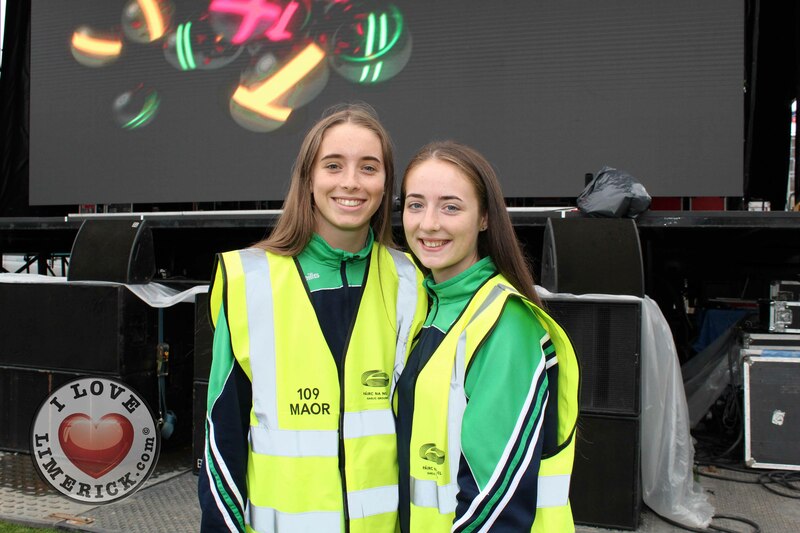 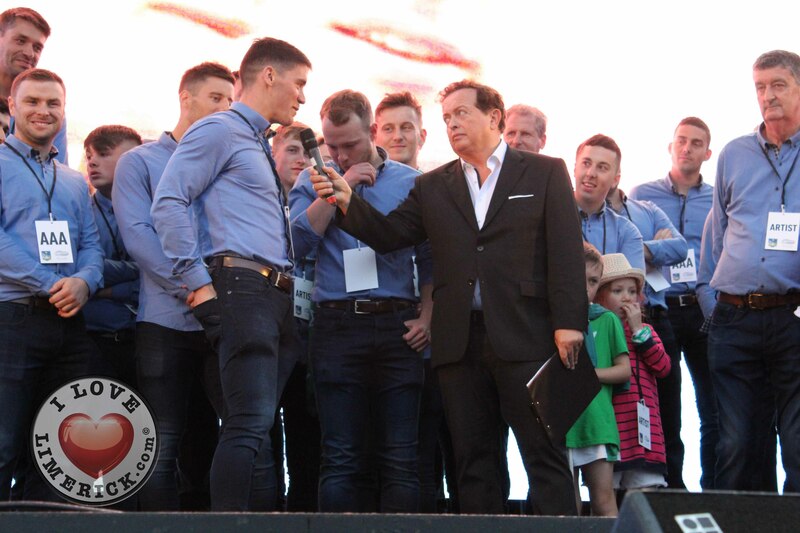 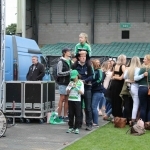 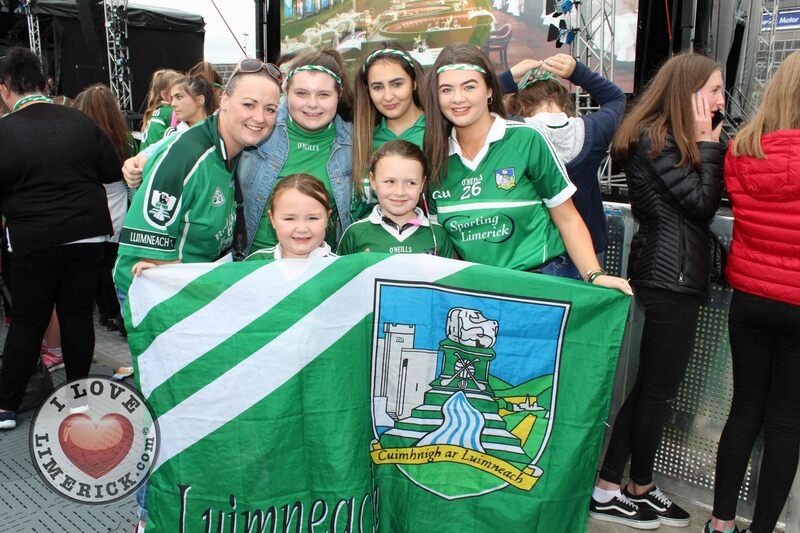 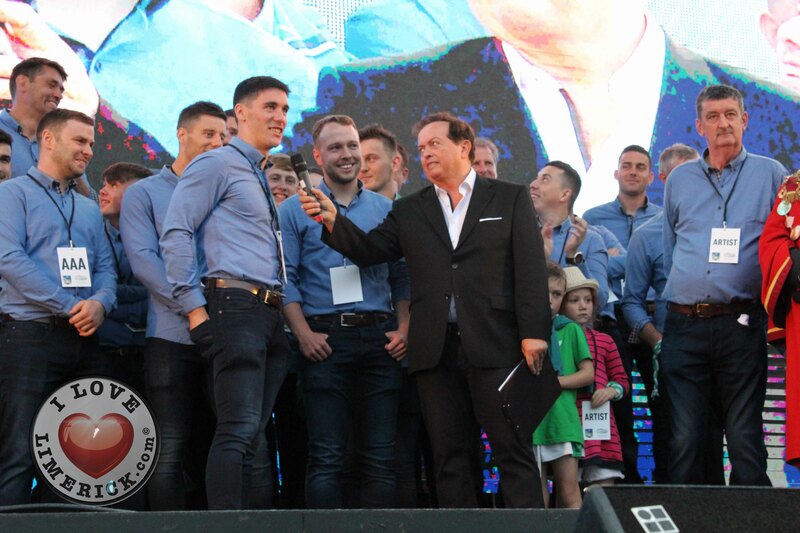 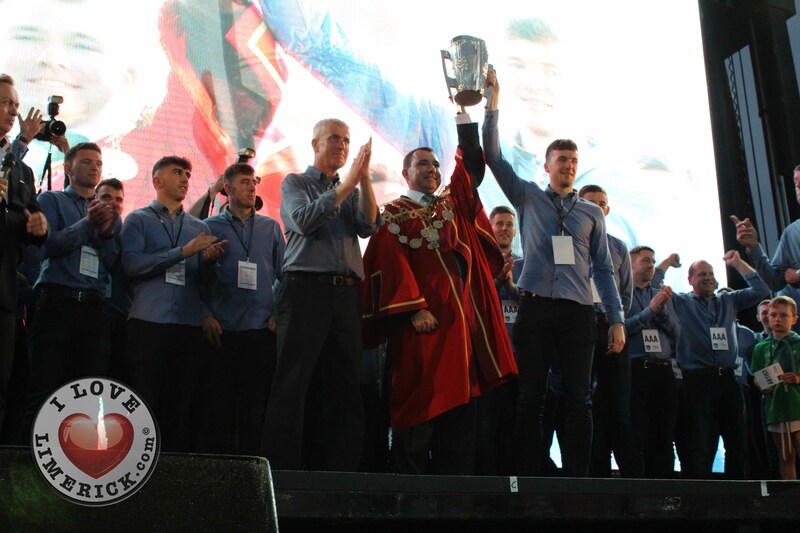 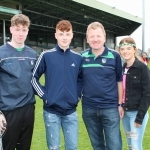 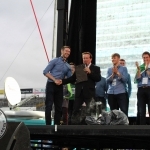 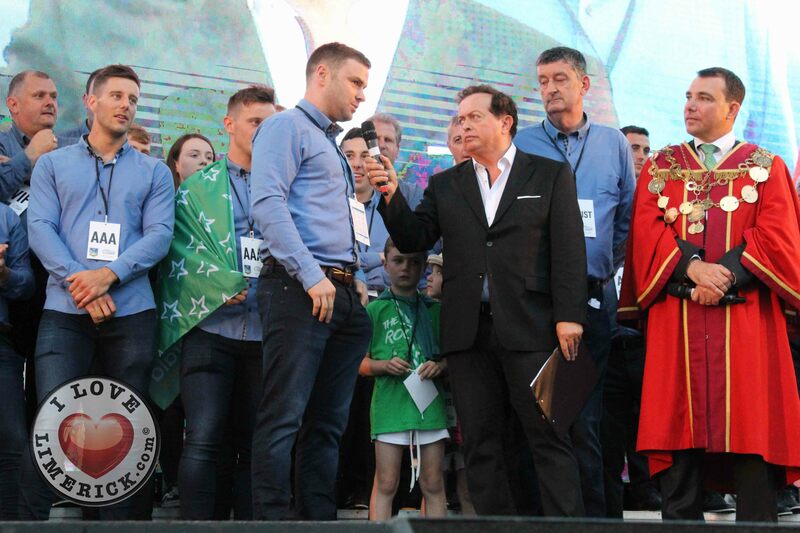 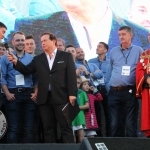 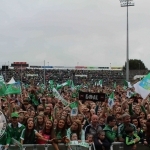 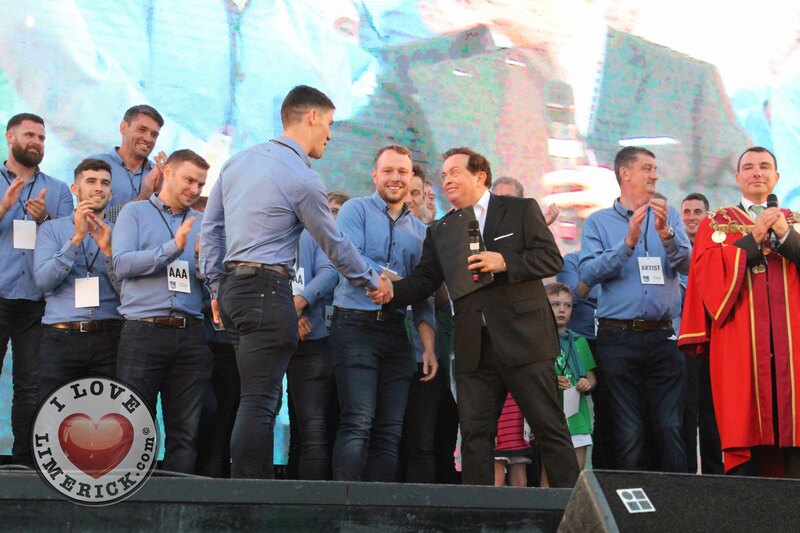 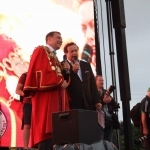 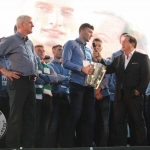 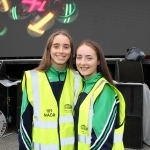 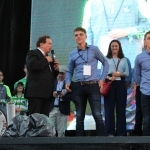 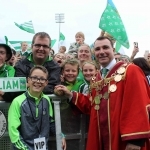 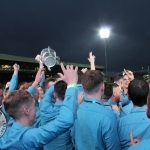 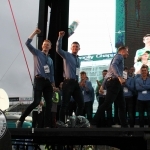 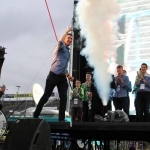 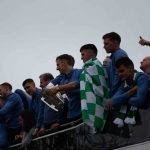 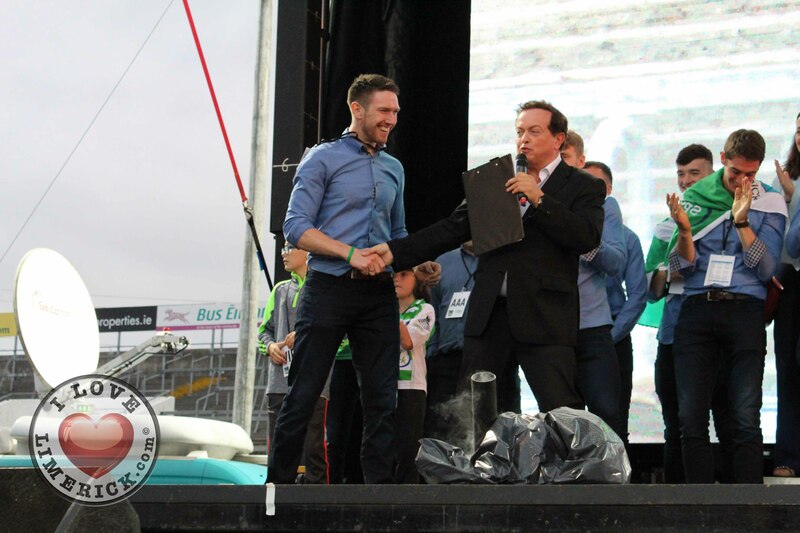 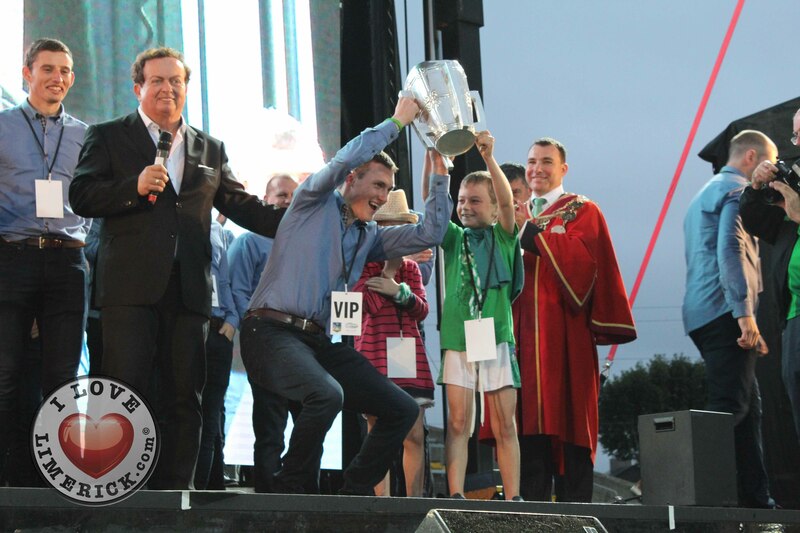 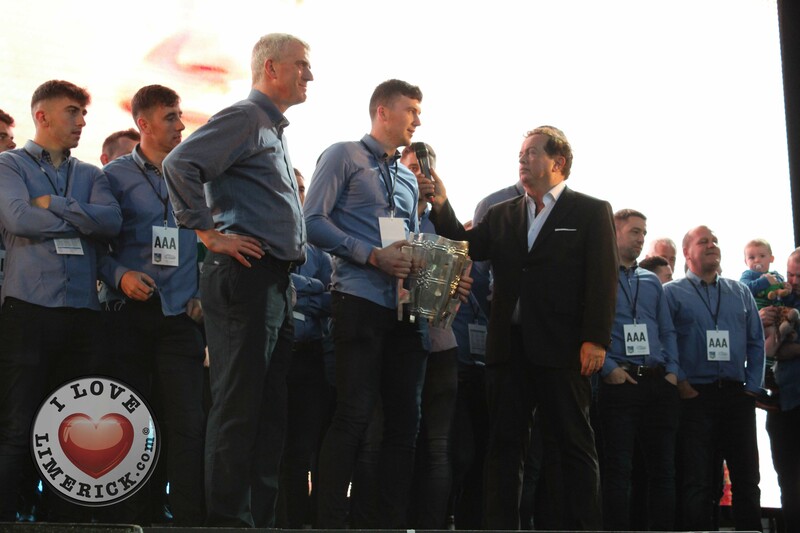 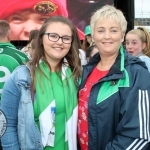 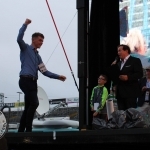 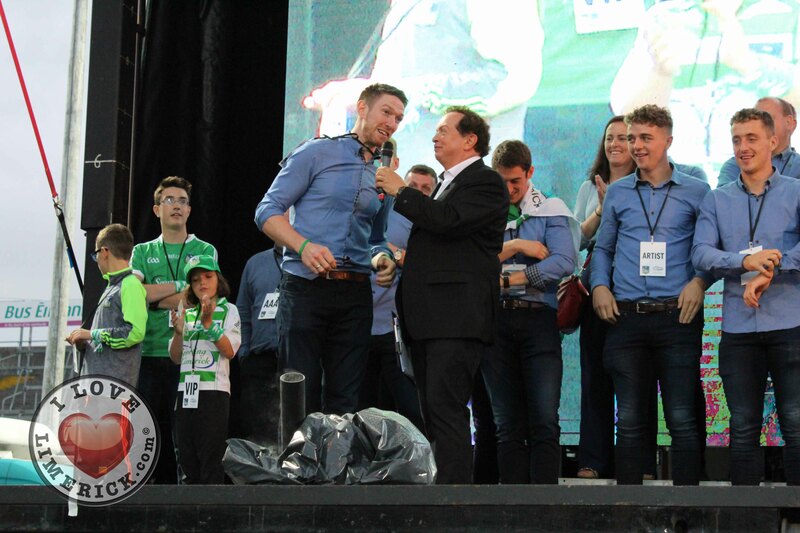 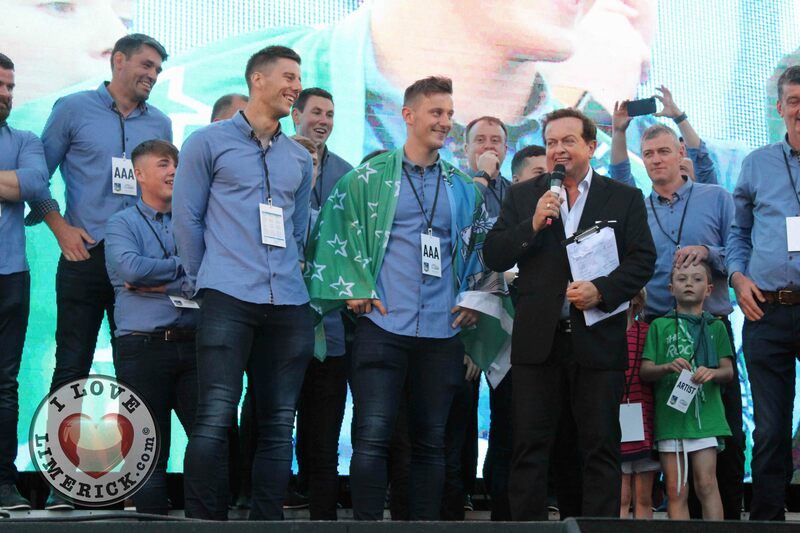 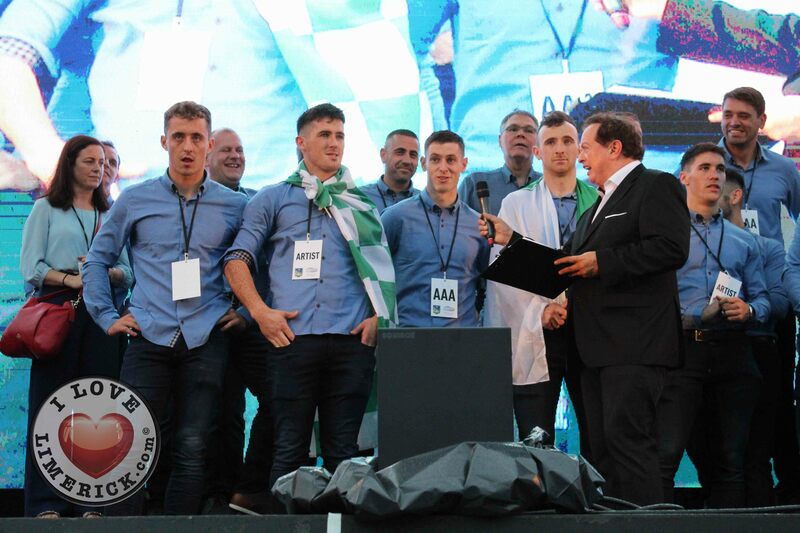 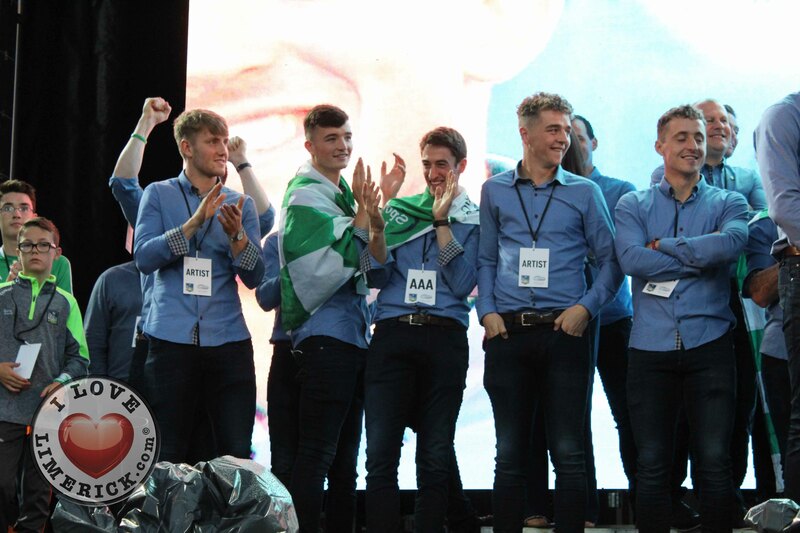 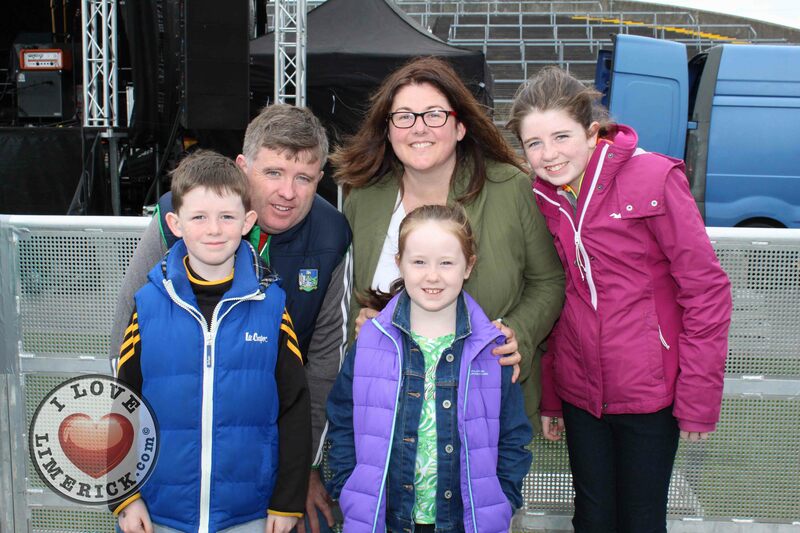 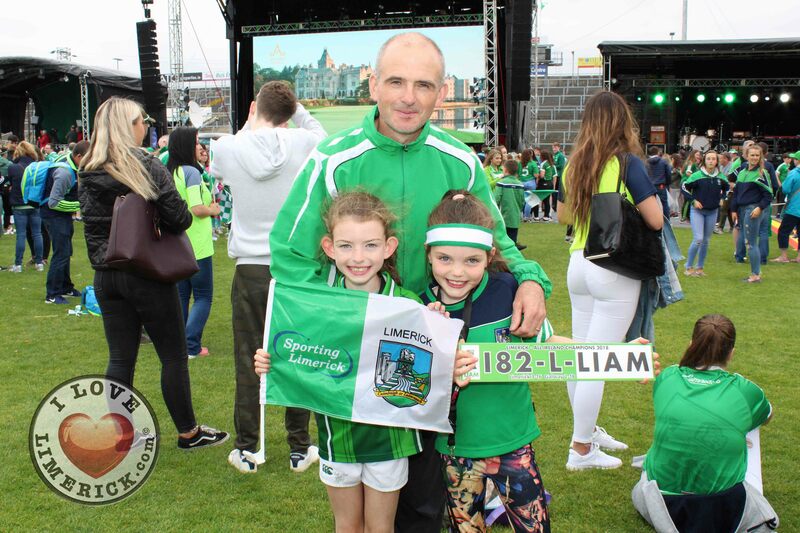 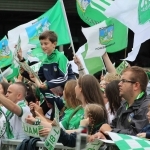 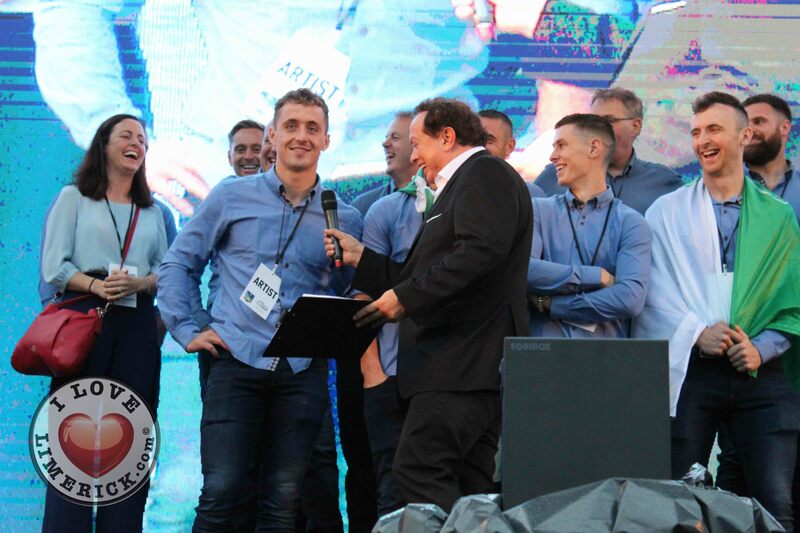 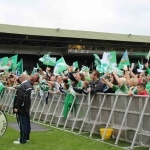 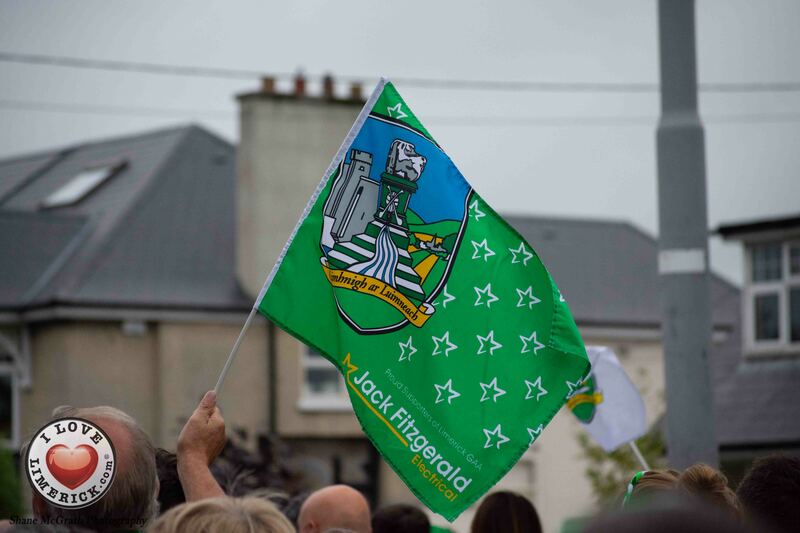 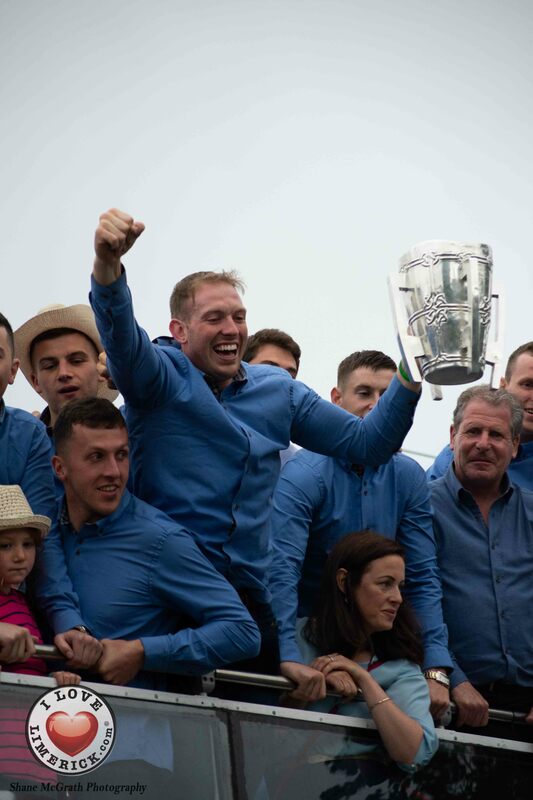 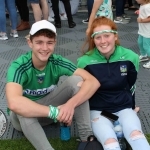 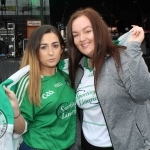 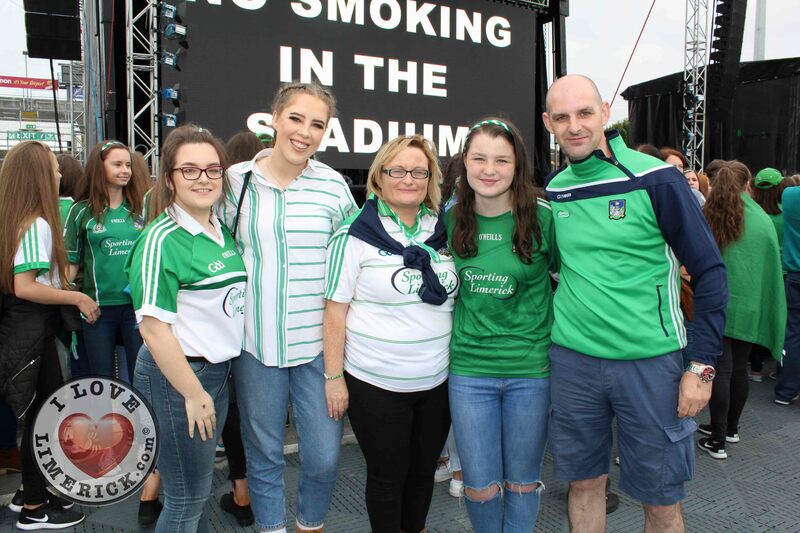 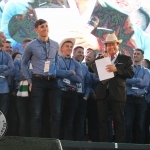 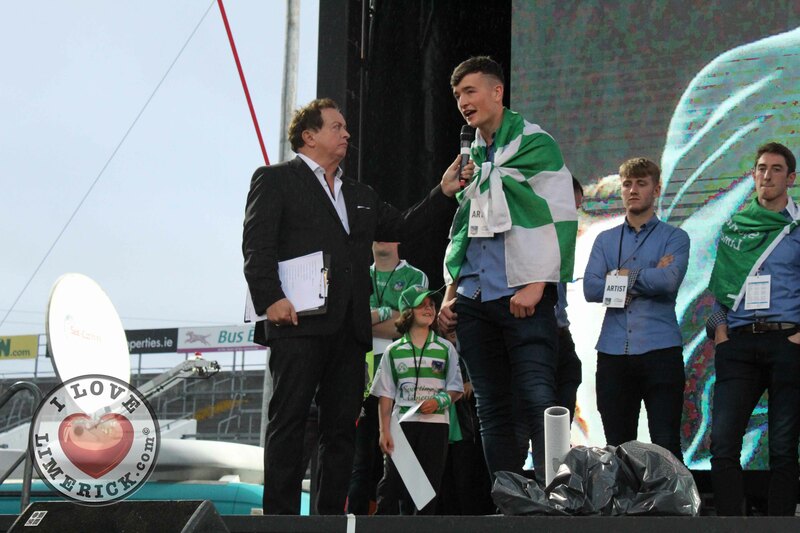 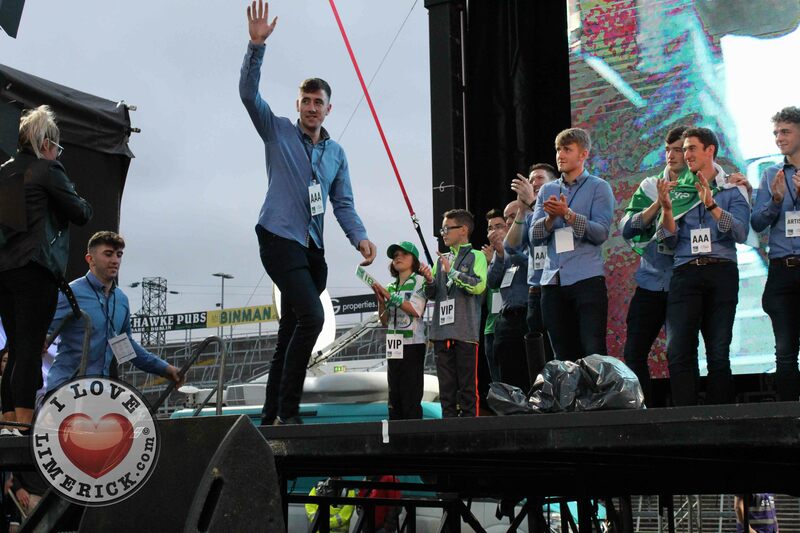 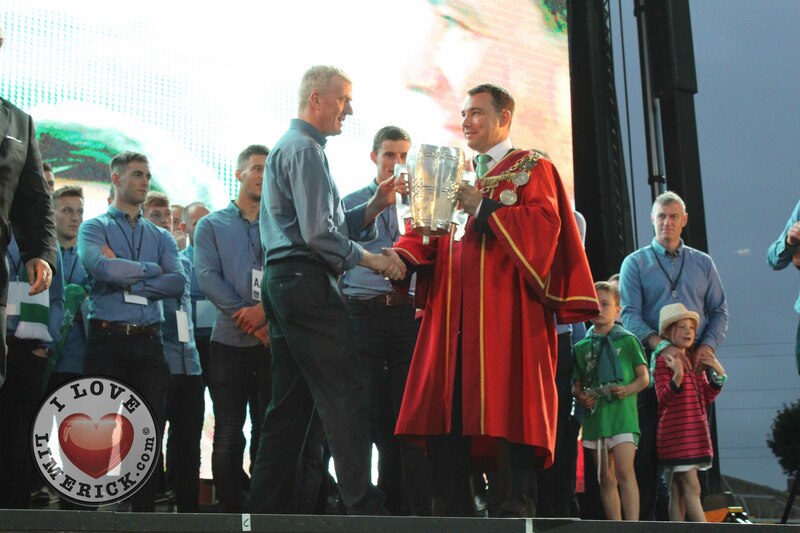 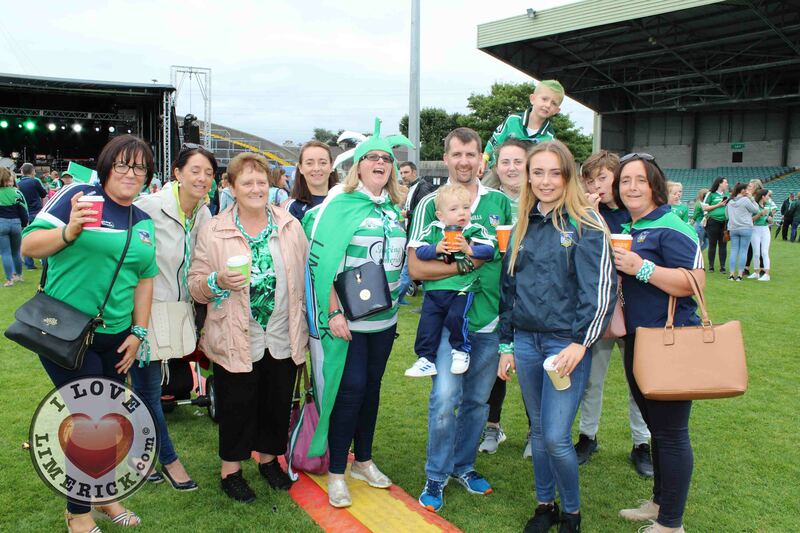 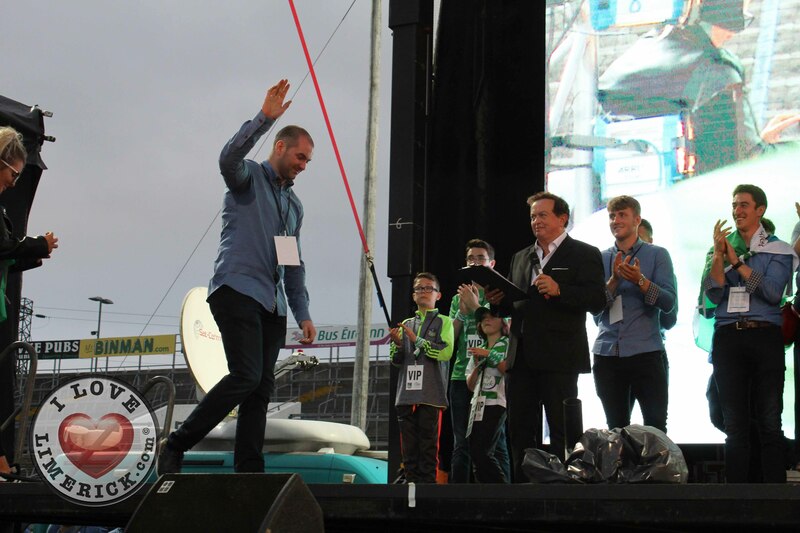 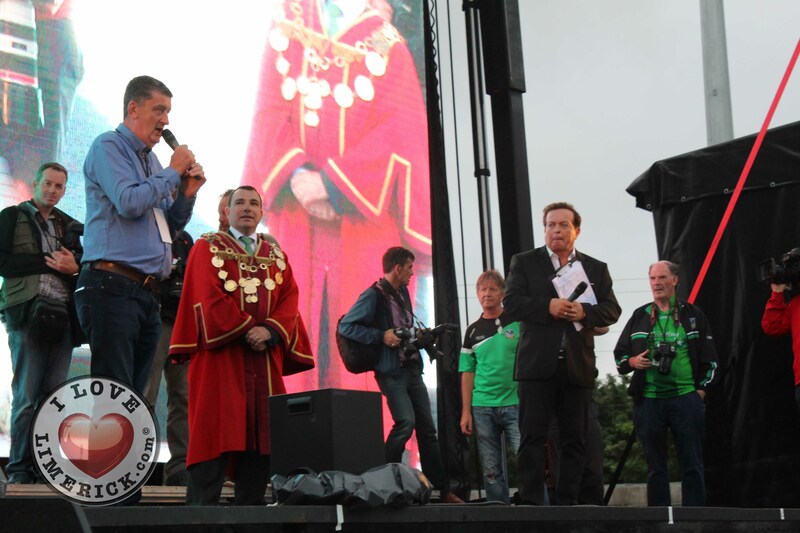 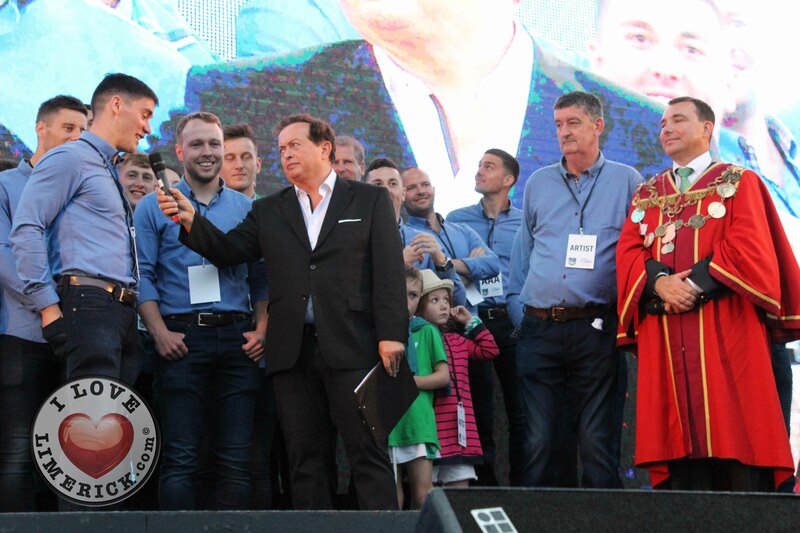 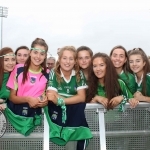 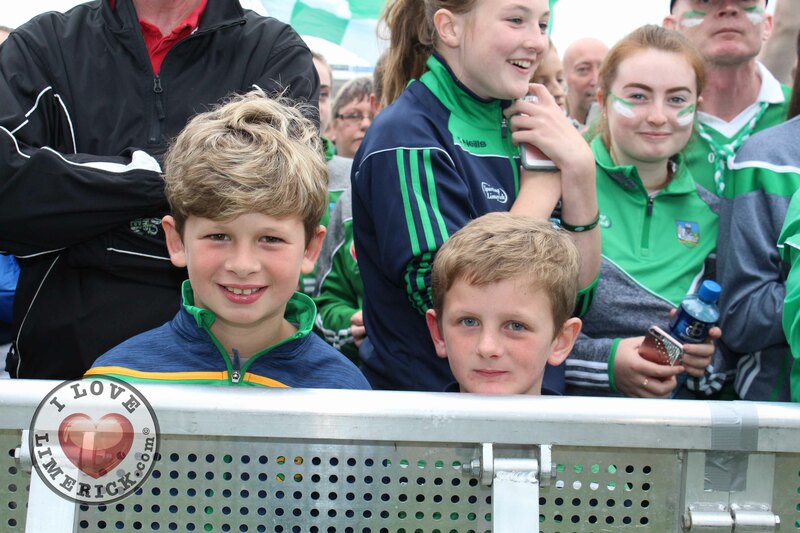 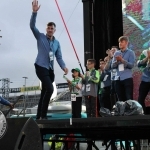 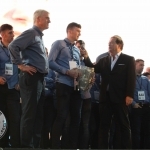 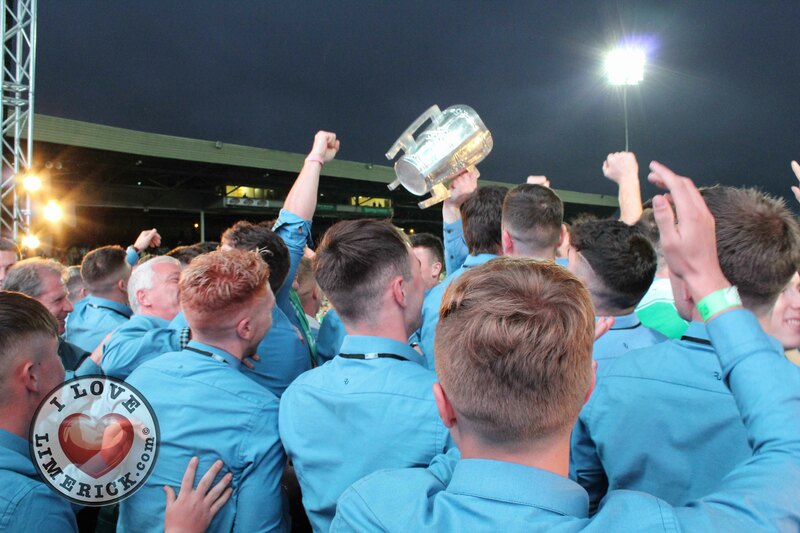 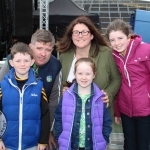 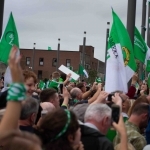 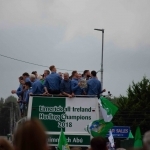 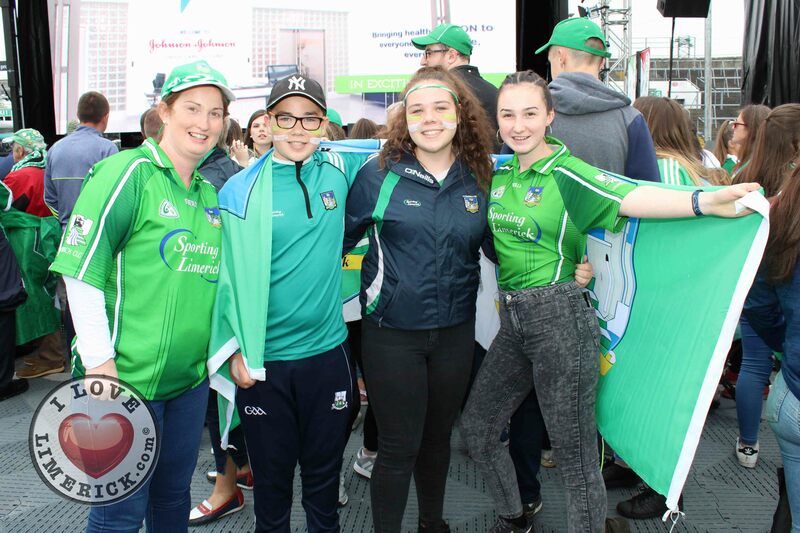 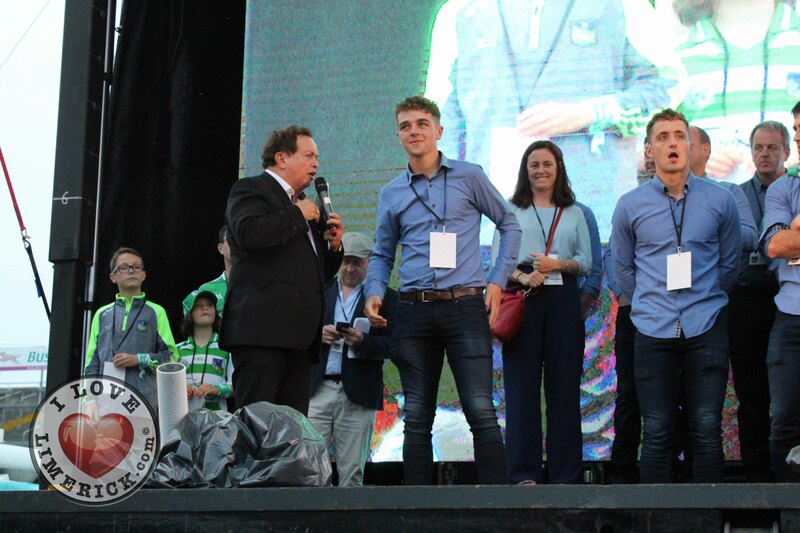 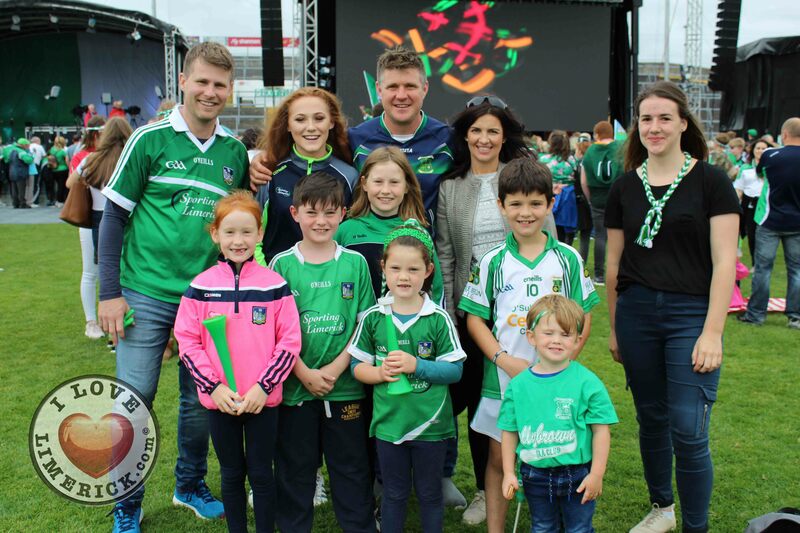 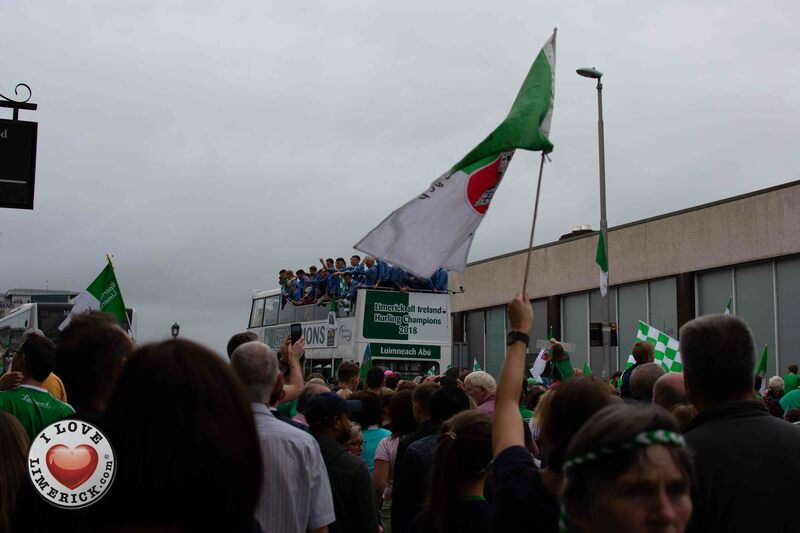 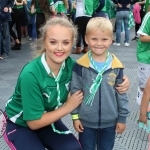 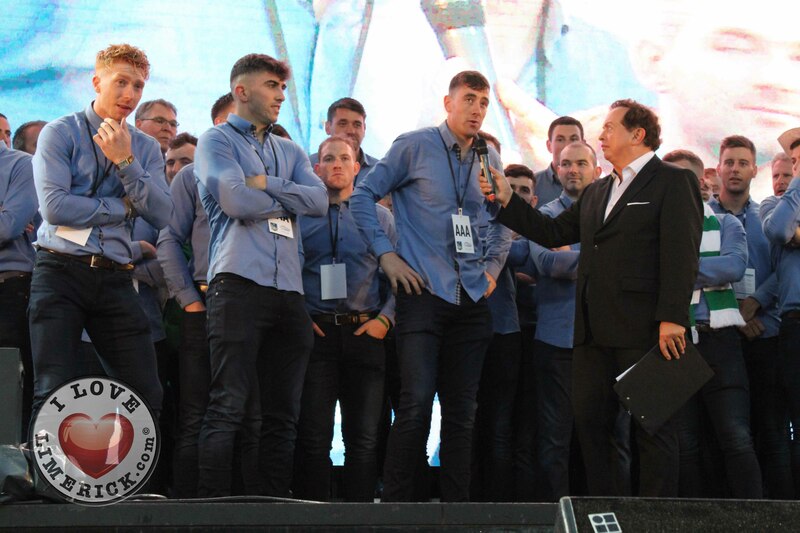 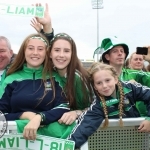 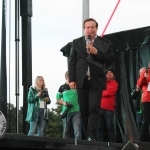 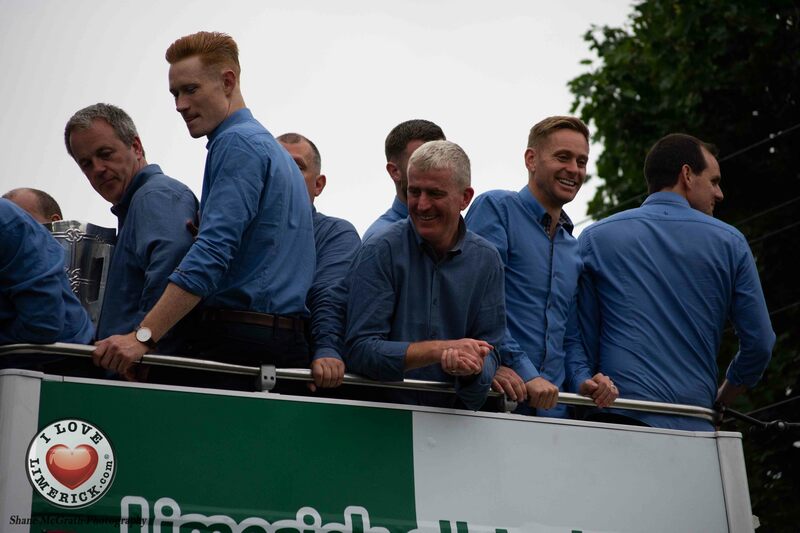 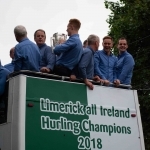 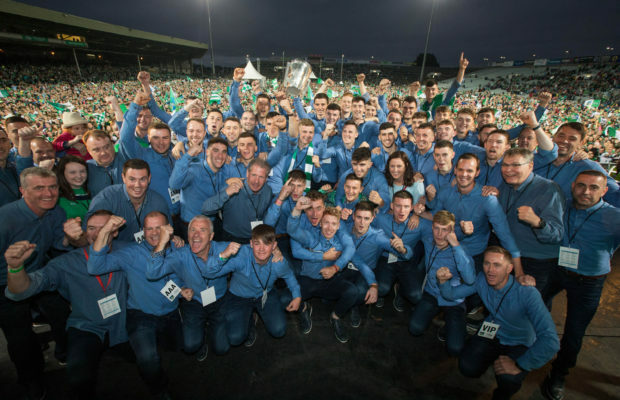 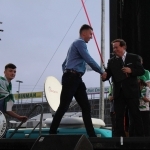 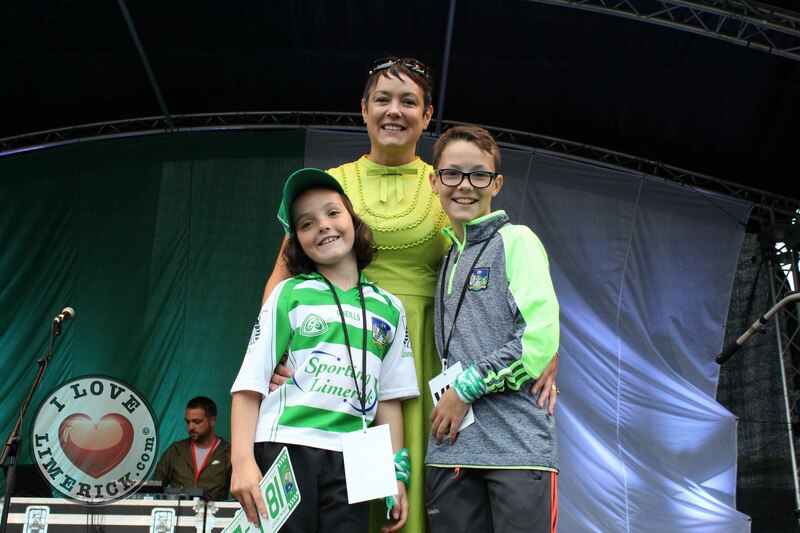 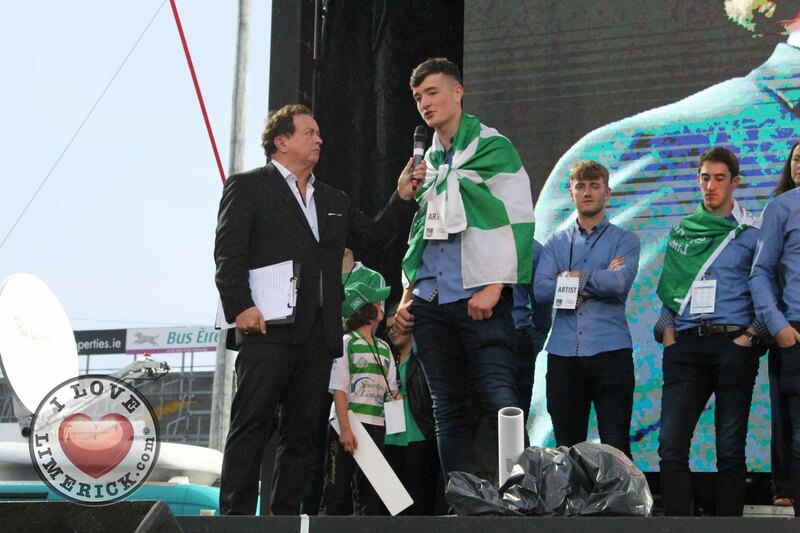 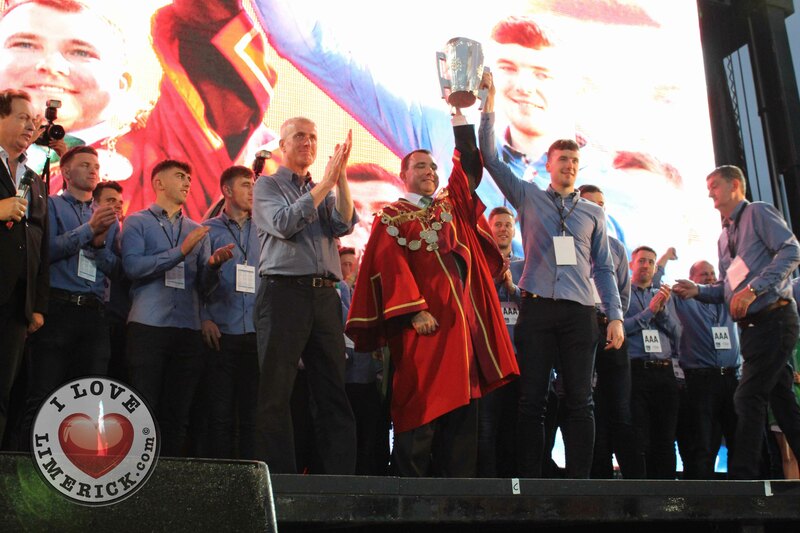 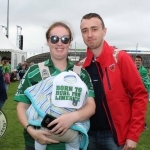 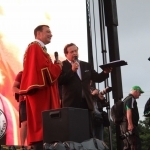 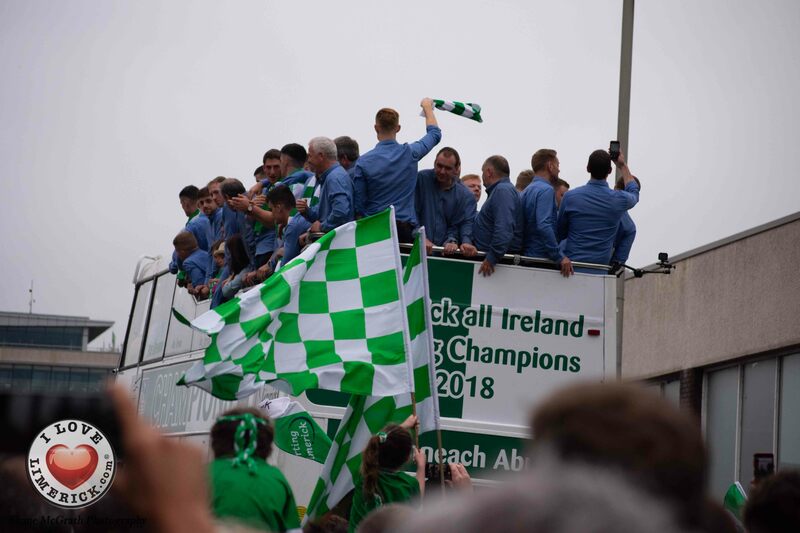 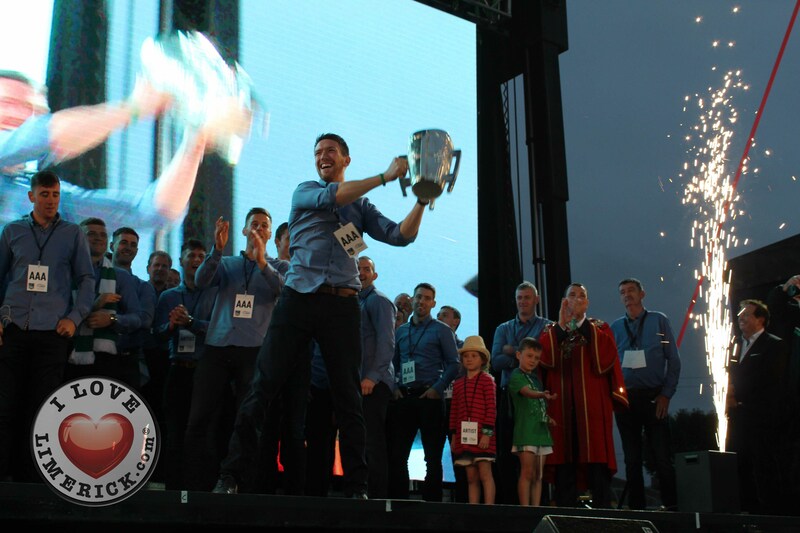 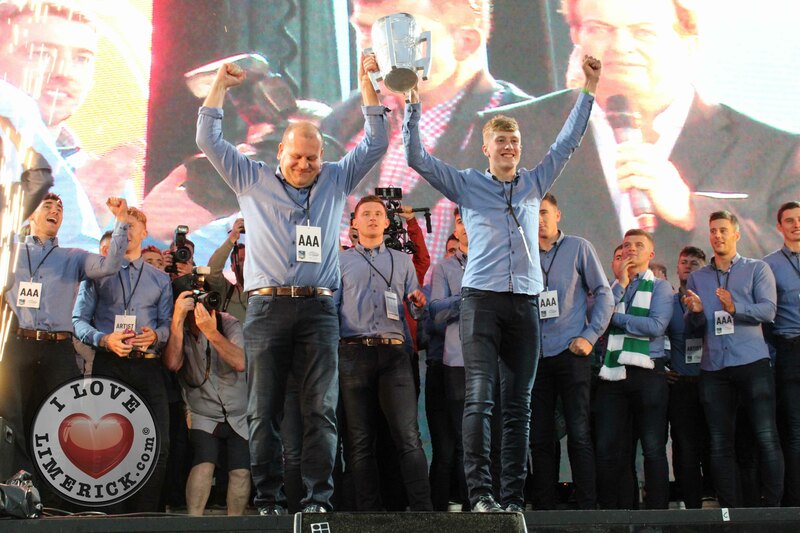 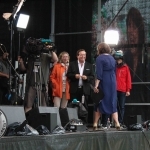 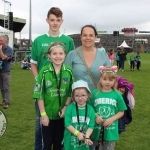 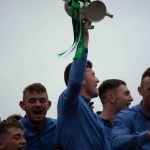 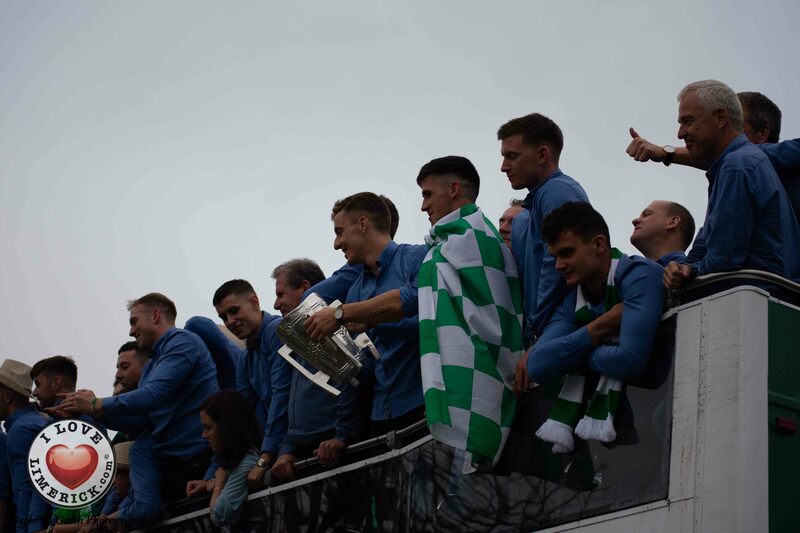 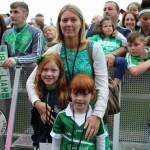 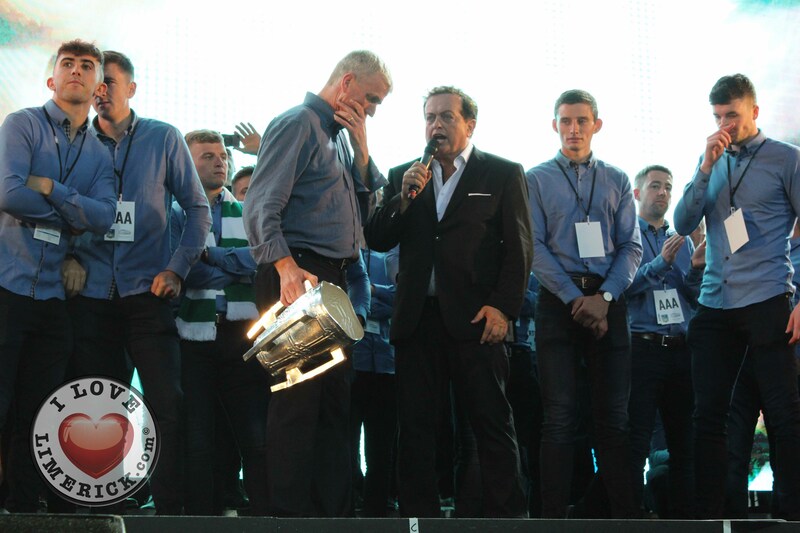 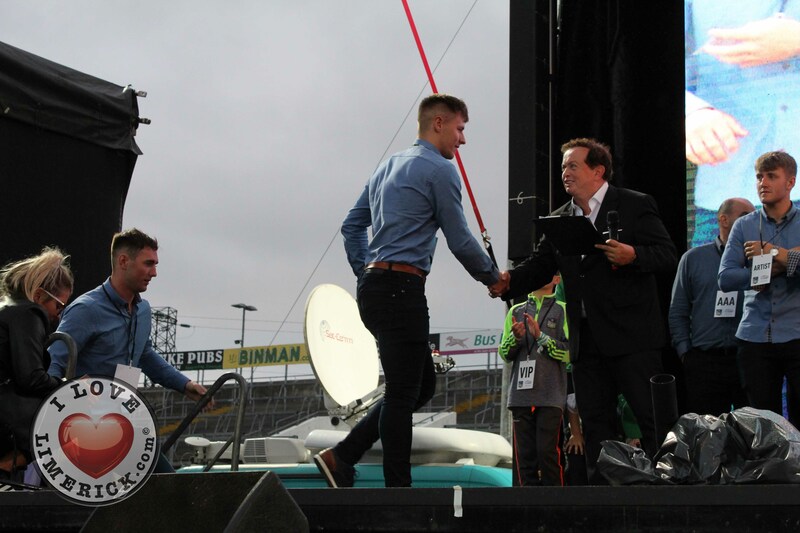 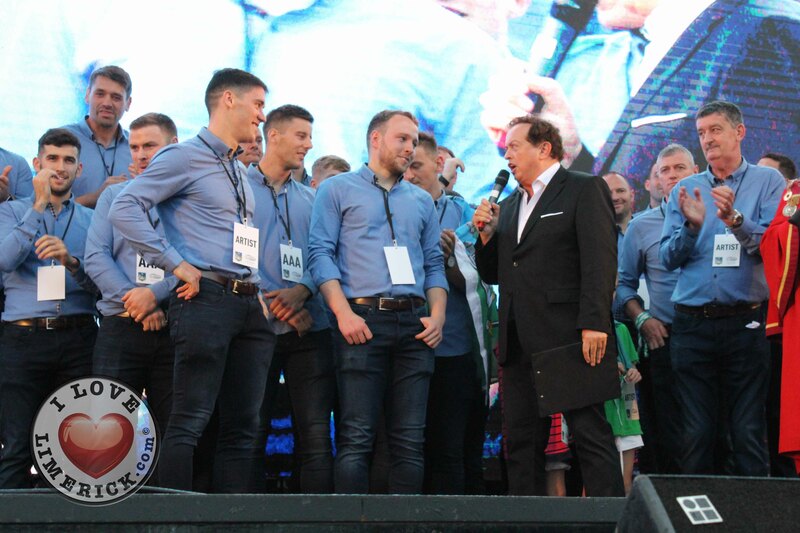 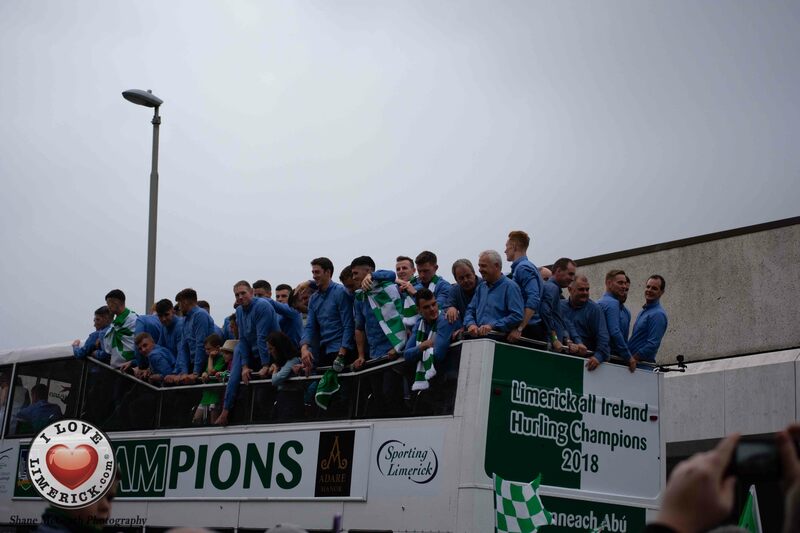 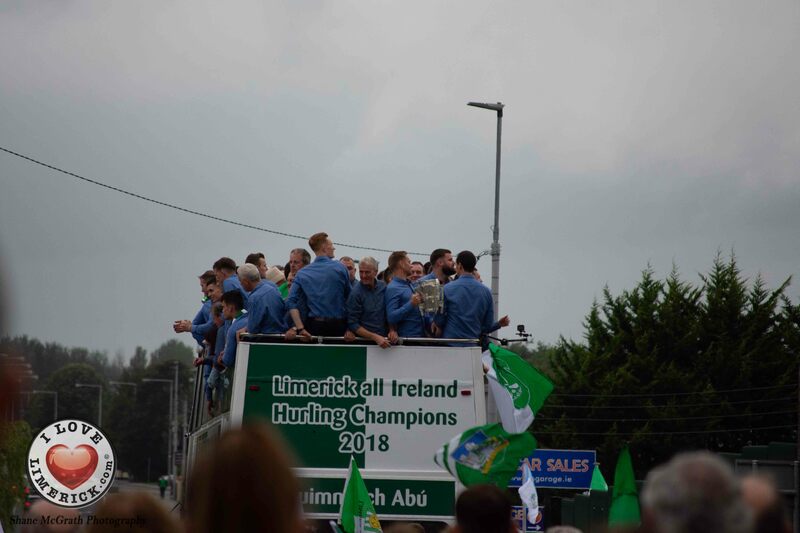 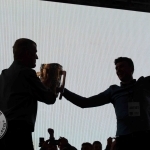 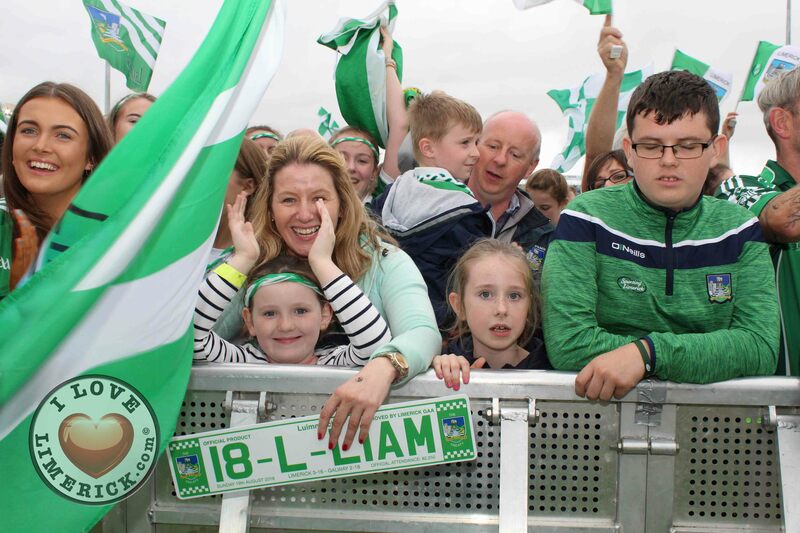 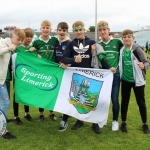 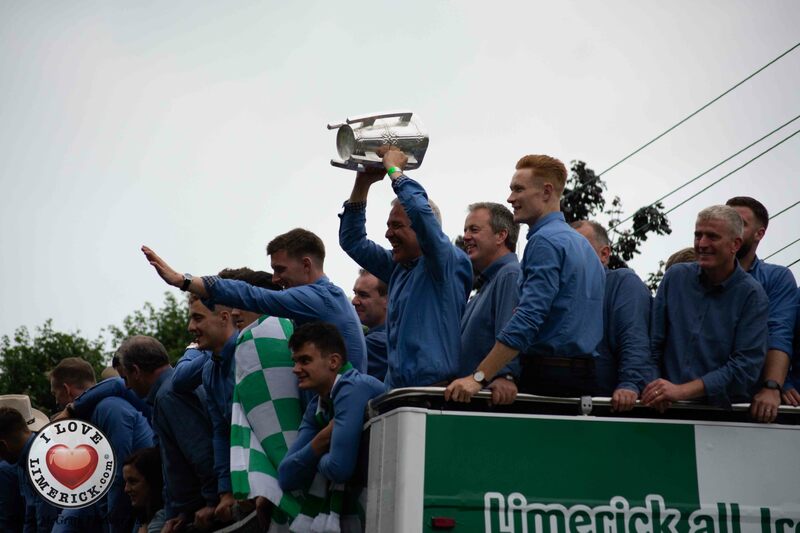 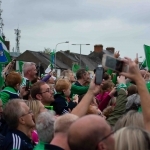 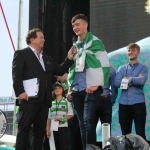 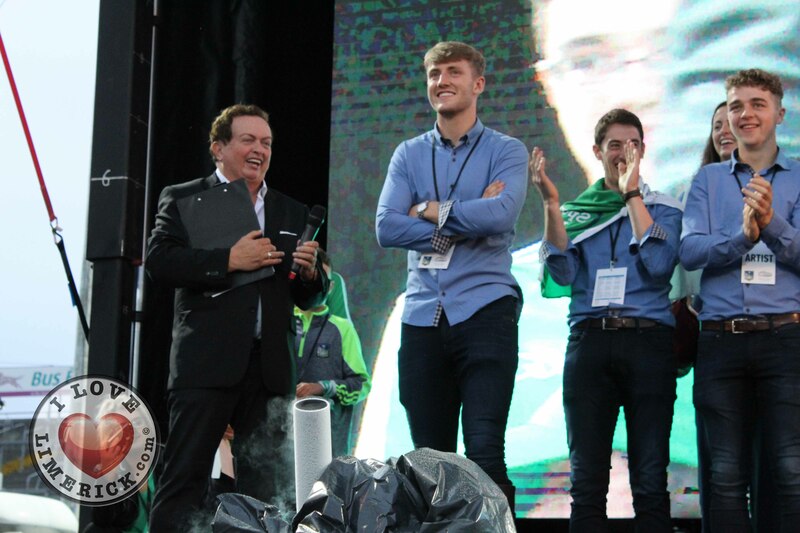 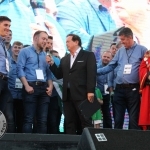 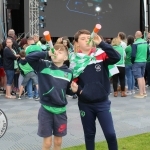 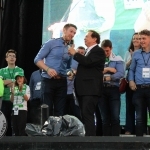 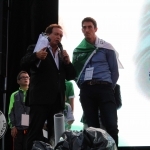 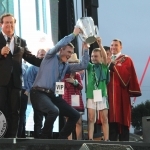 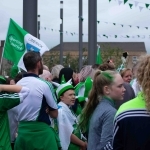 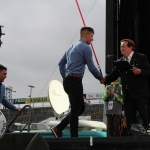 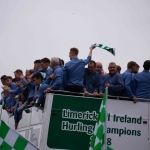 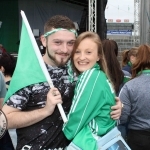 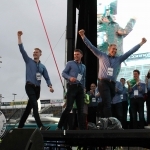 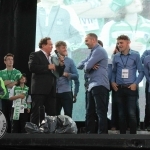 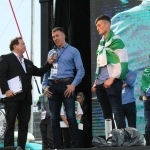 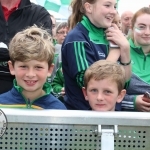 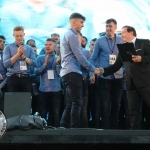 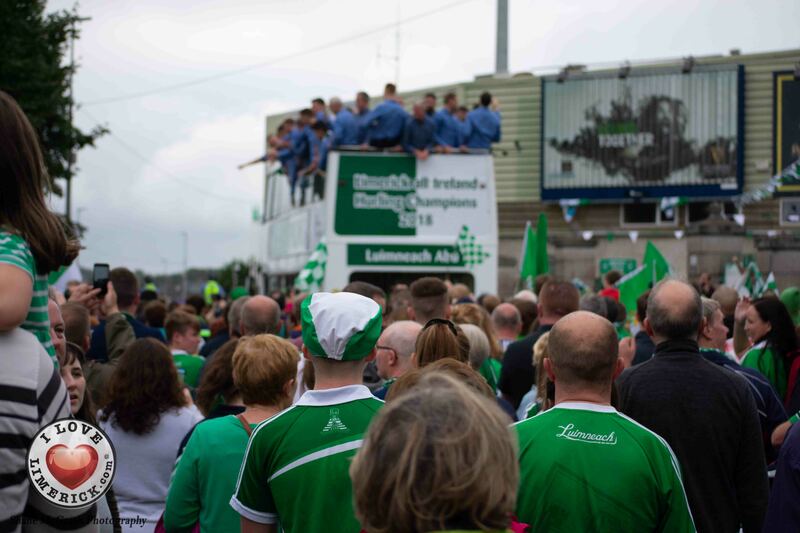 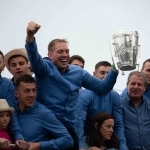 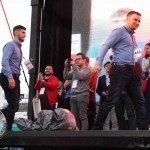 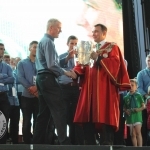 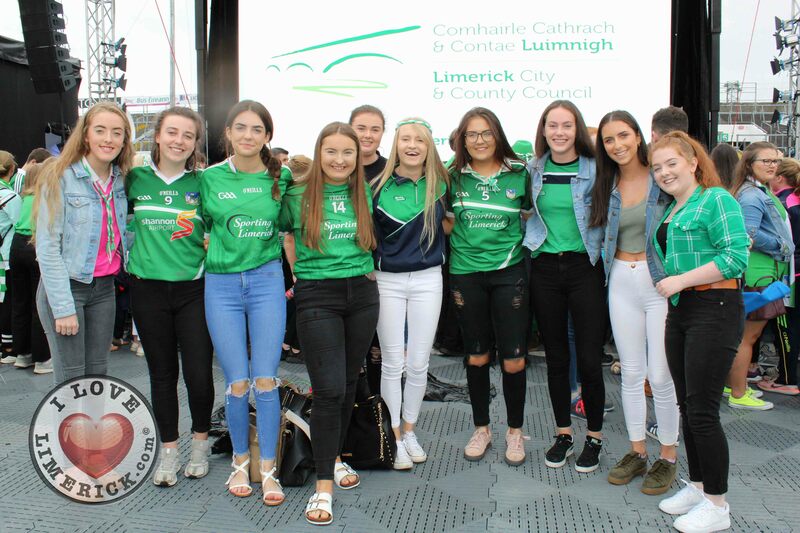 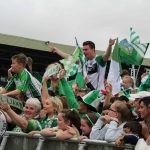 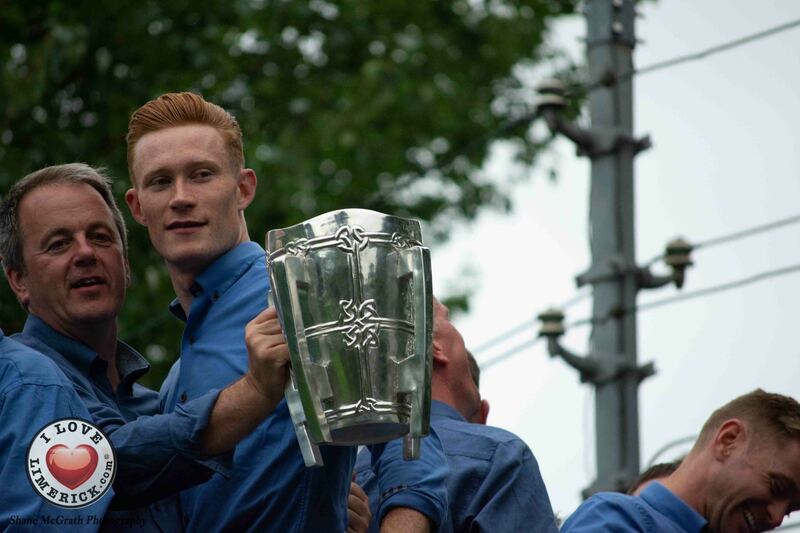 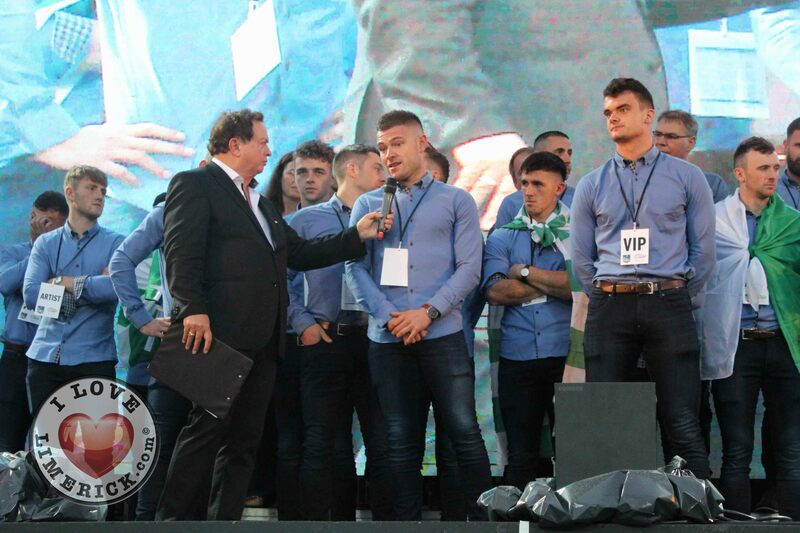 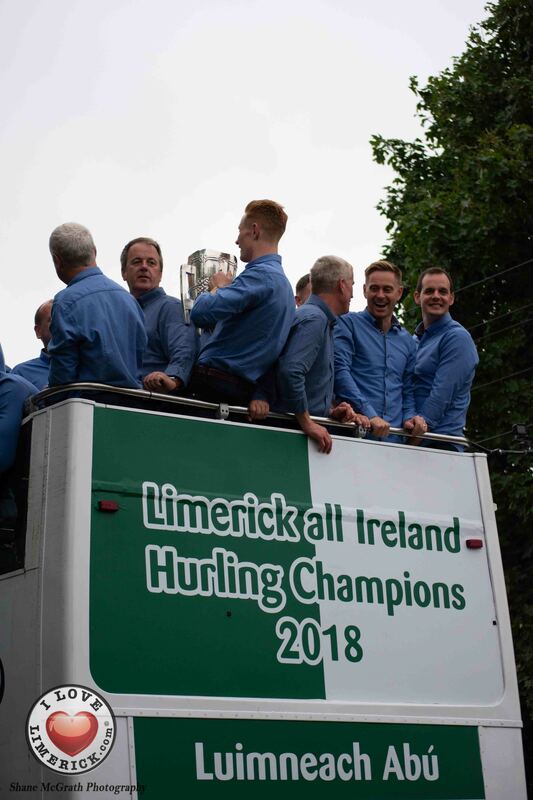 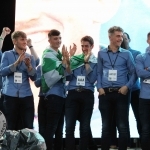 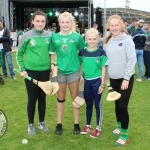 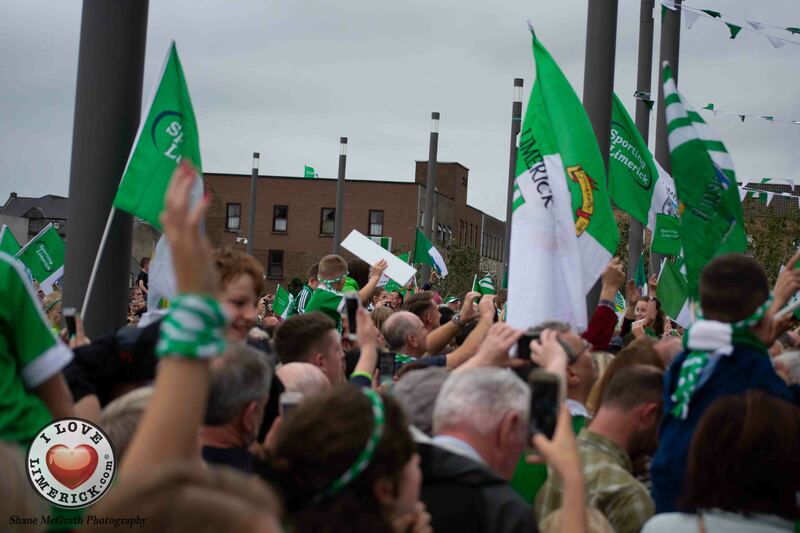 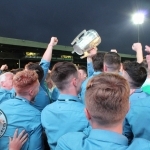 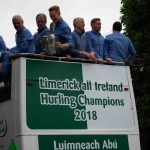 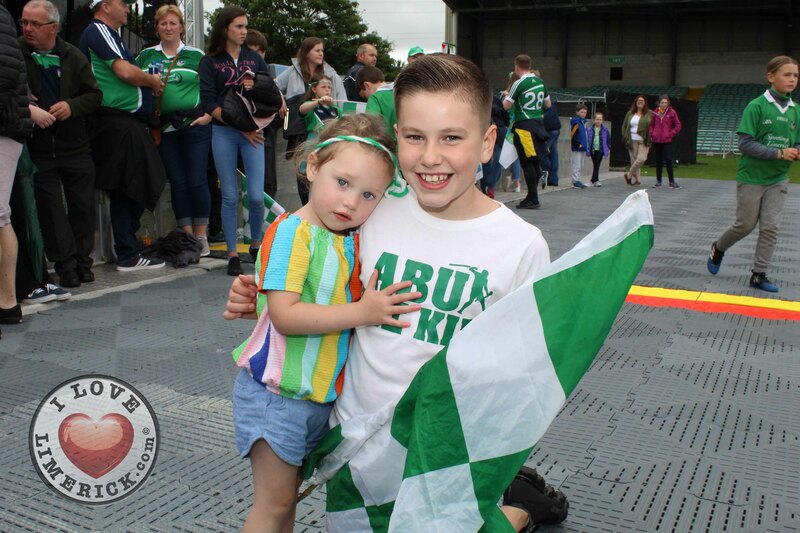 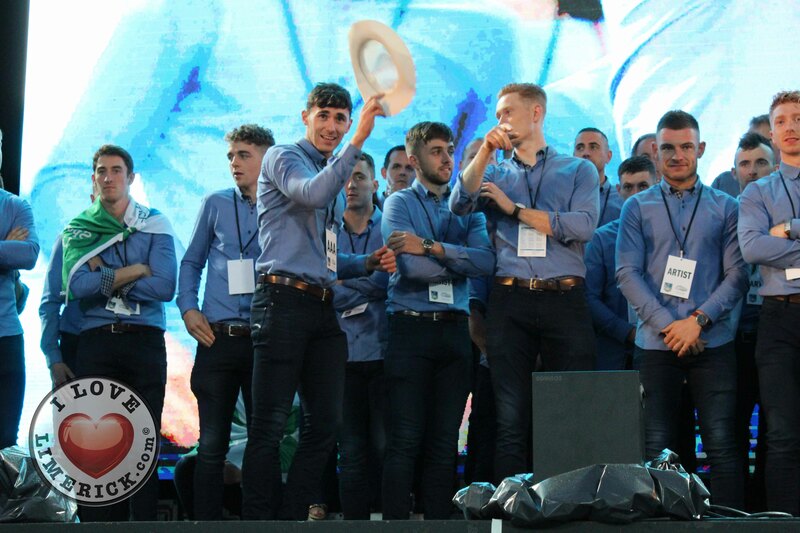 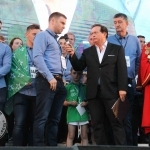 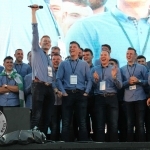 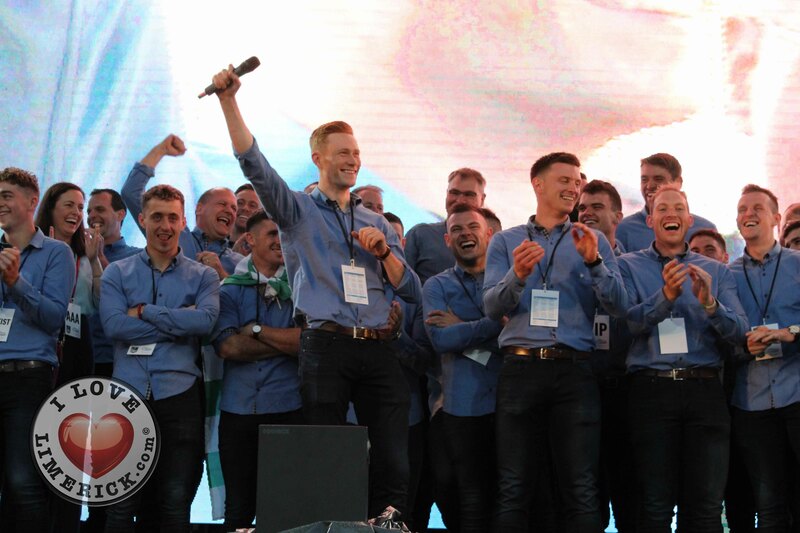 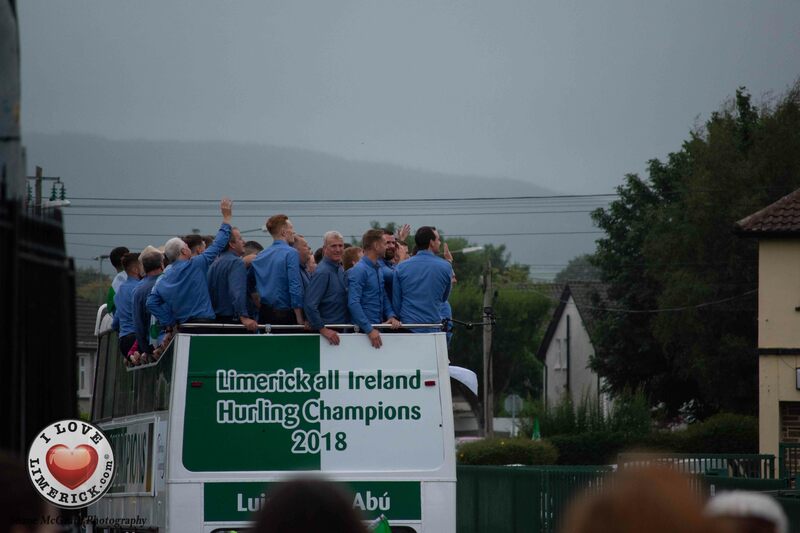 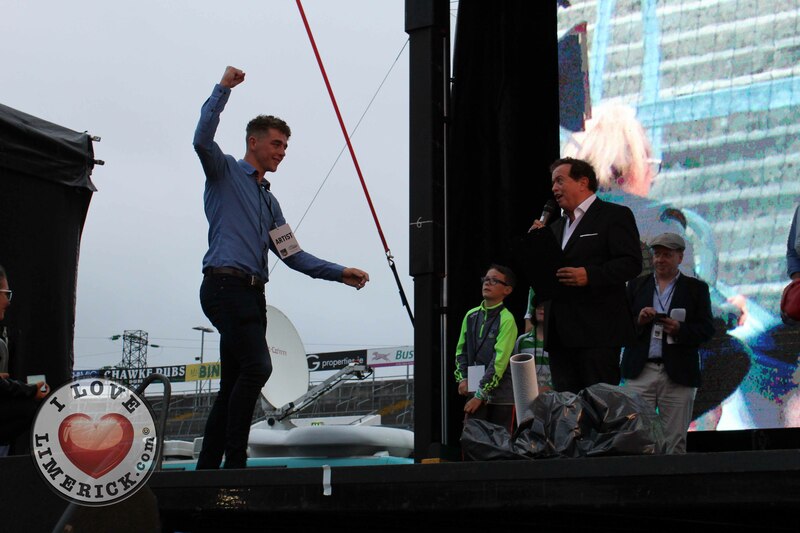 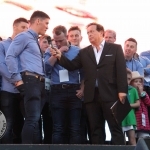 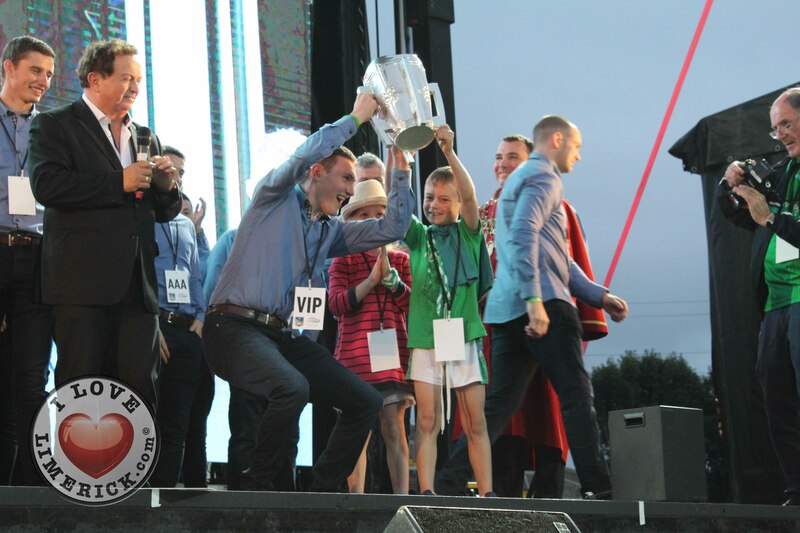 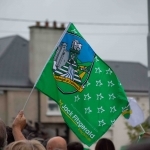 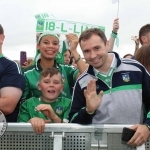 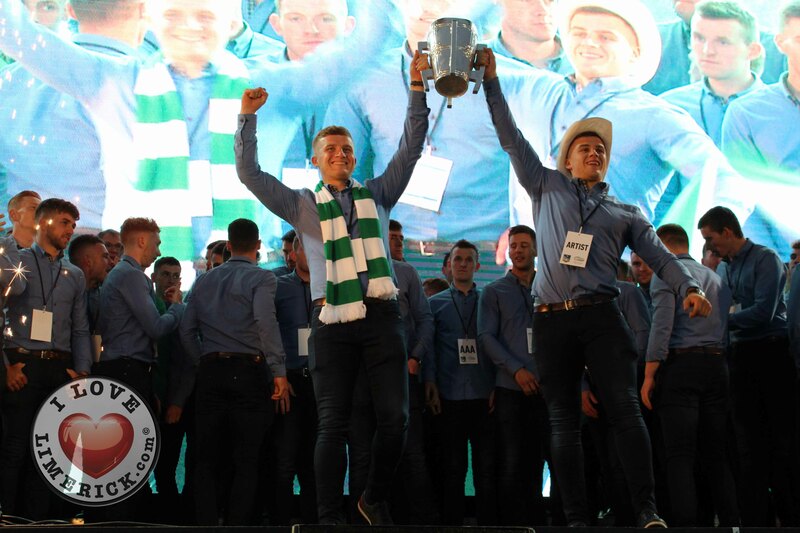 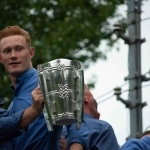 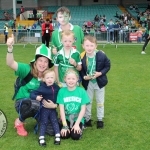 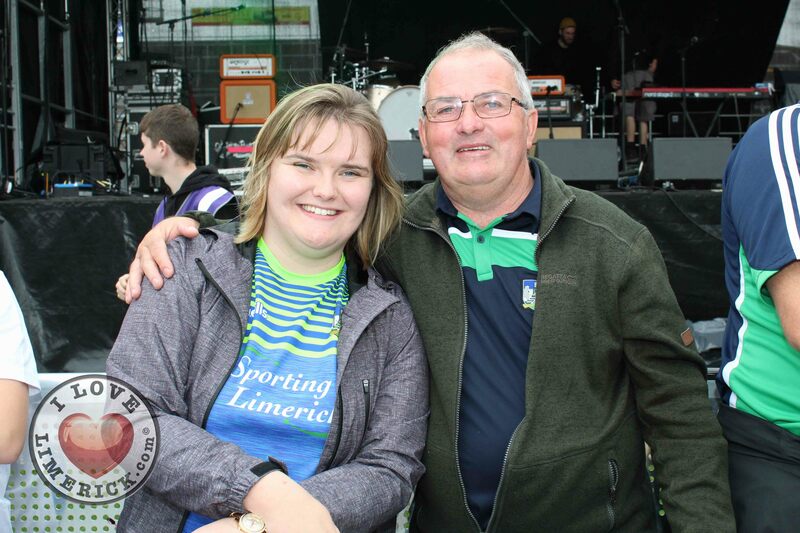 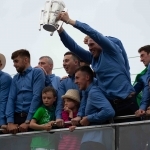 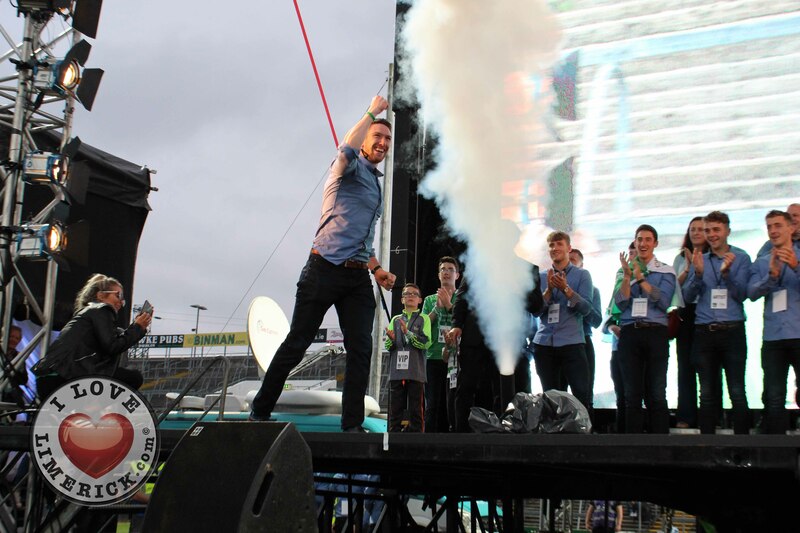 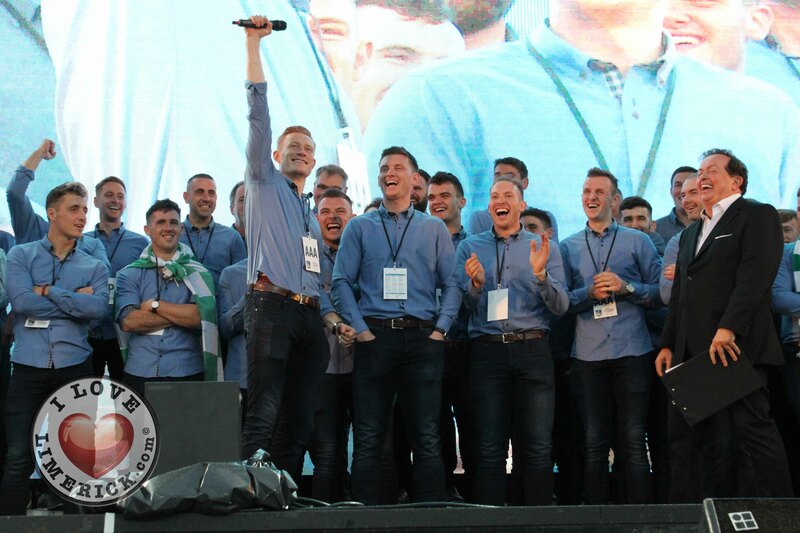 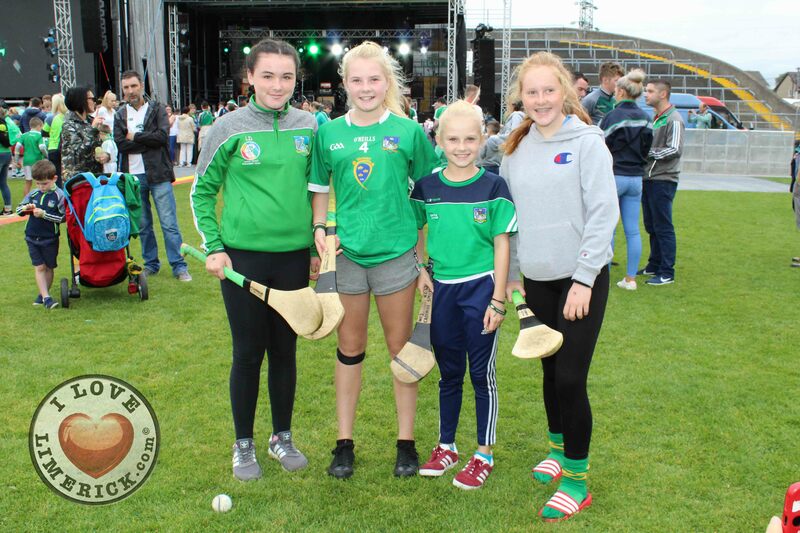 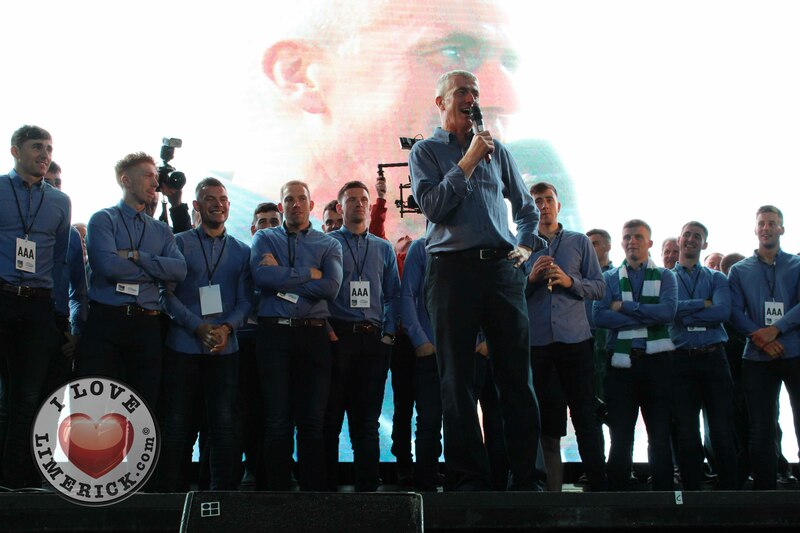 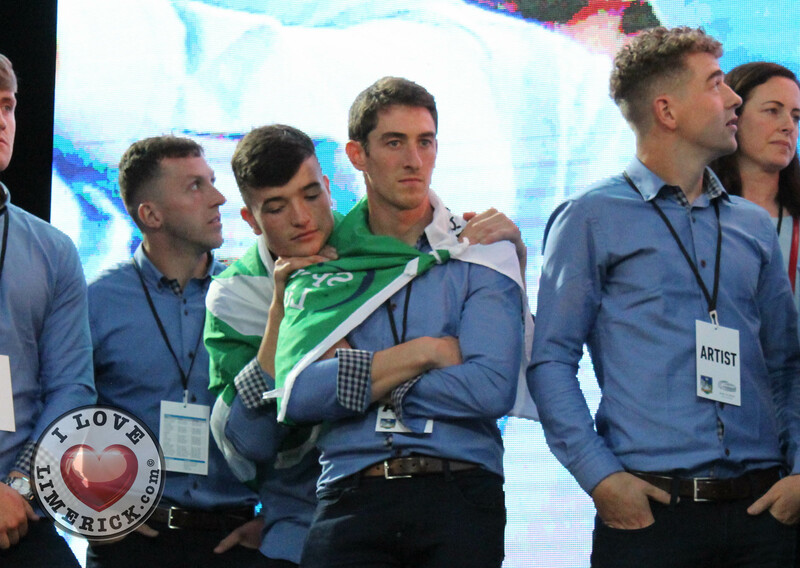 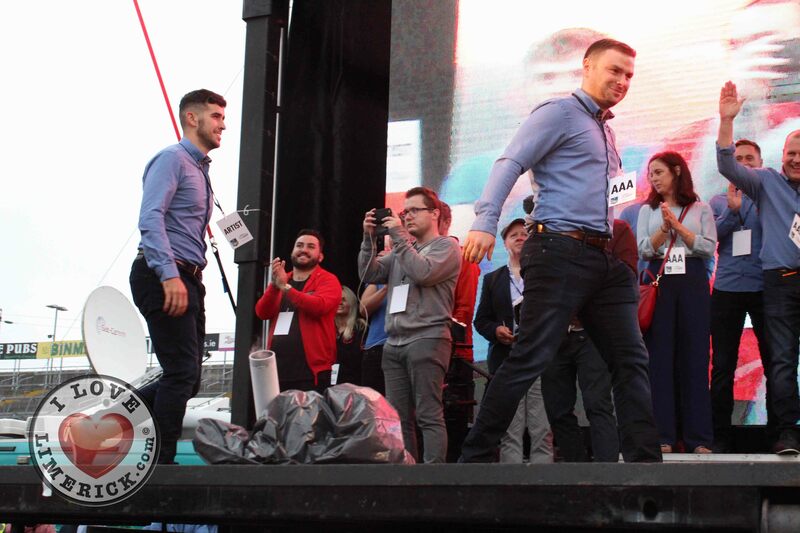 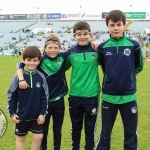 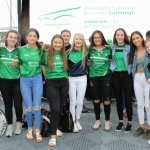 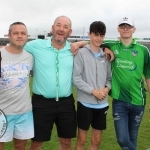 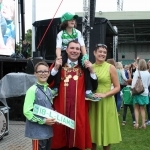 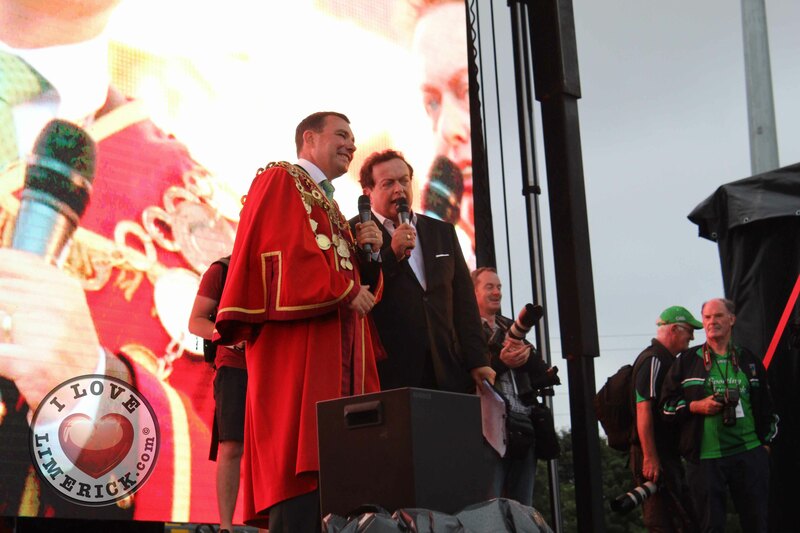 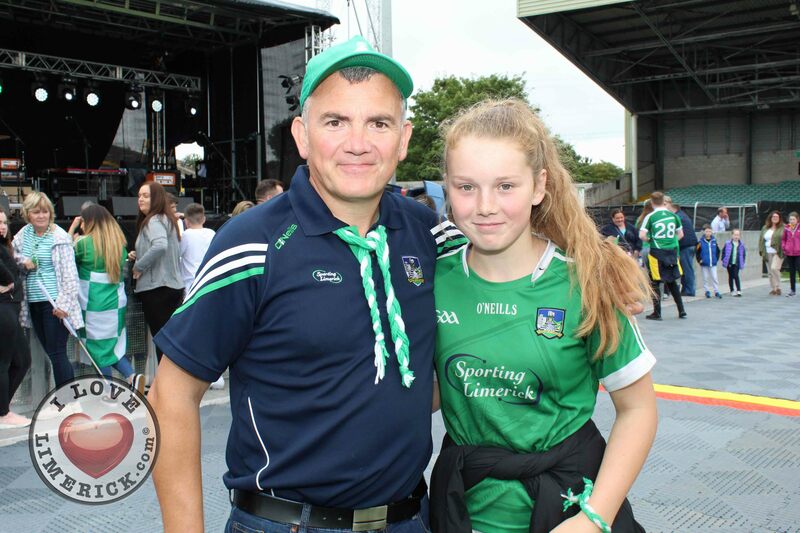 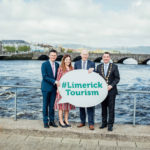 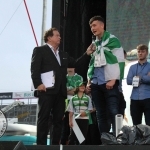 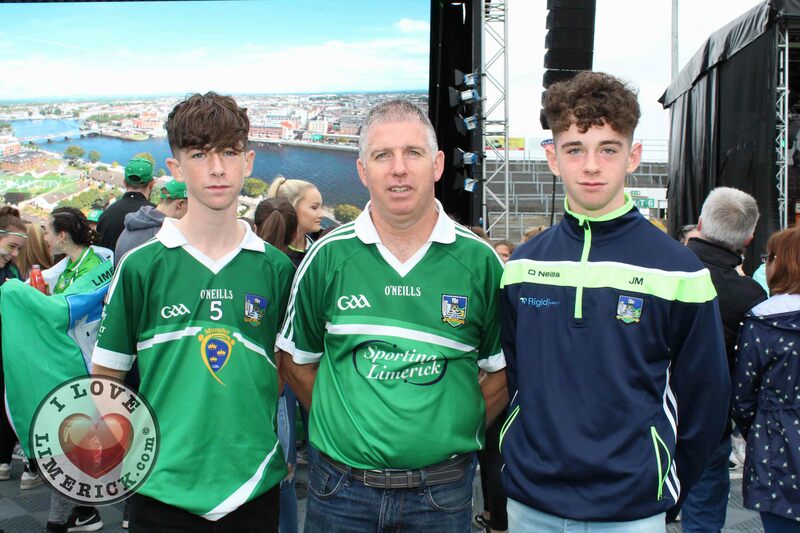 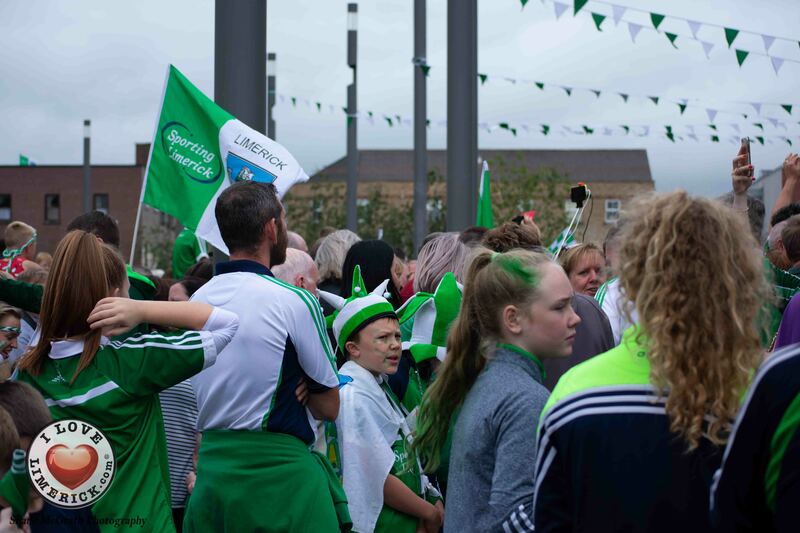 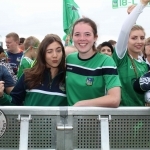 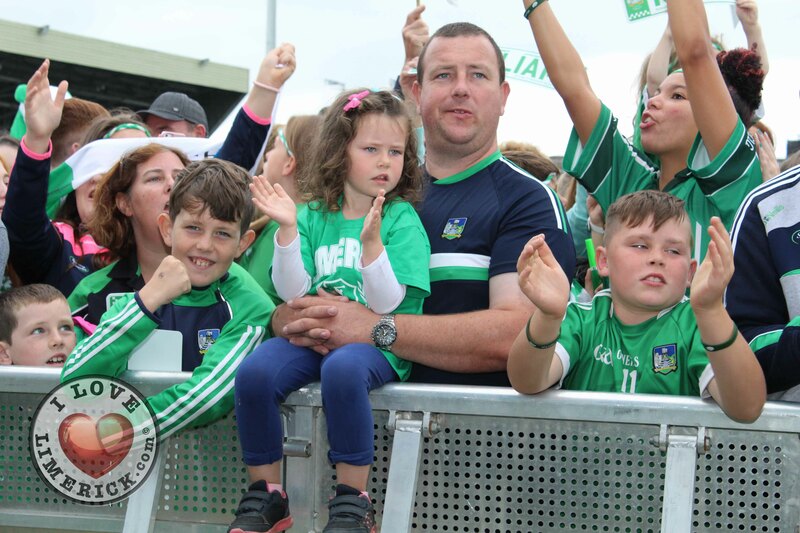 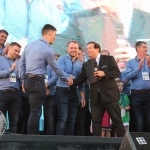 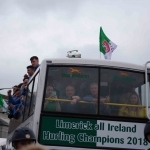 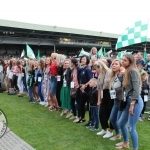 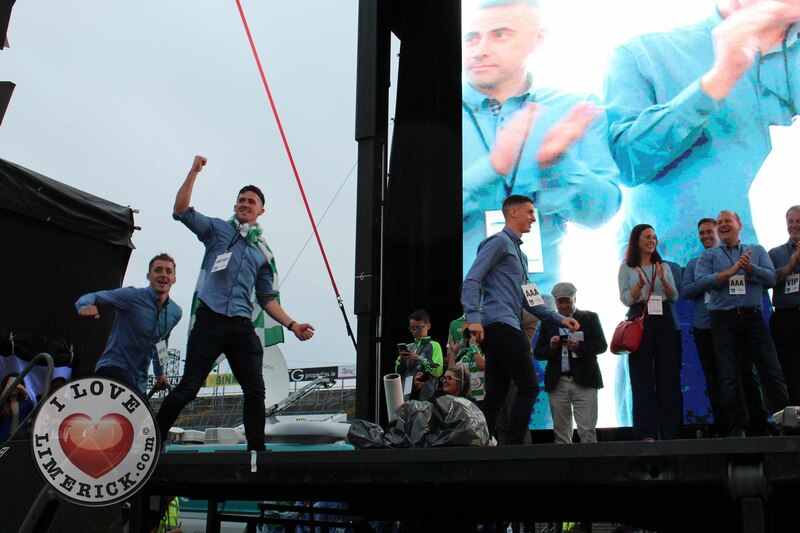 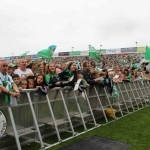 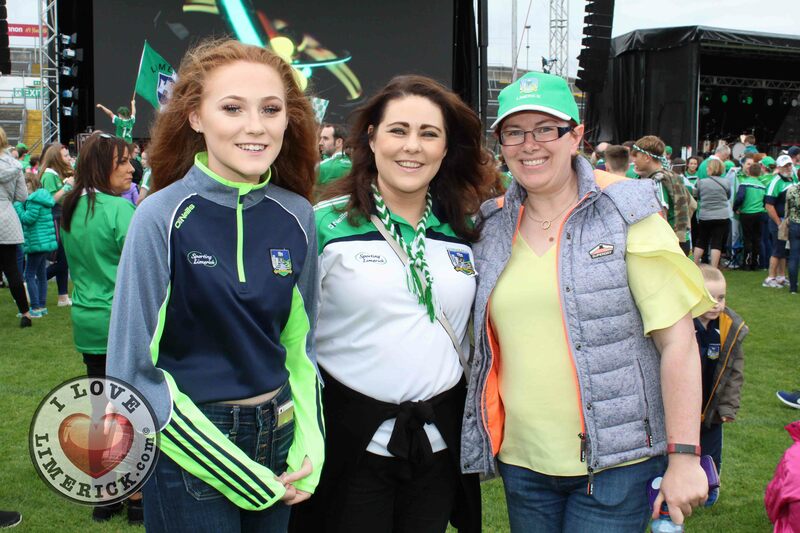 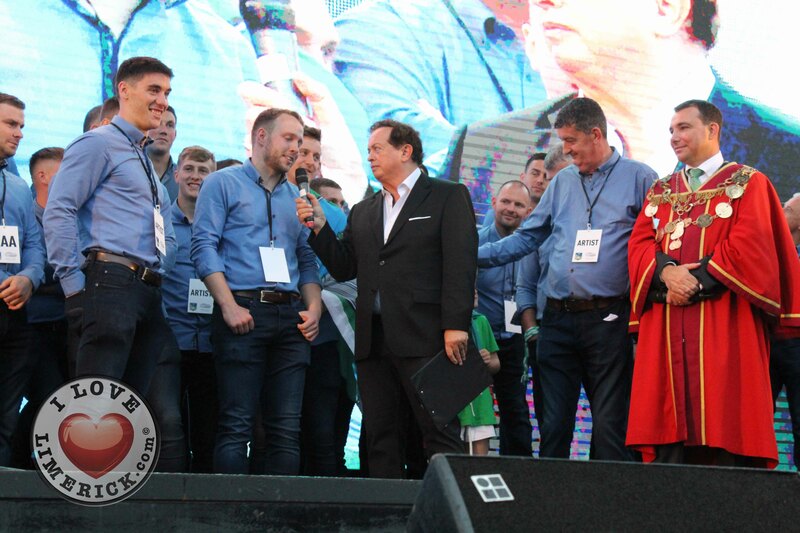 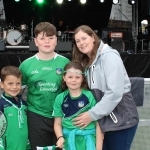 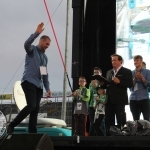 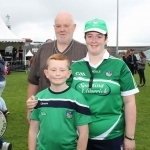 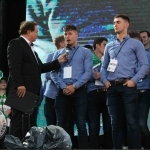 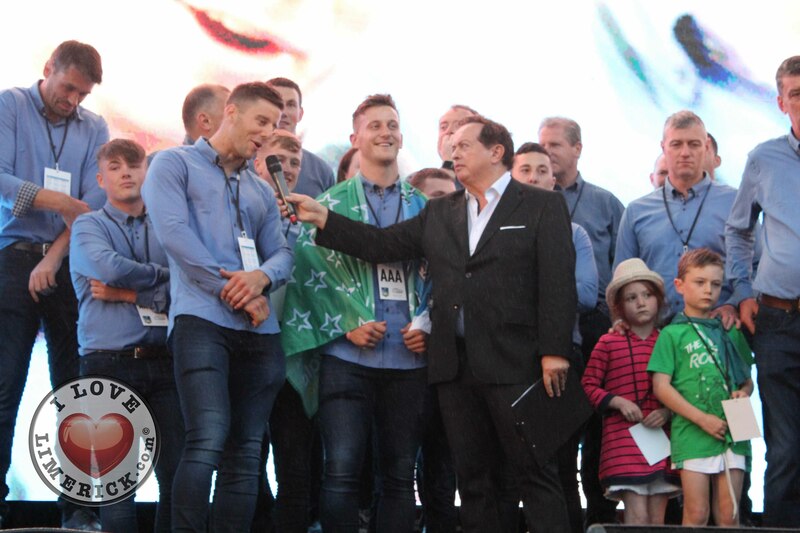 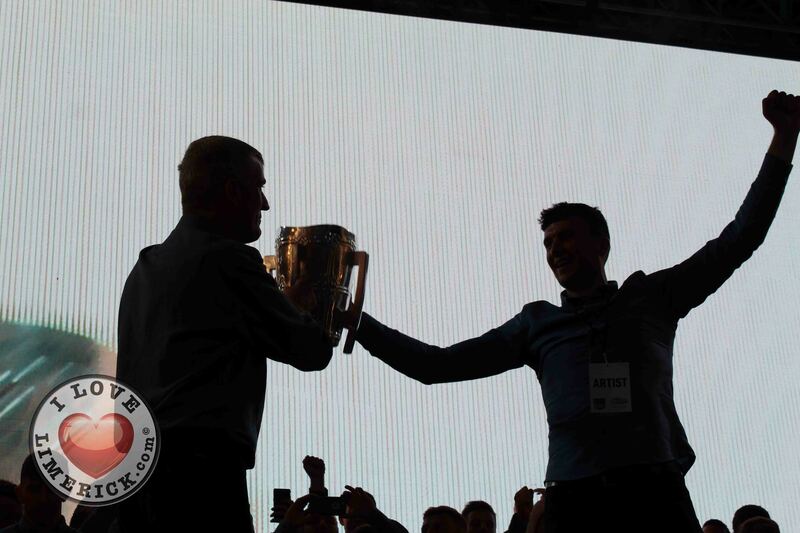 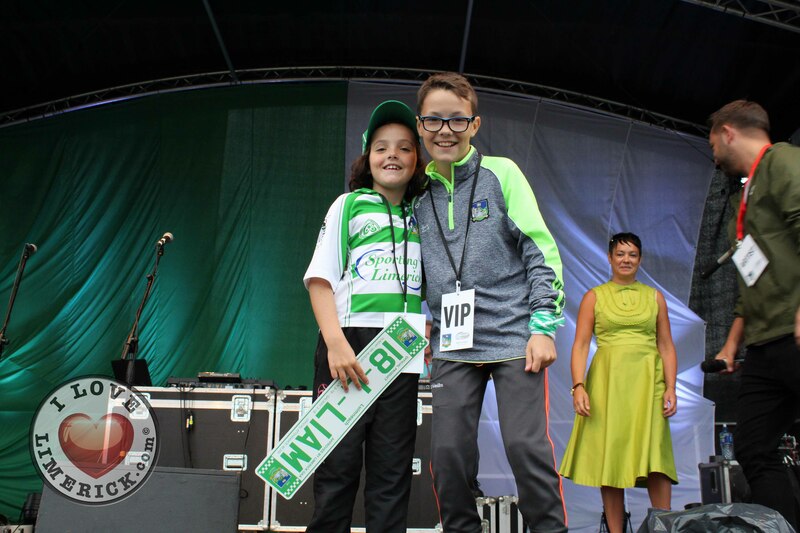 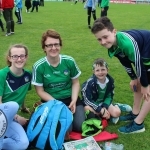 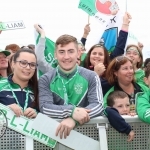 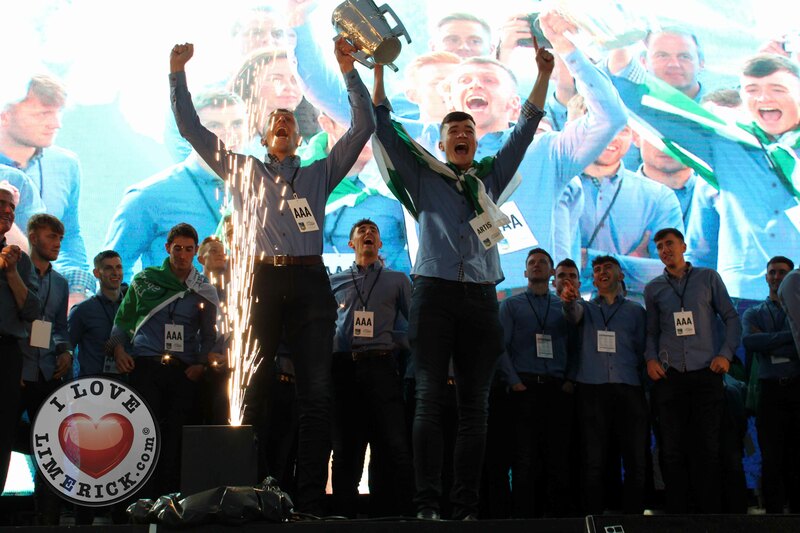 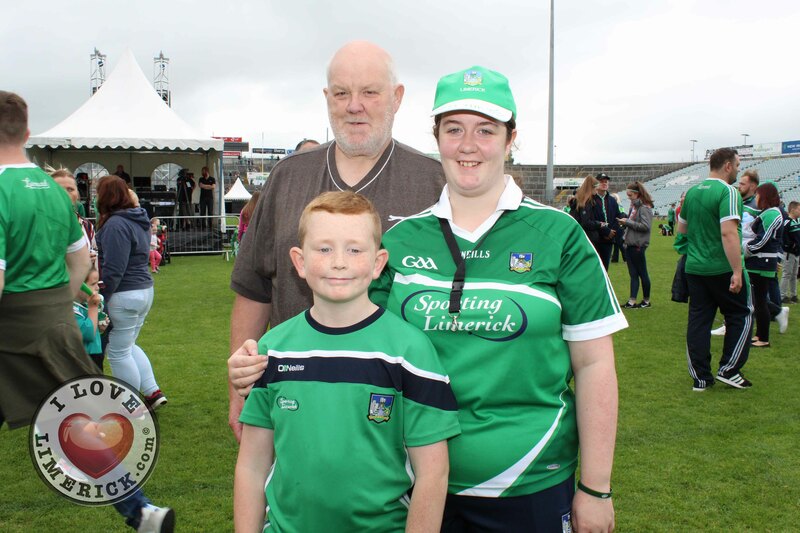 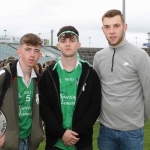 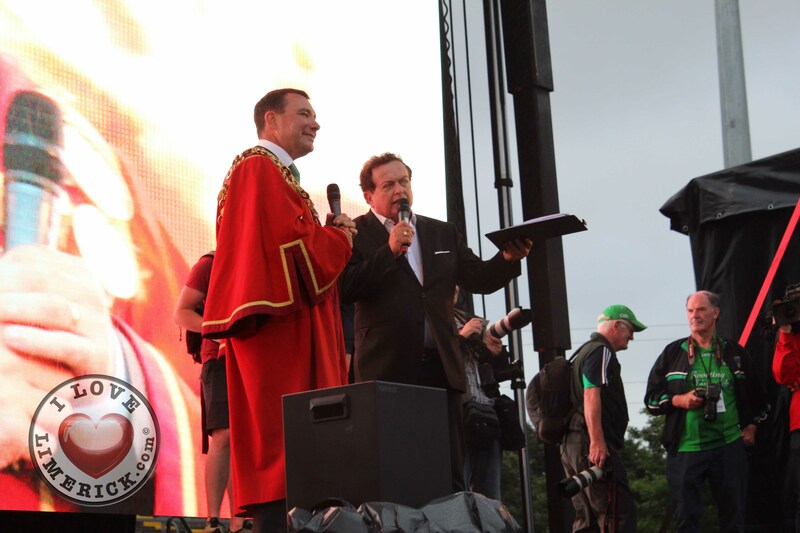 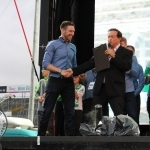 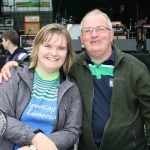 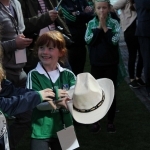 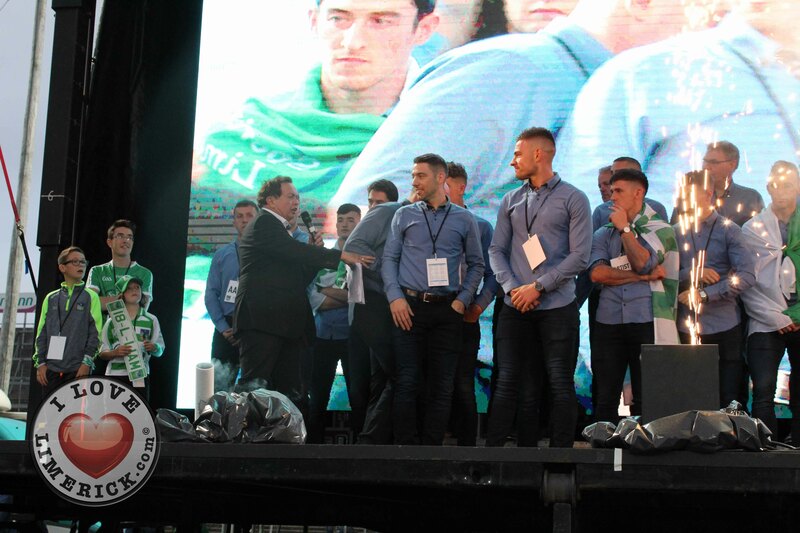 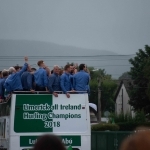 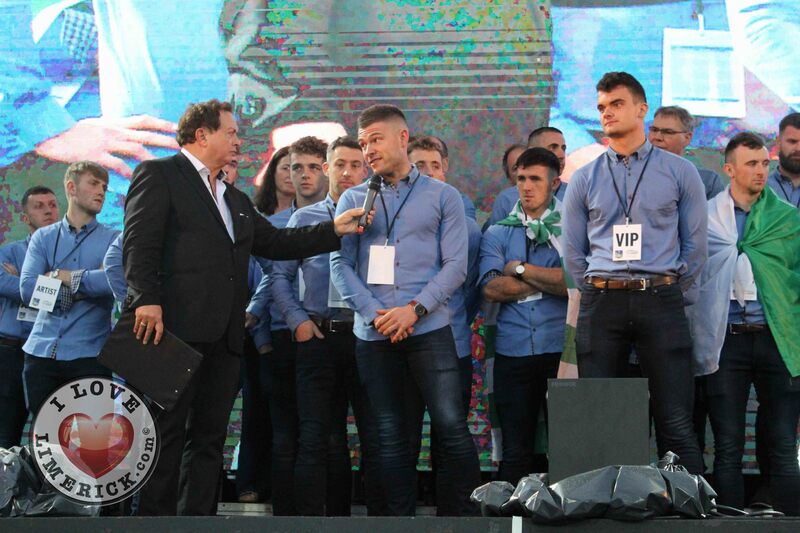 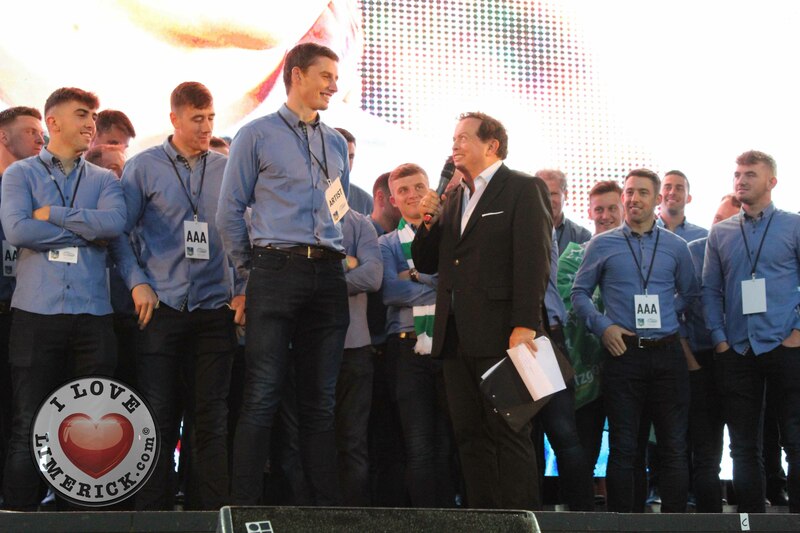 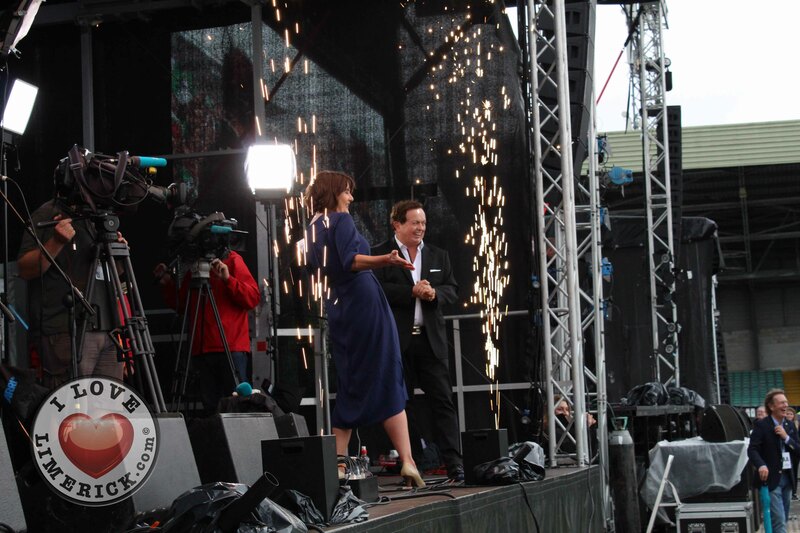 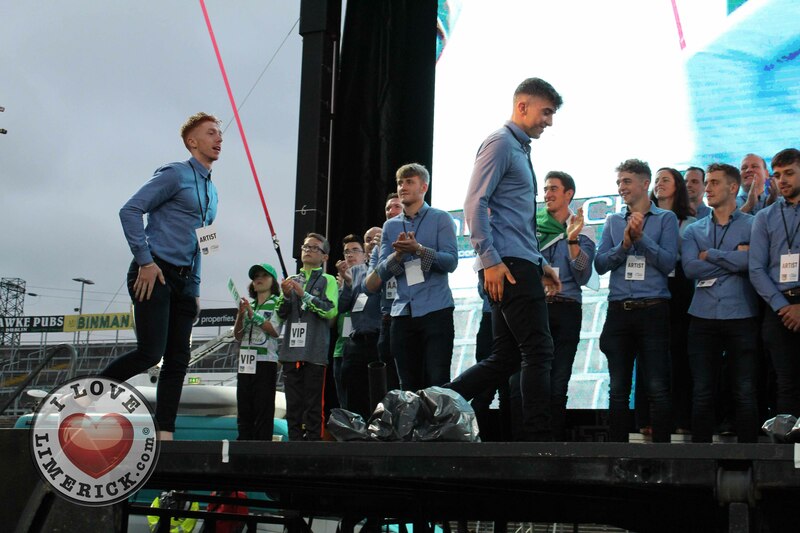 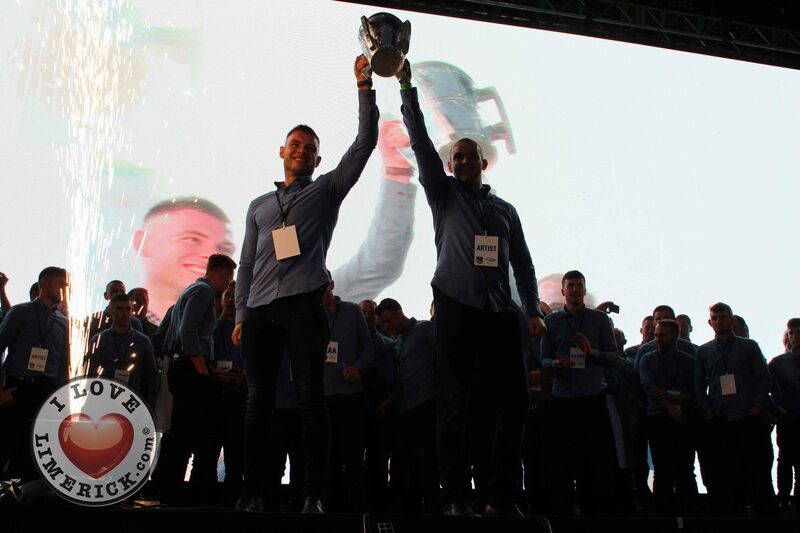 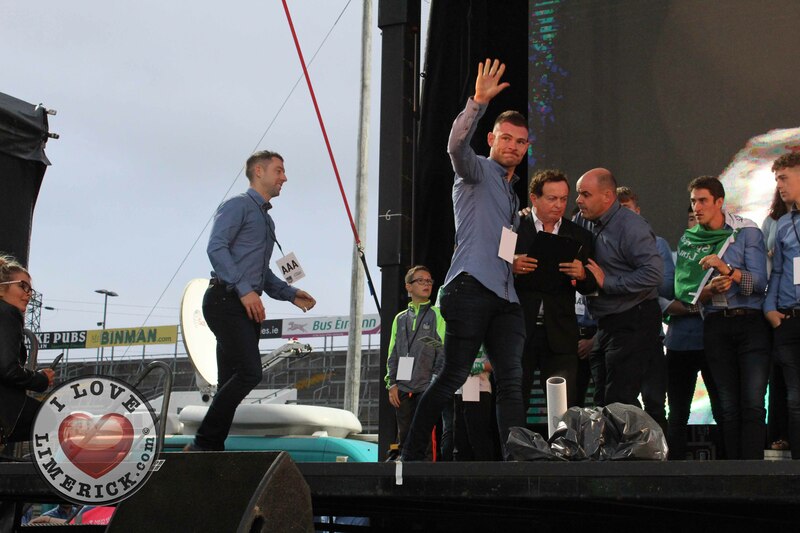 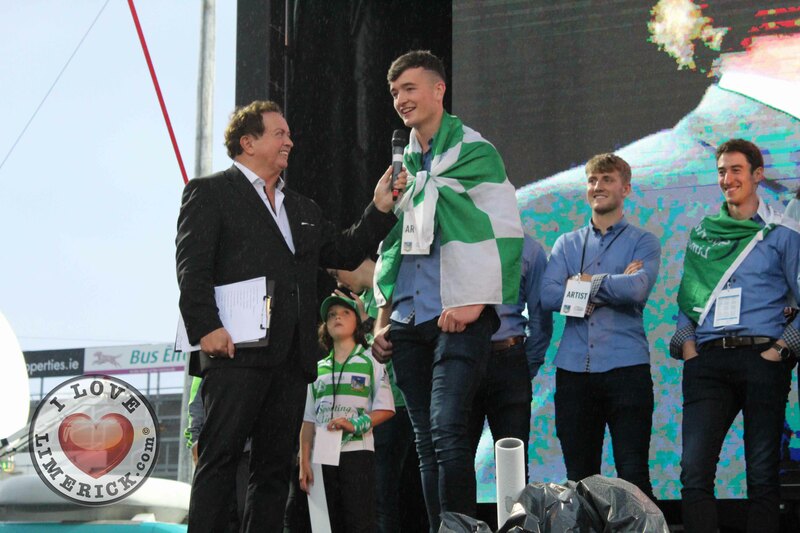 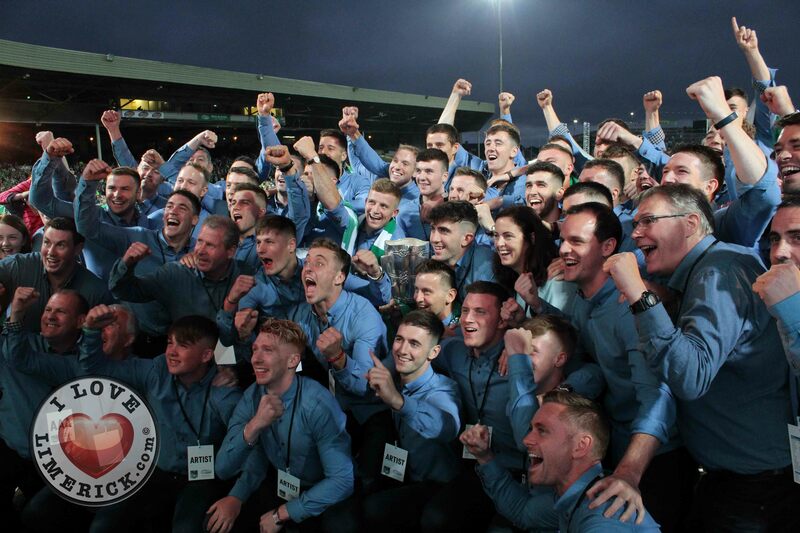 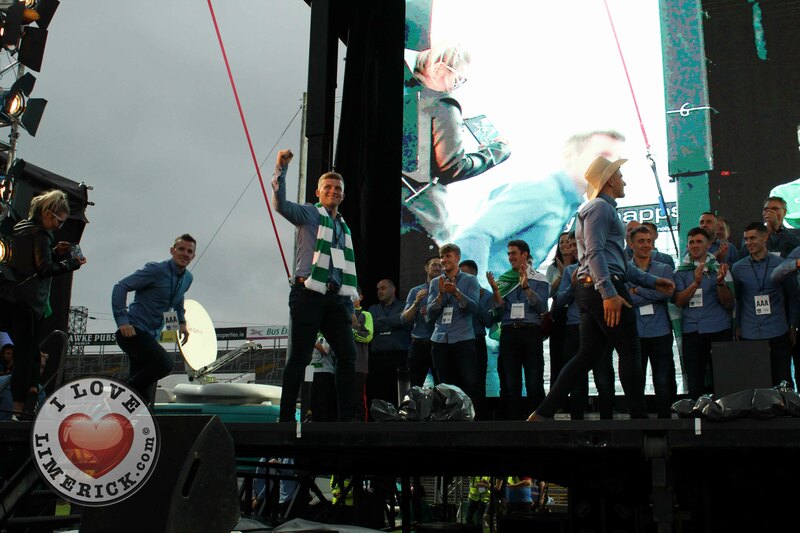 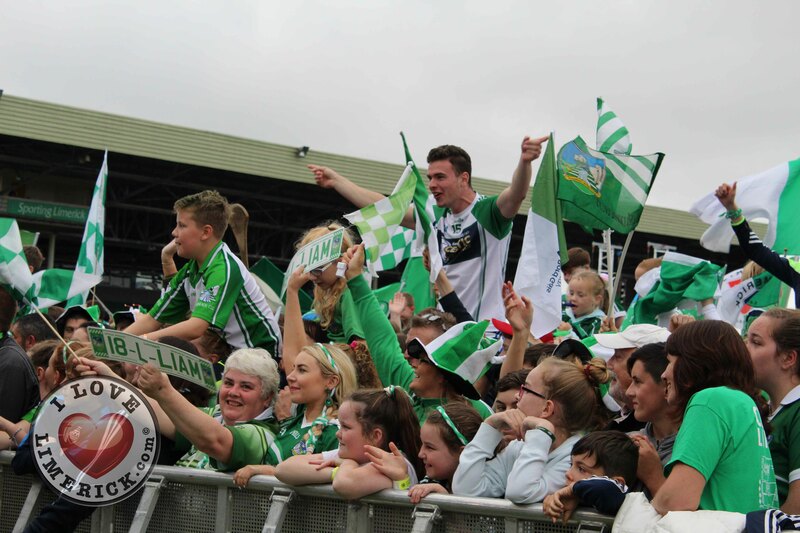 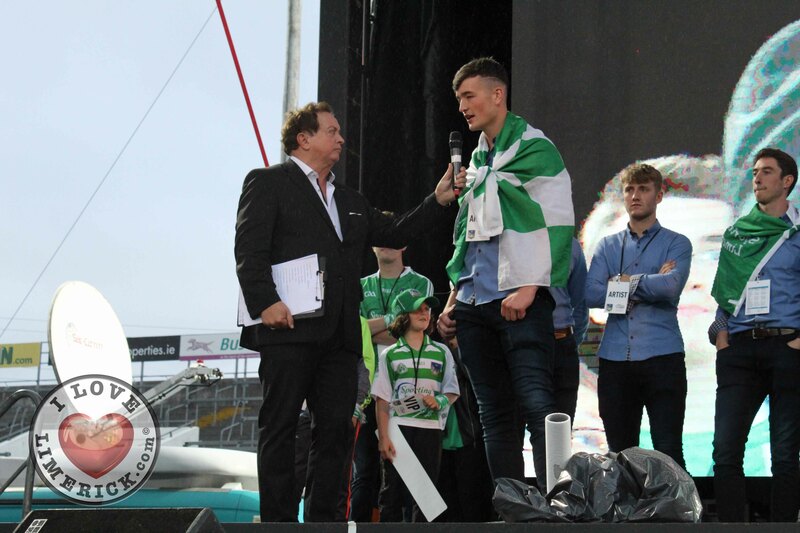 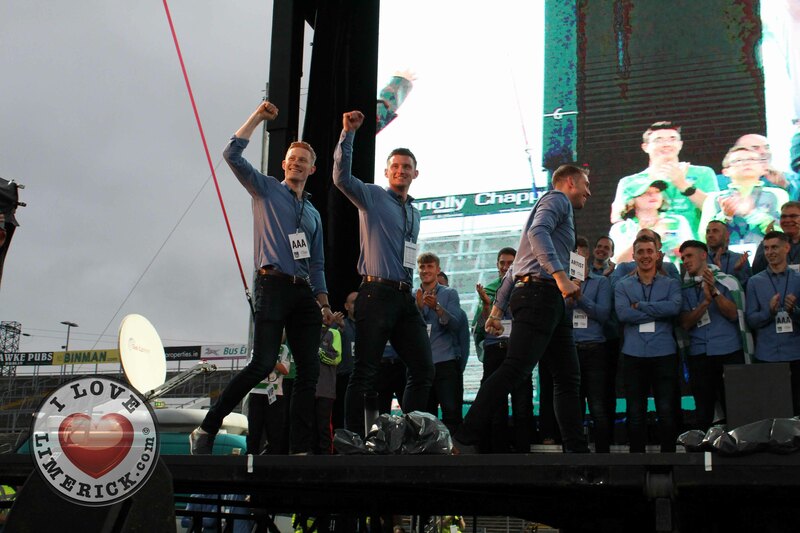 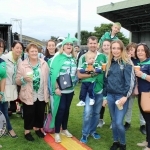 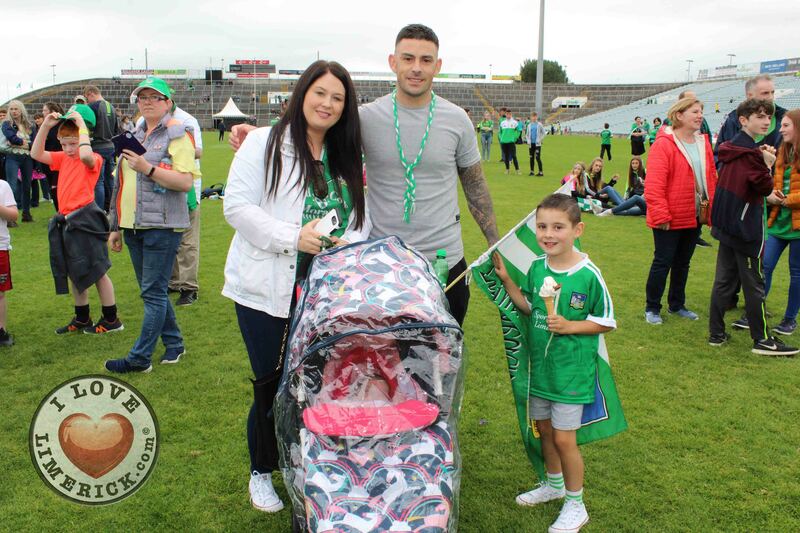 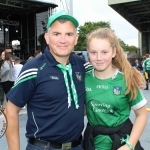 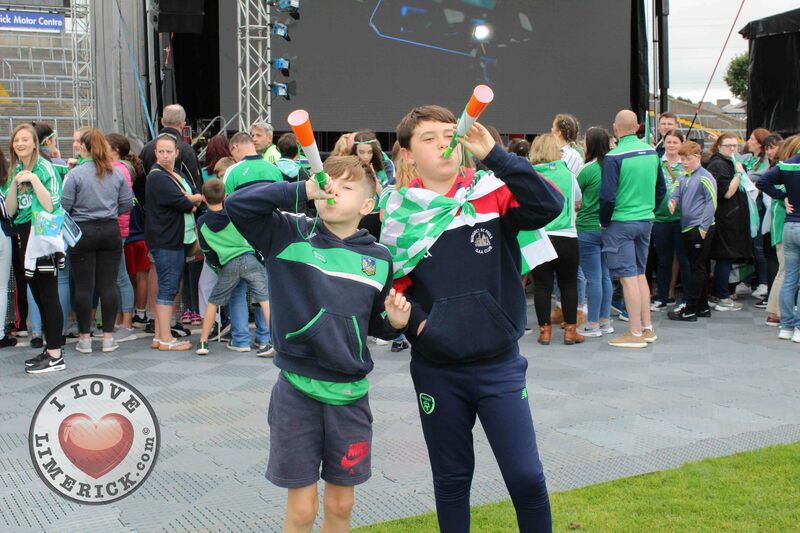 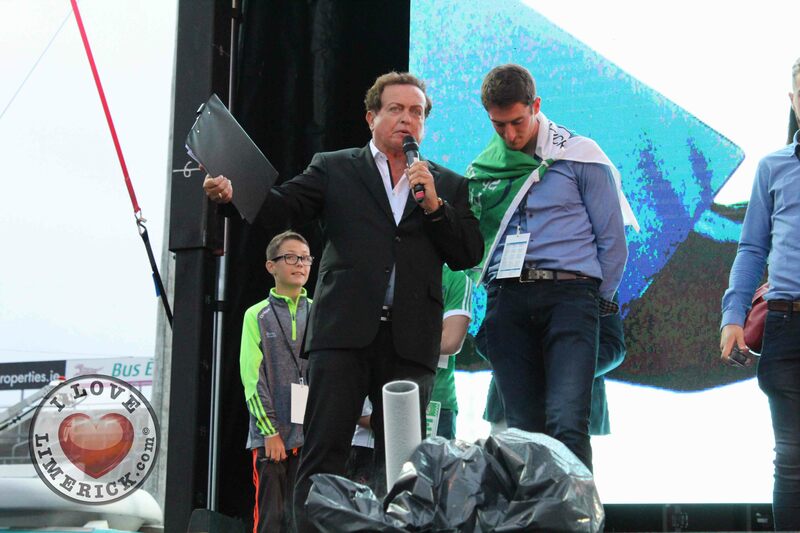 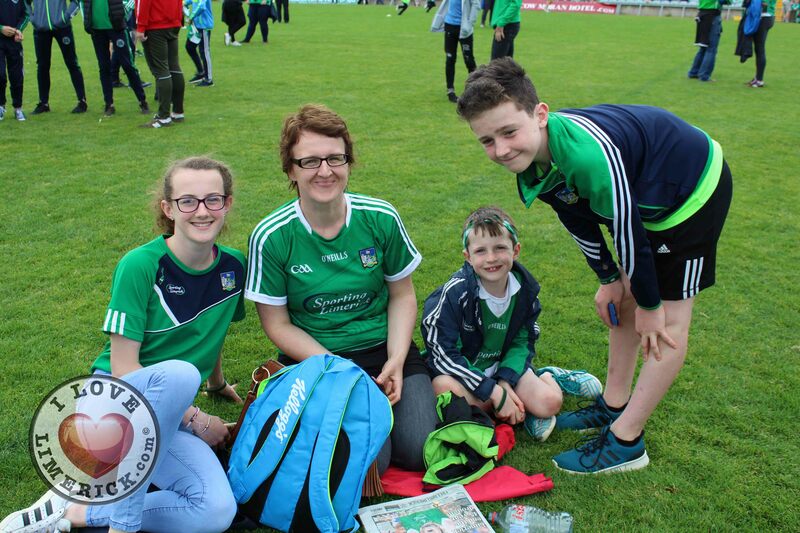 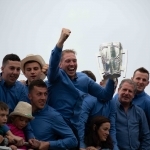 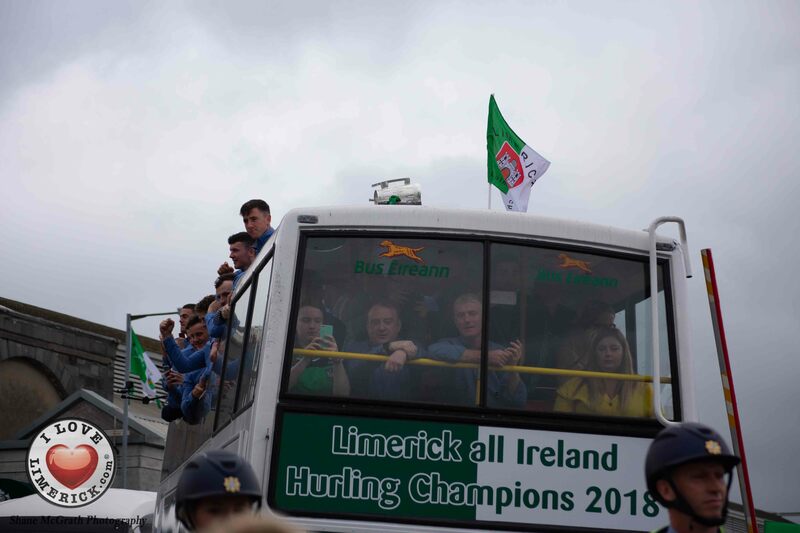 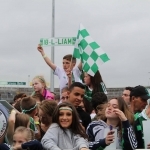 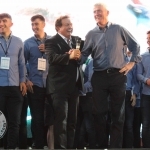 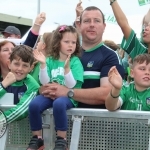 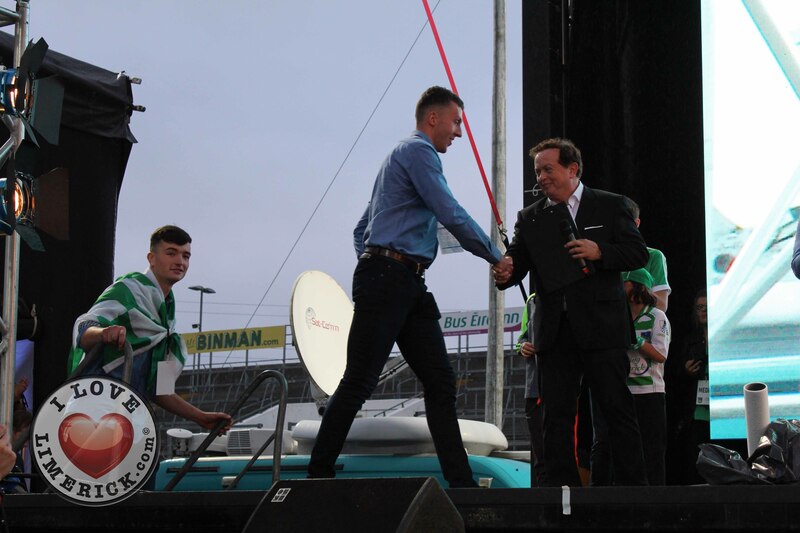 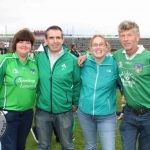 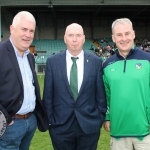 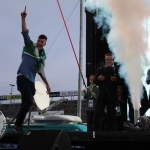 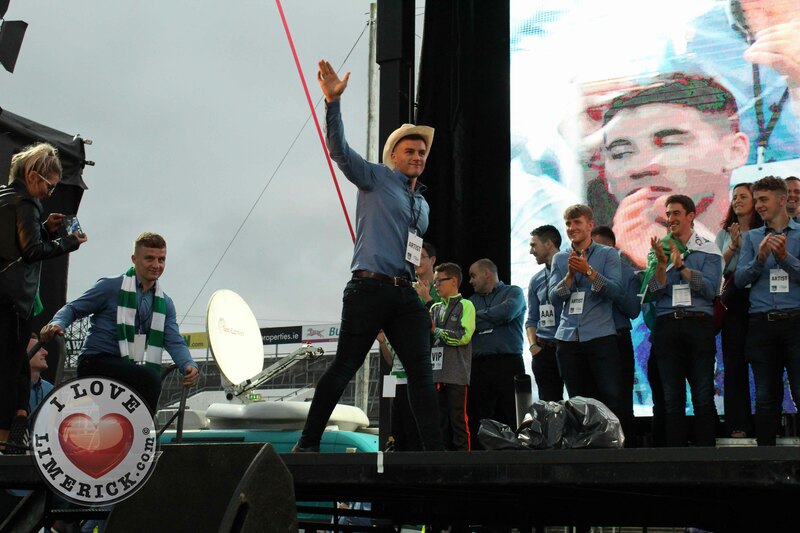 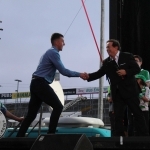 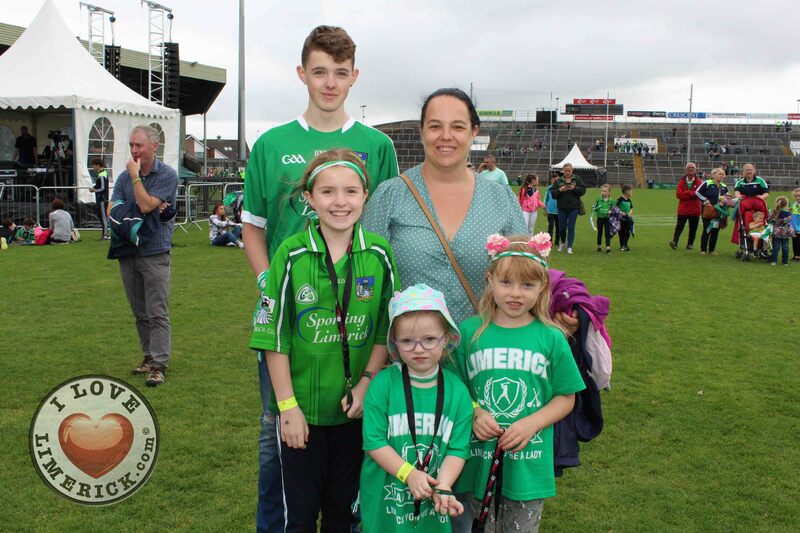 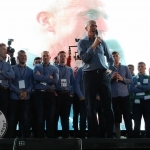 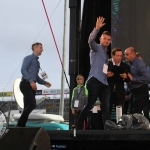 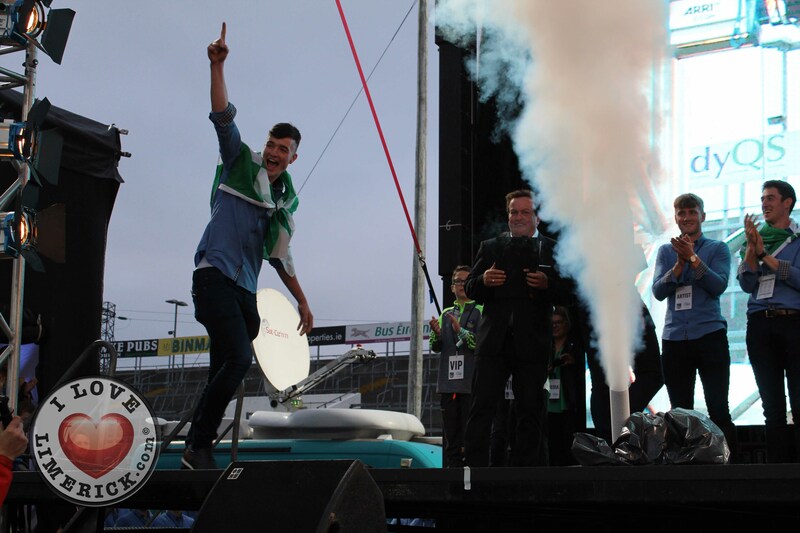 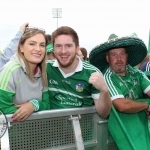 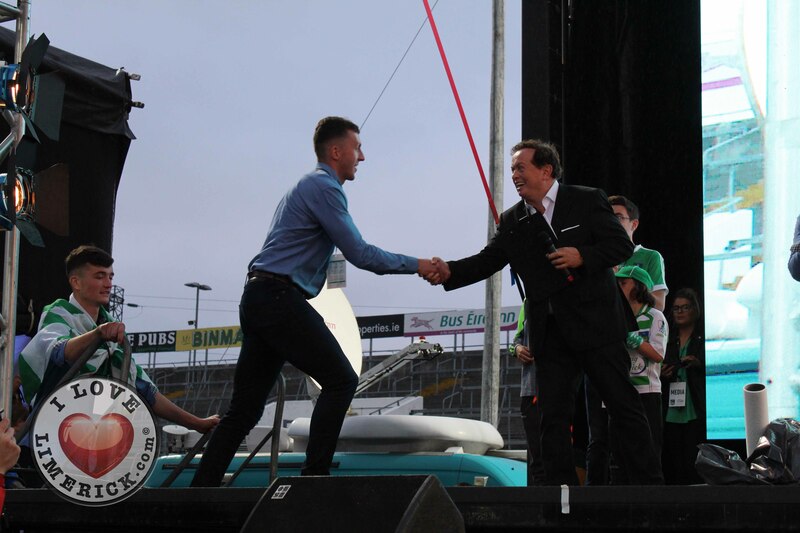 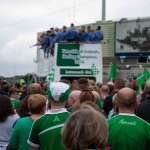 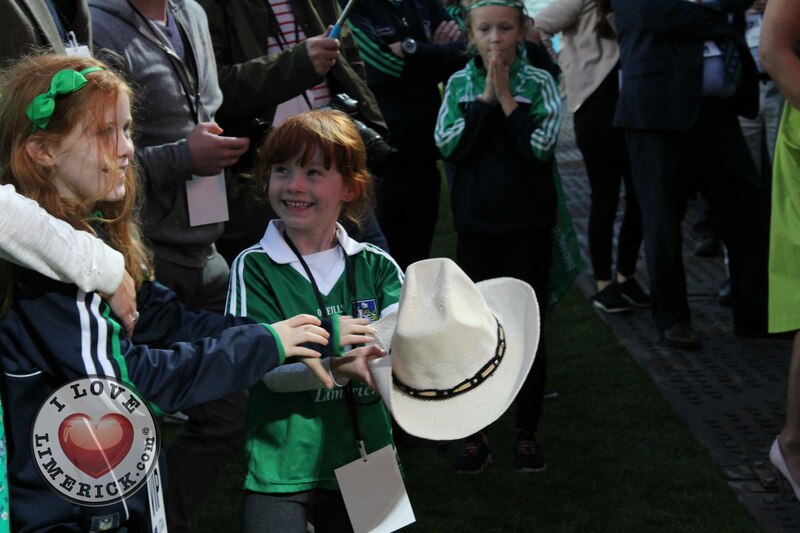 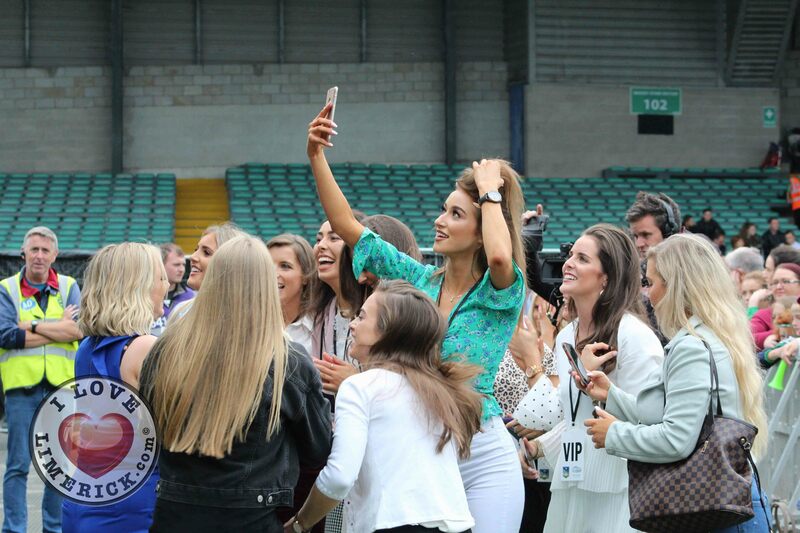 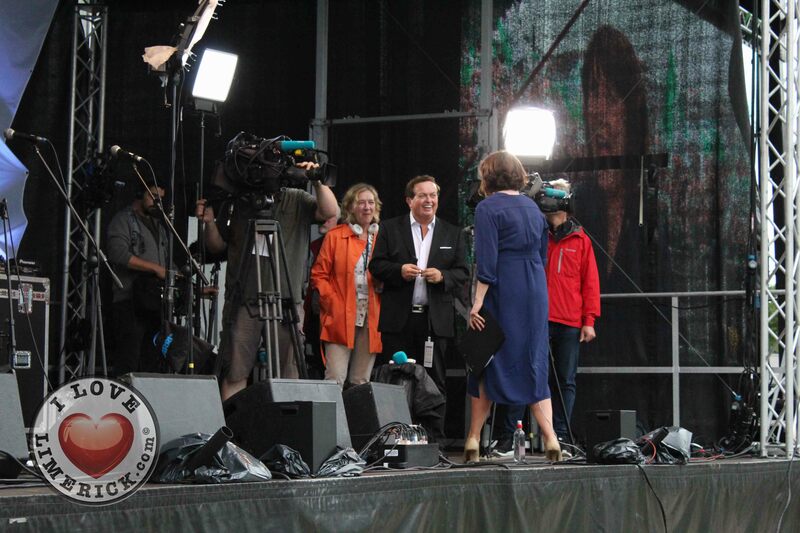 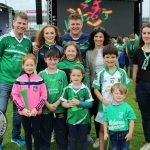 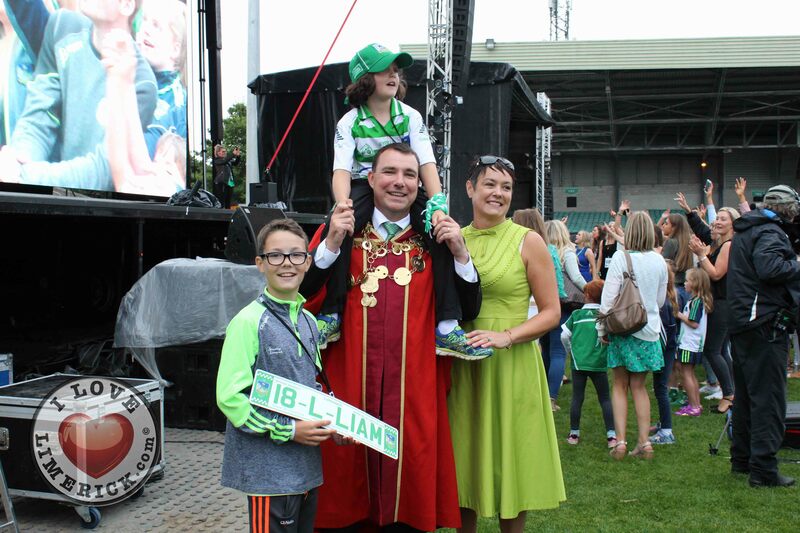 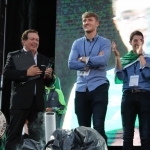 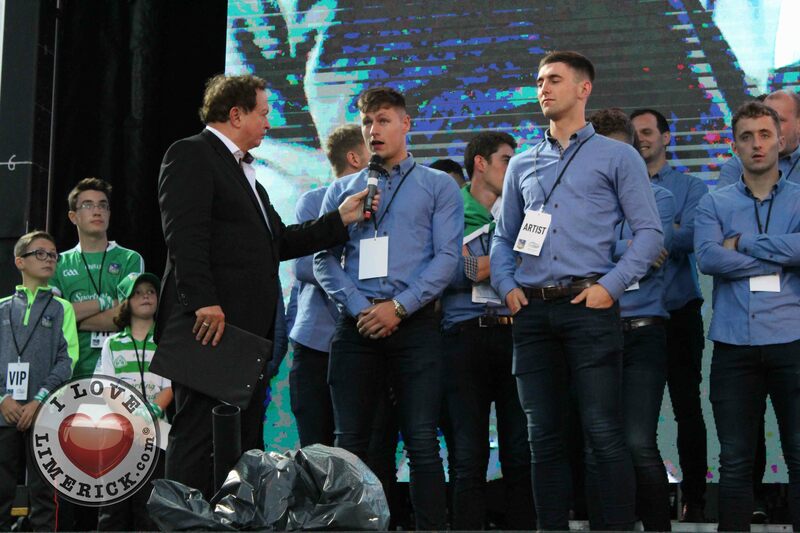 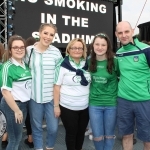 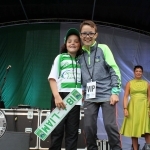 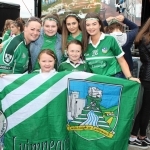 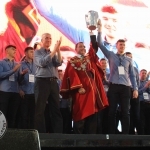 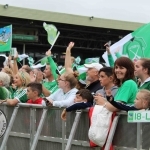 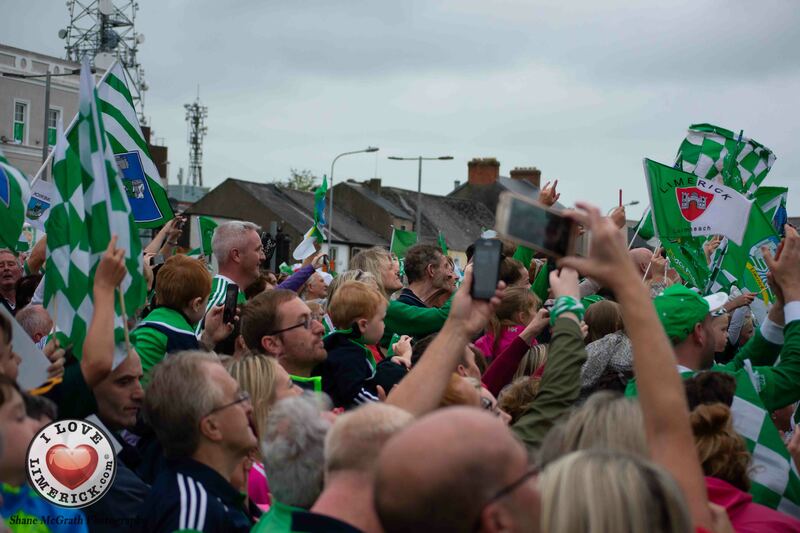 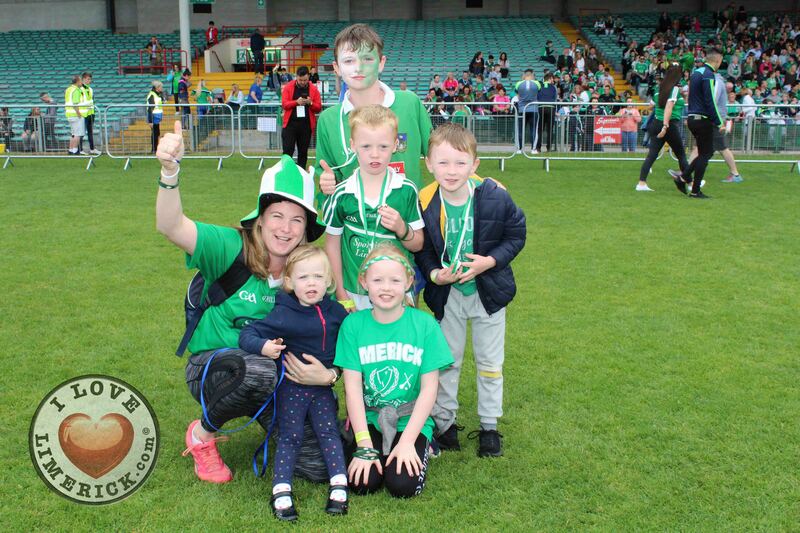 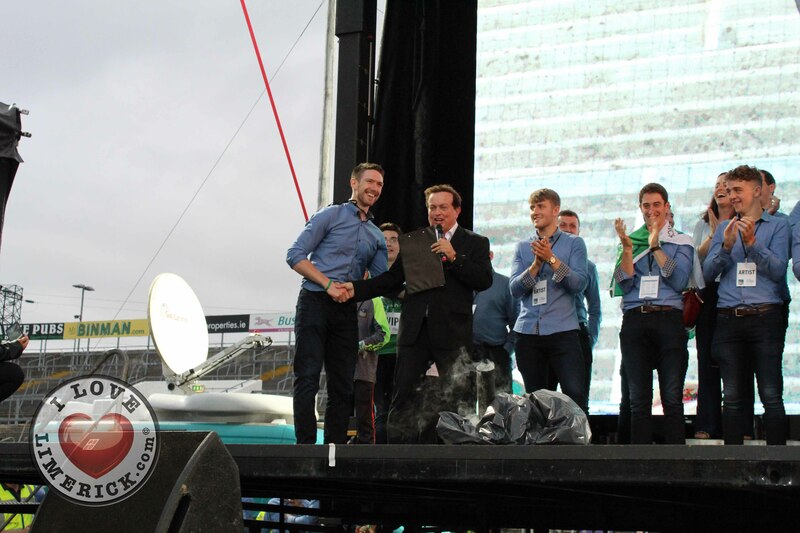 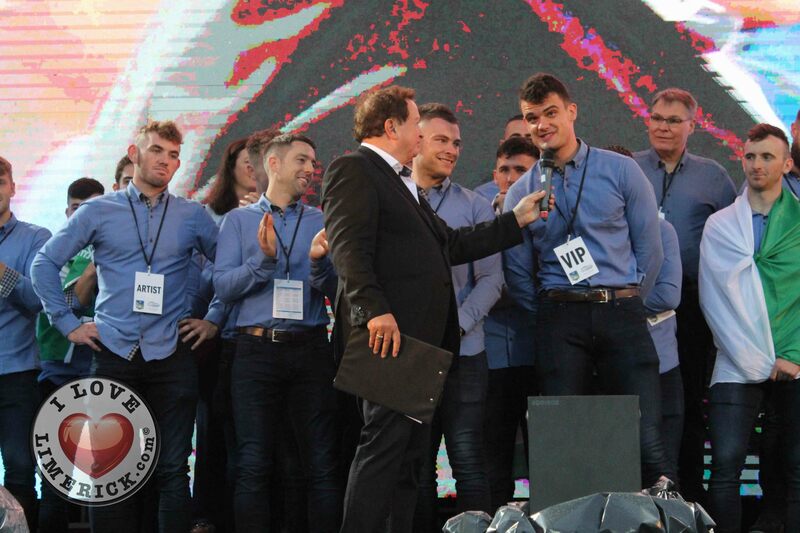 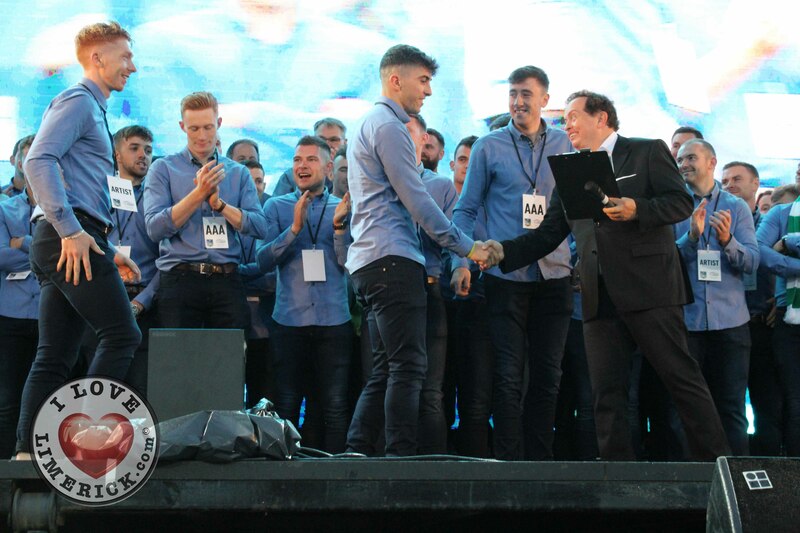 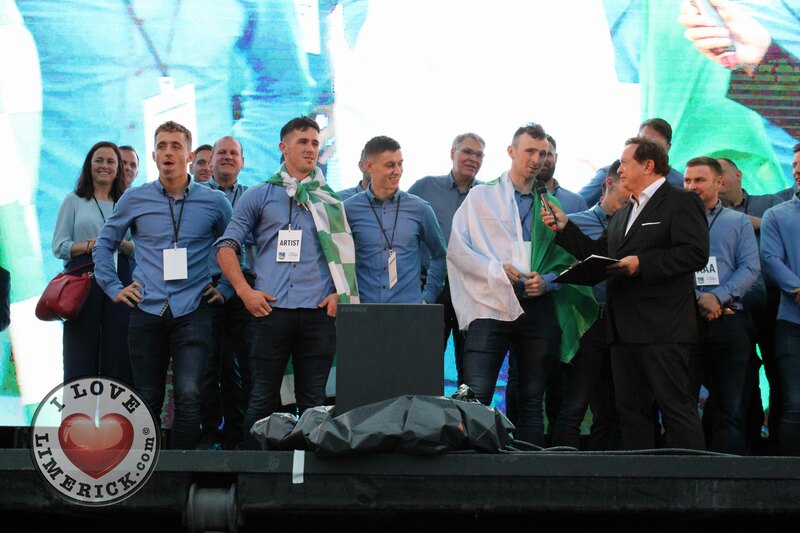 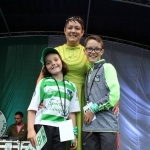 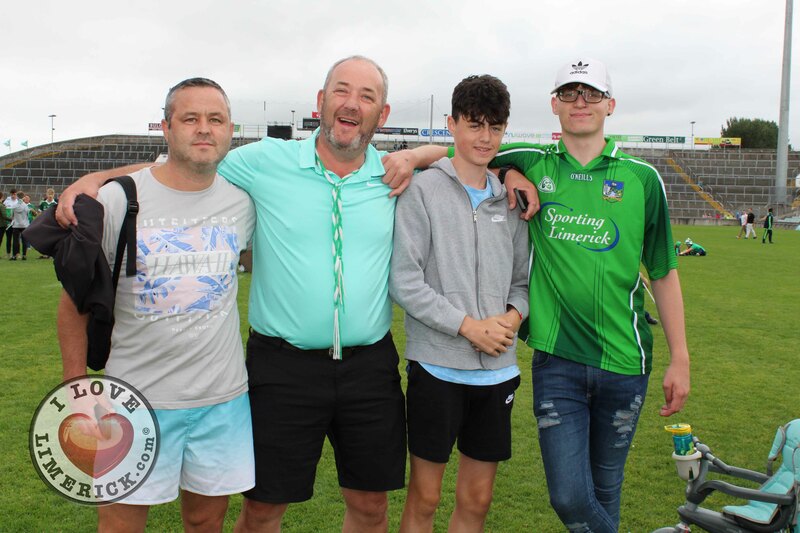 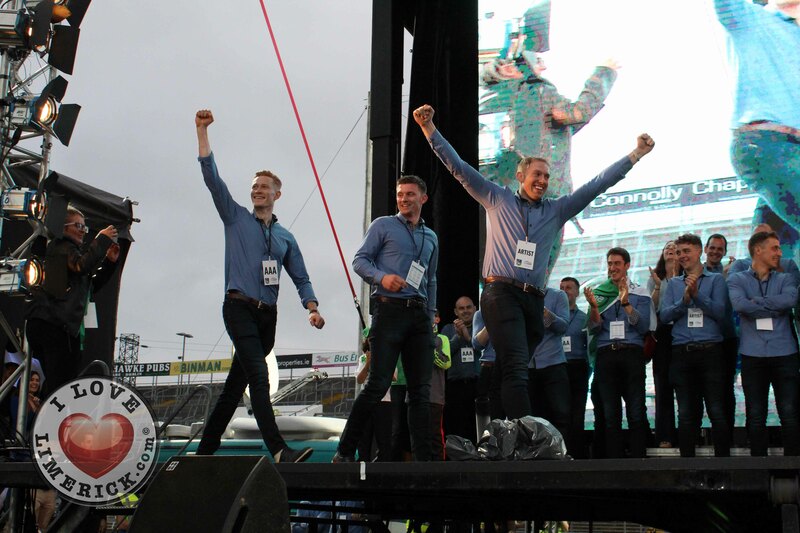 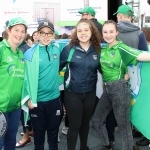 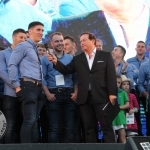 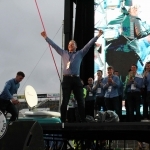 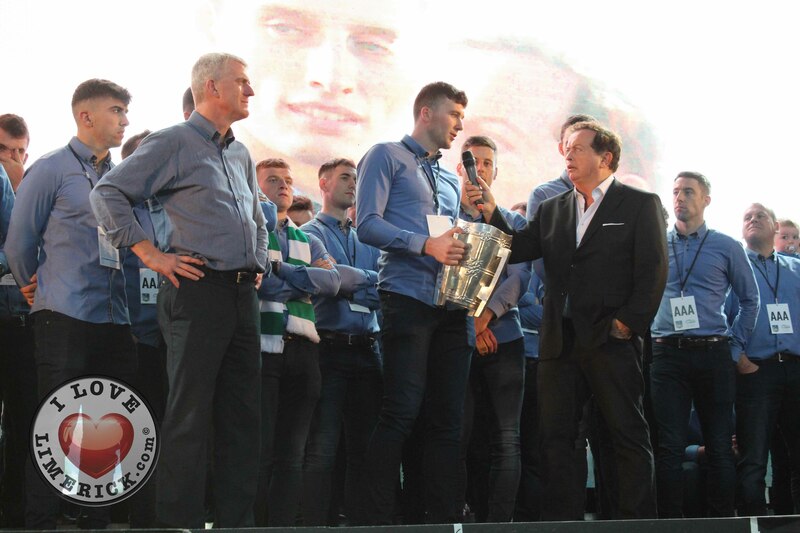 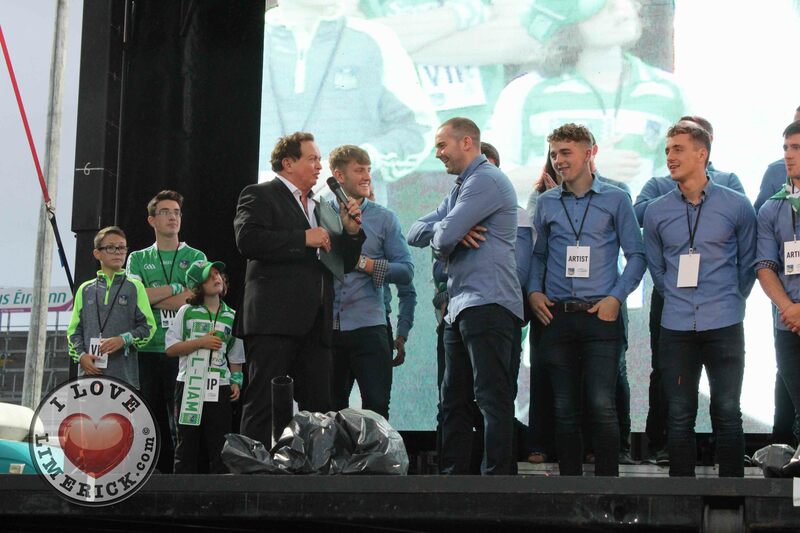 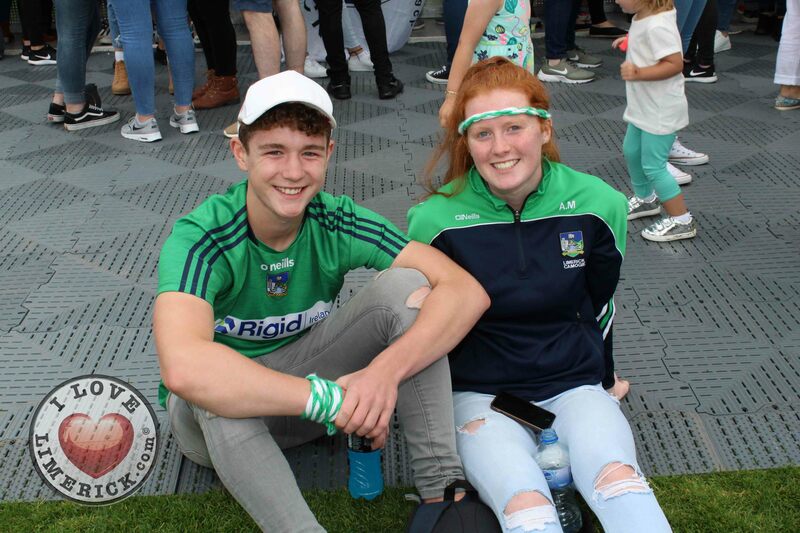 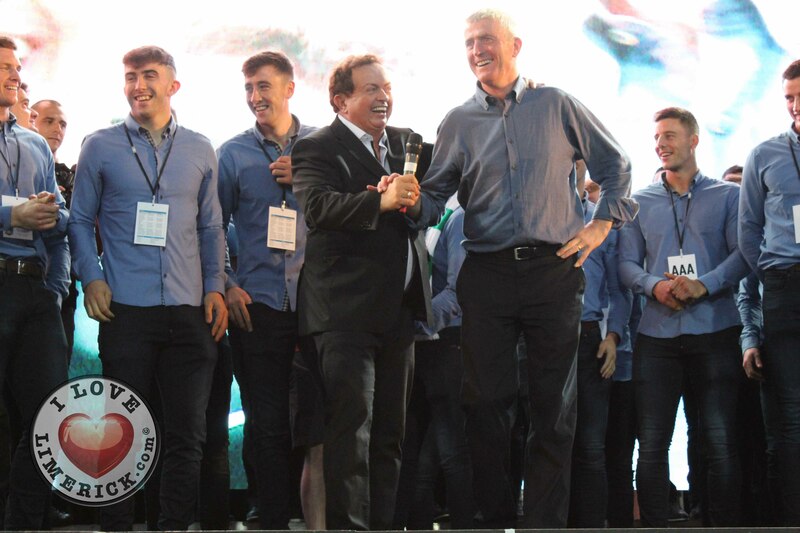 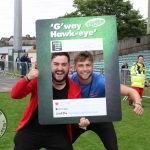 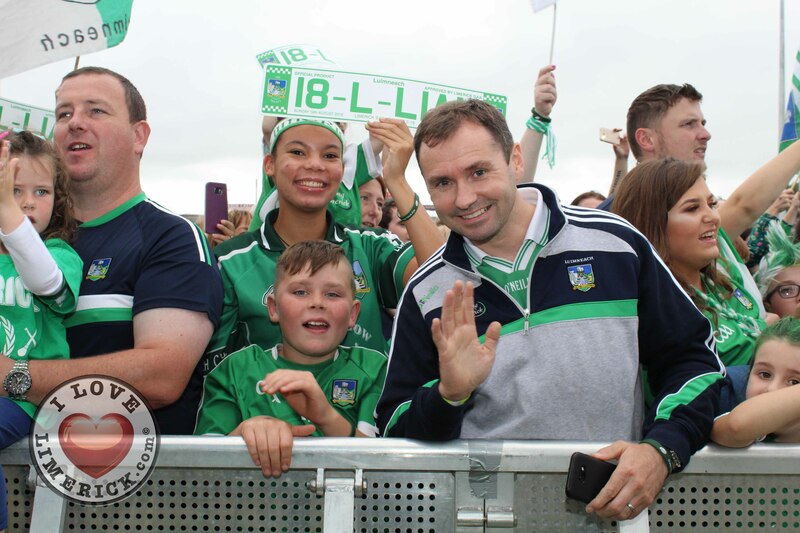 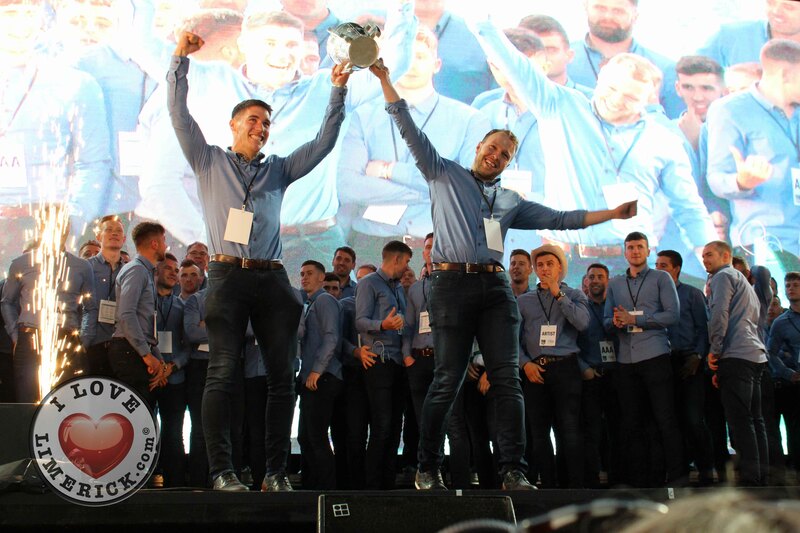 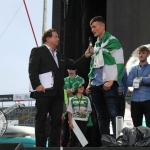 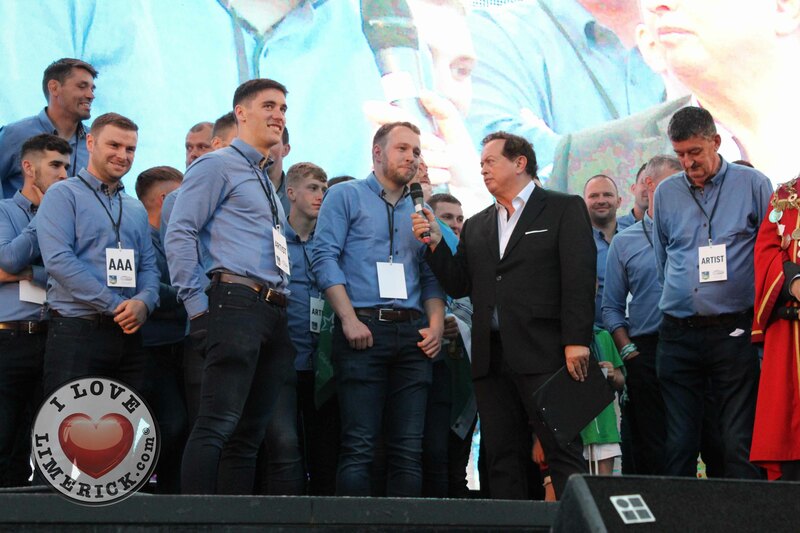 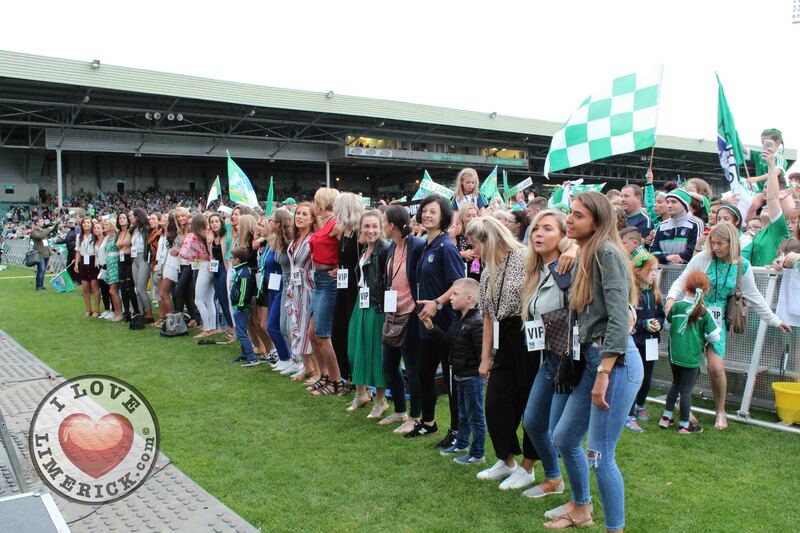 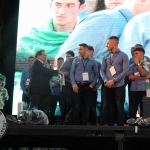 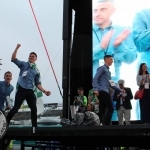 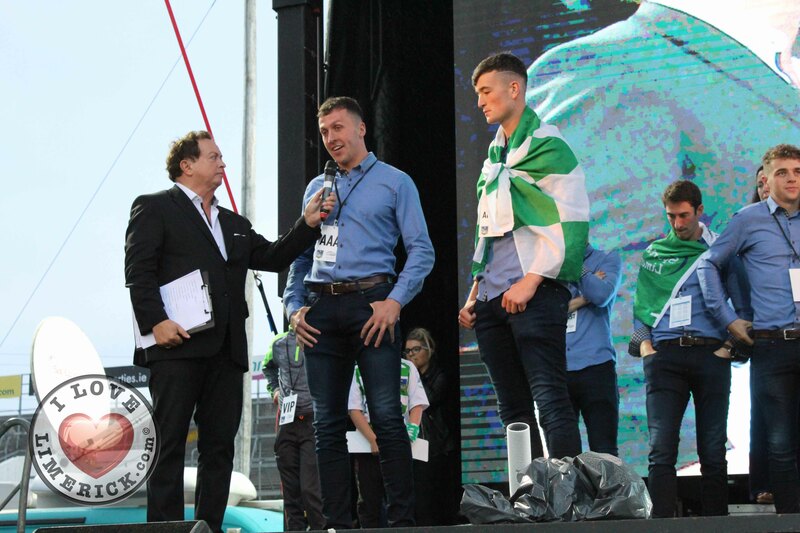 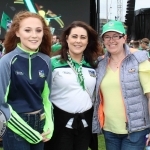 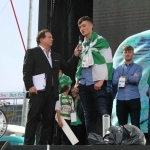 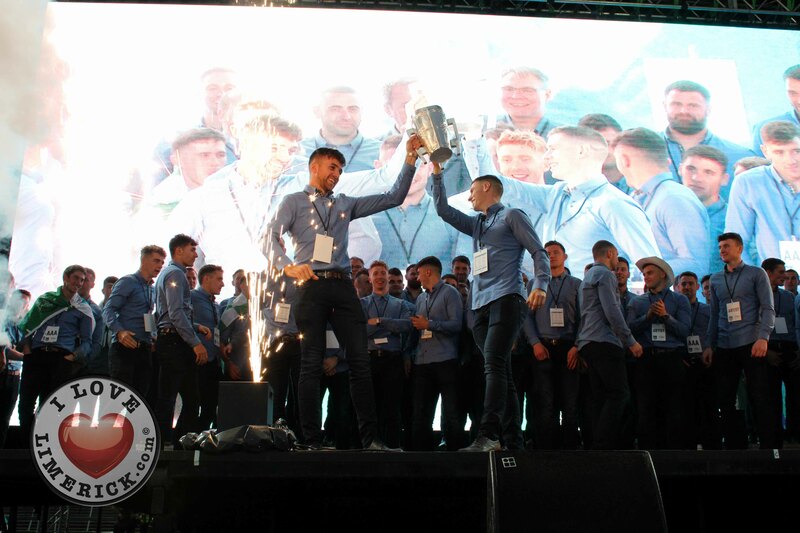 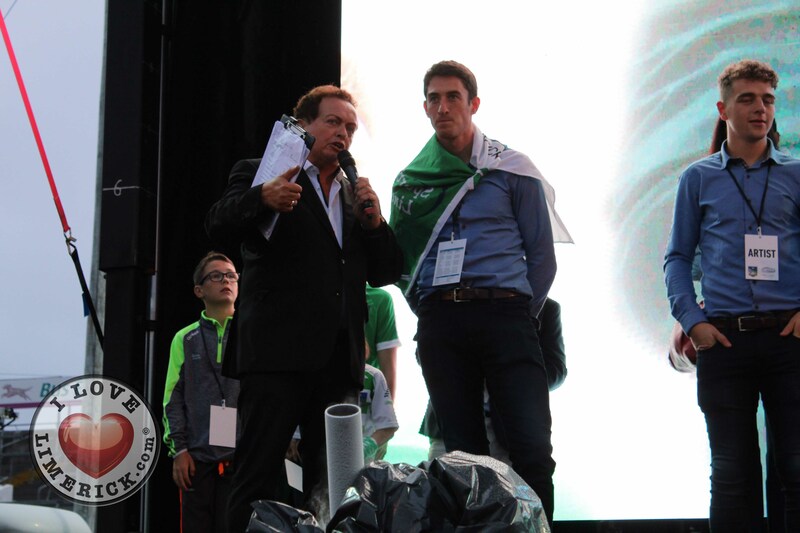 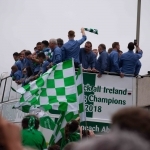 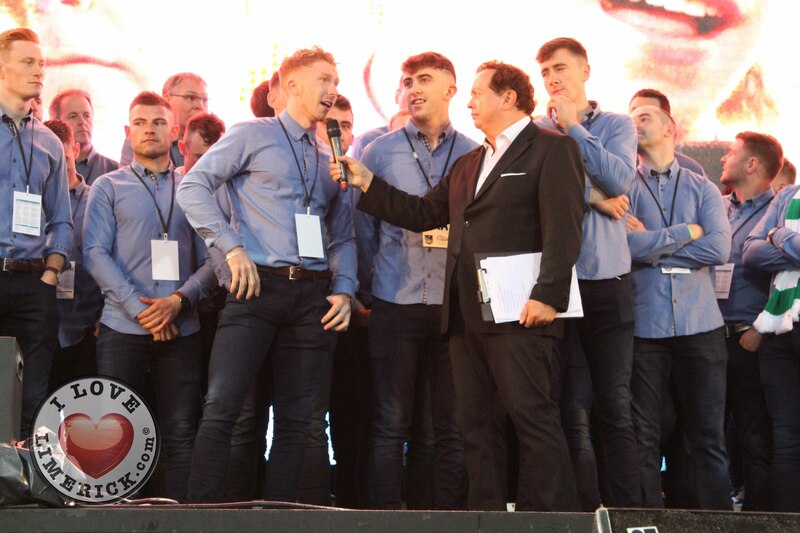 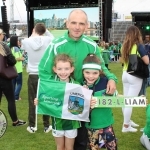 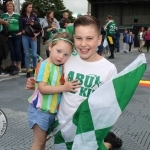 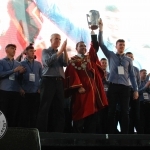 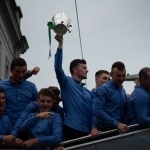 Mayor of Limerick City and County, Cllr James Collins was present for the entirety of the homecoming, being the first to welcome the champions home as soon as they stepped foot off the train right up to being onstage with them in front of a crowd of 45,000 at the Gaelic Grounds. 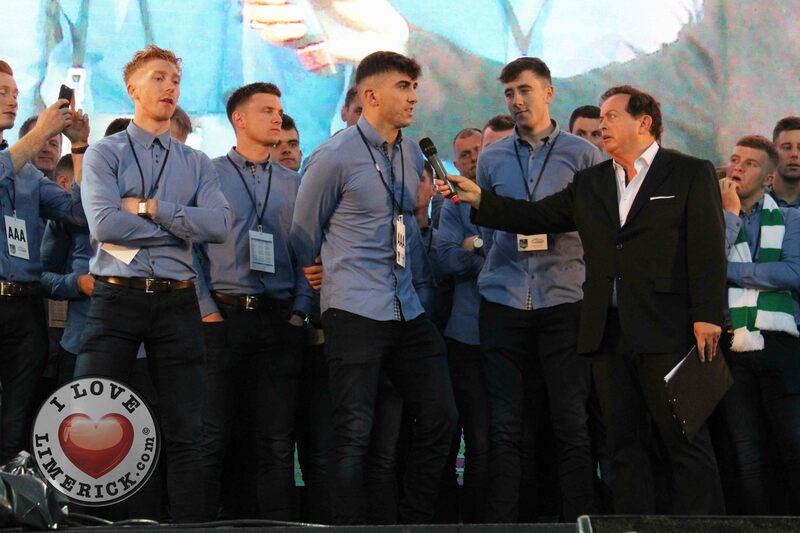 “We’re very proud of this team, very proud of how they represent us. 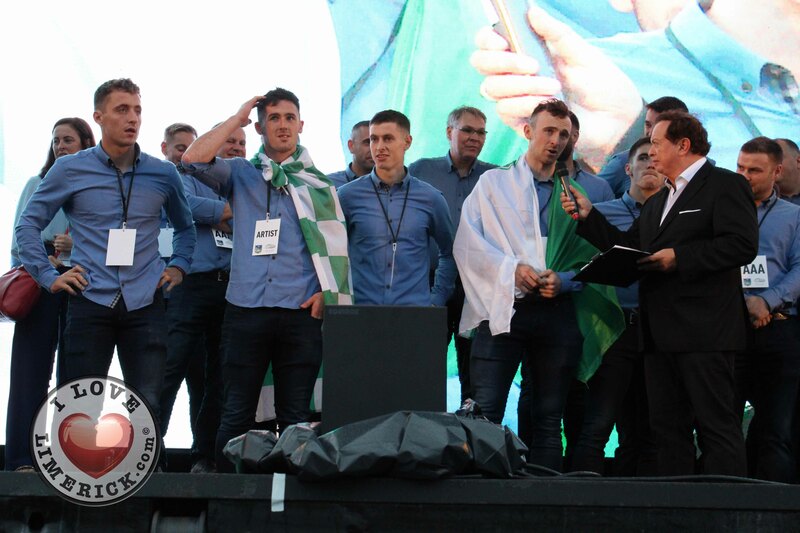 They are our new sporting heroes. 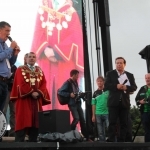 Limerick has a can-do attitude, John Kiely has a can-do attitude and that is why Liam McCarthy is here with us today,” he said onstage, wearing the traditional red robe and chain of office. 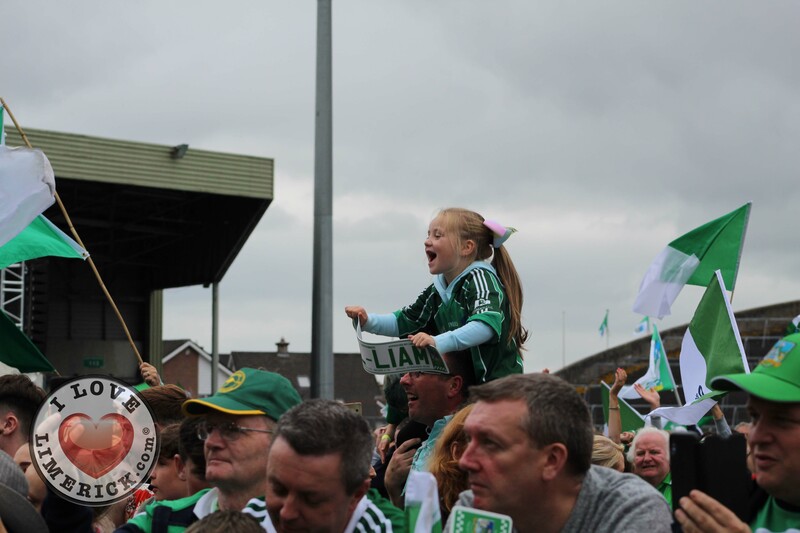 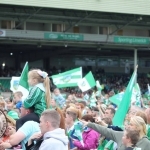 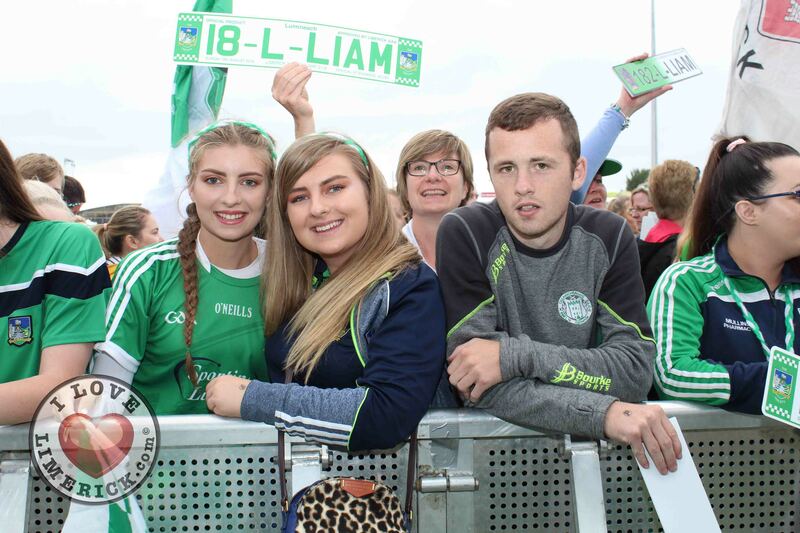 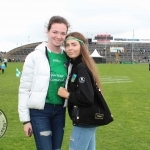 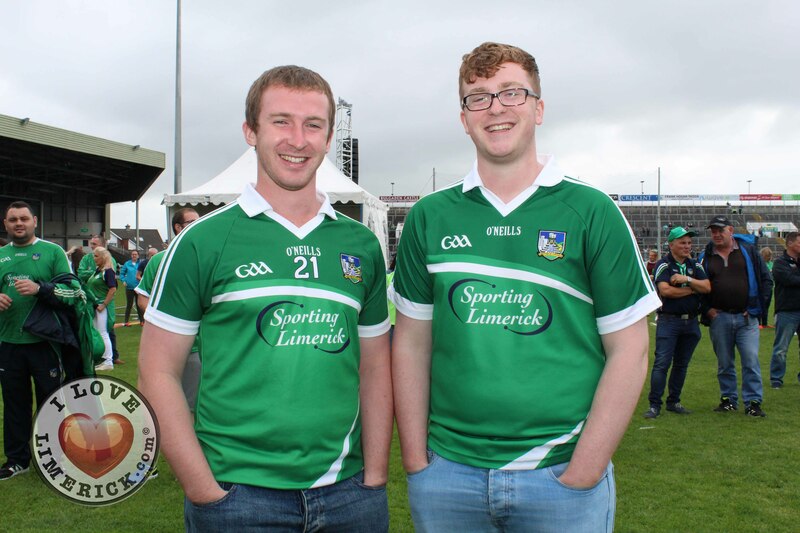 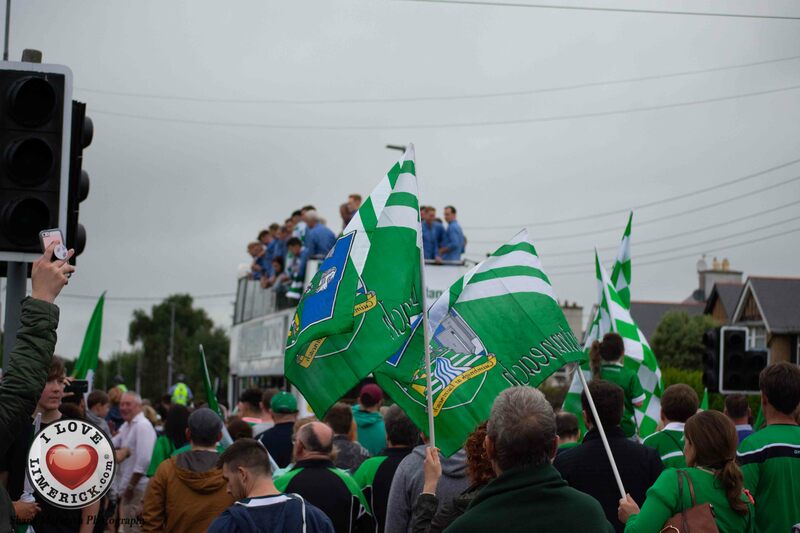 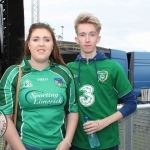 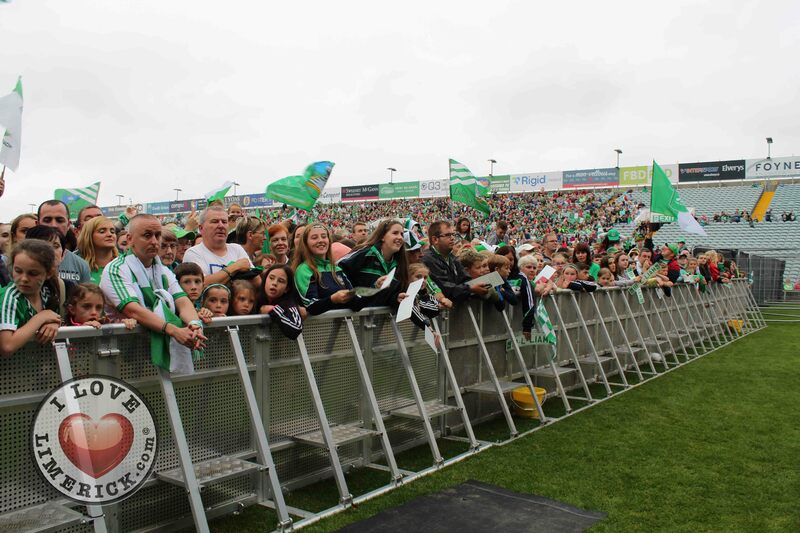 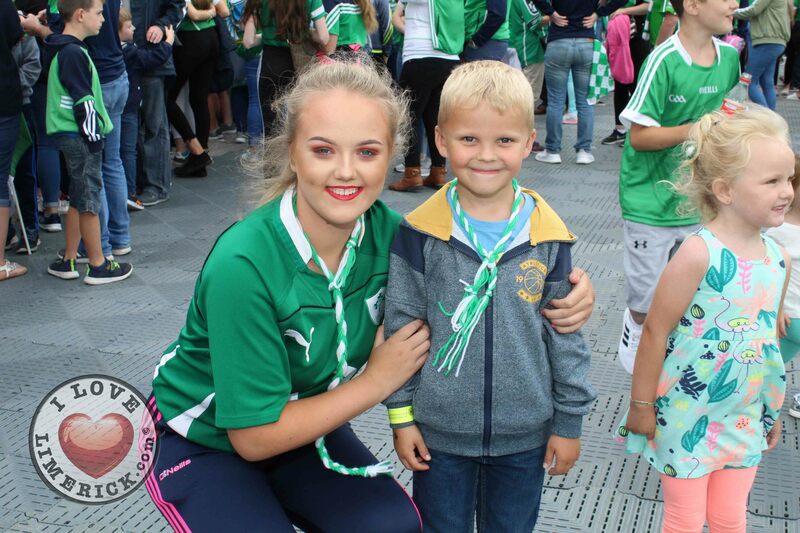 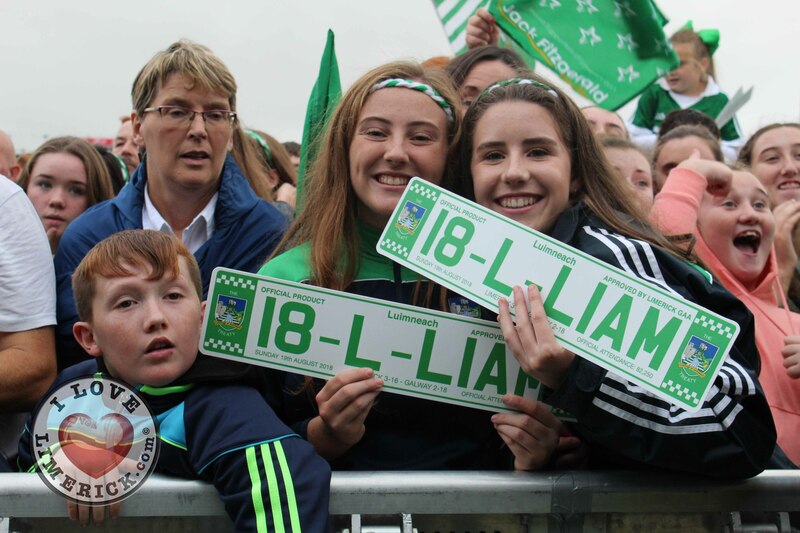 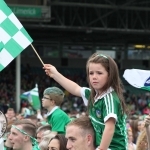 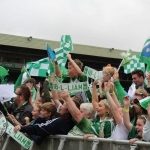 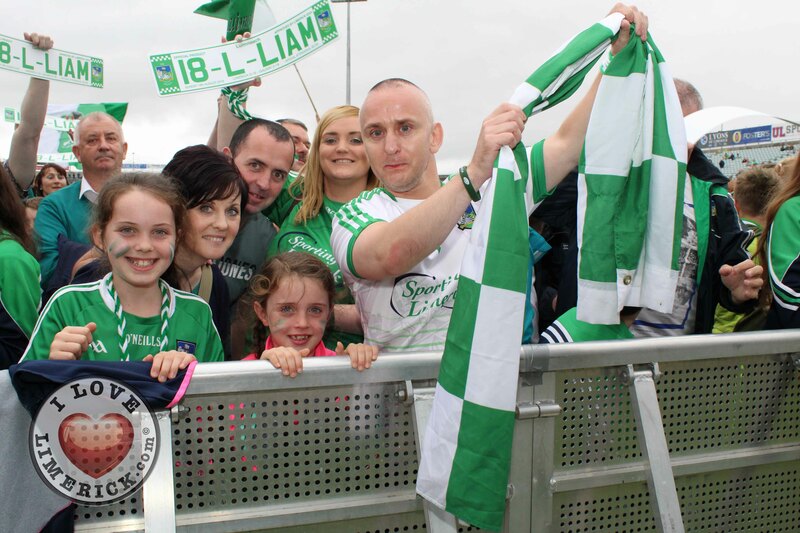 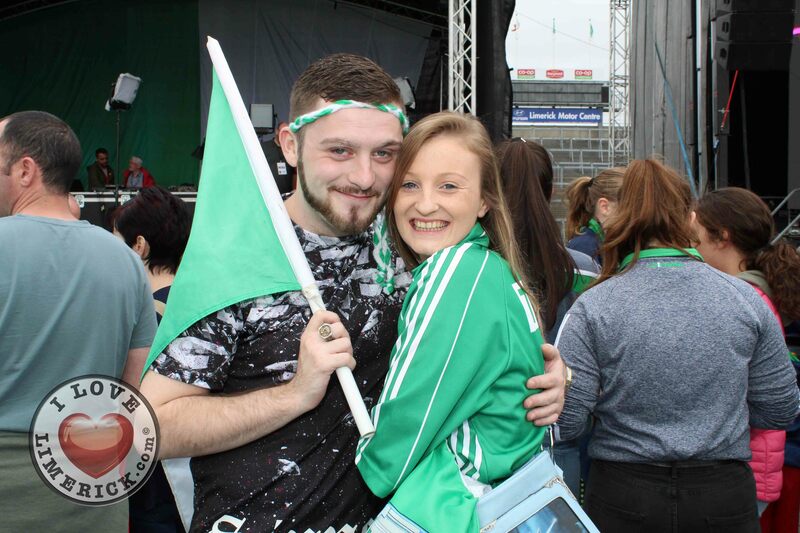 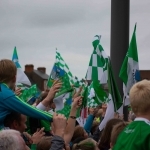 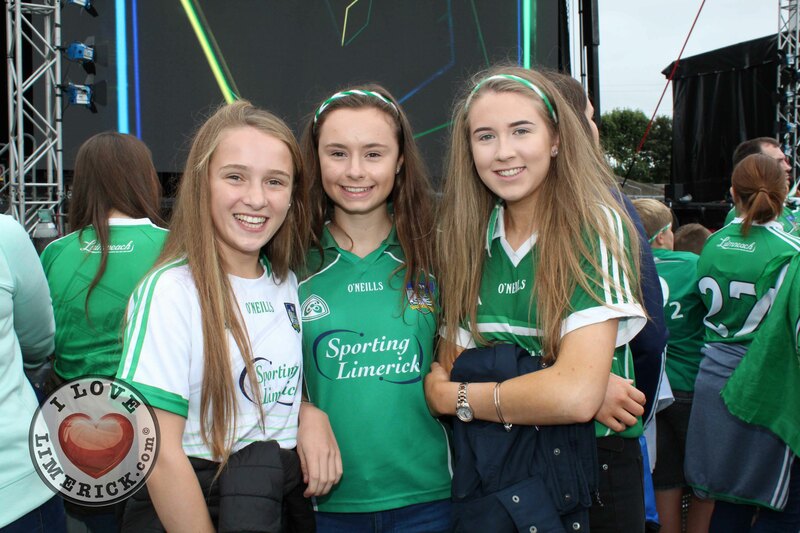 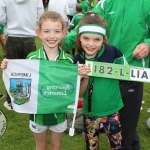 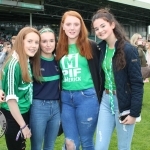 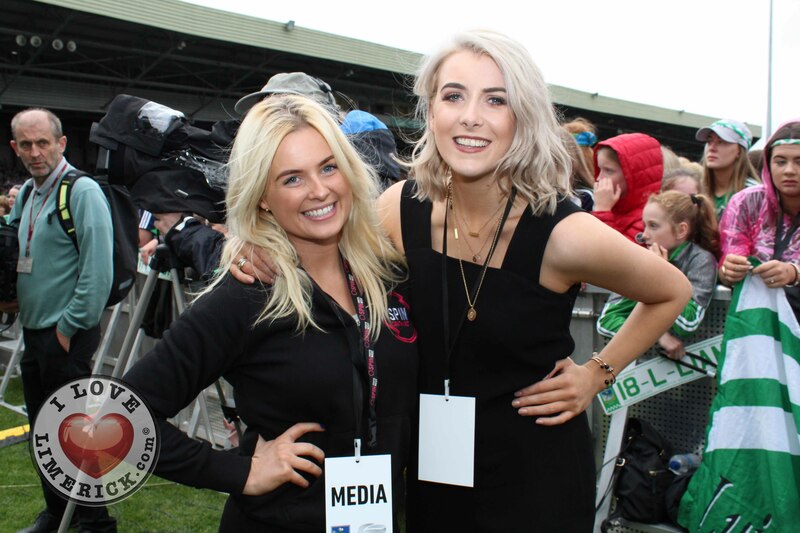 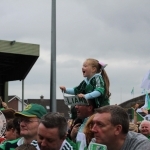 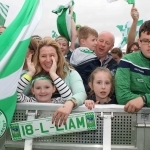 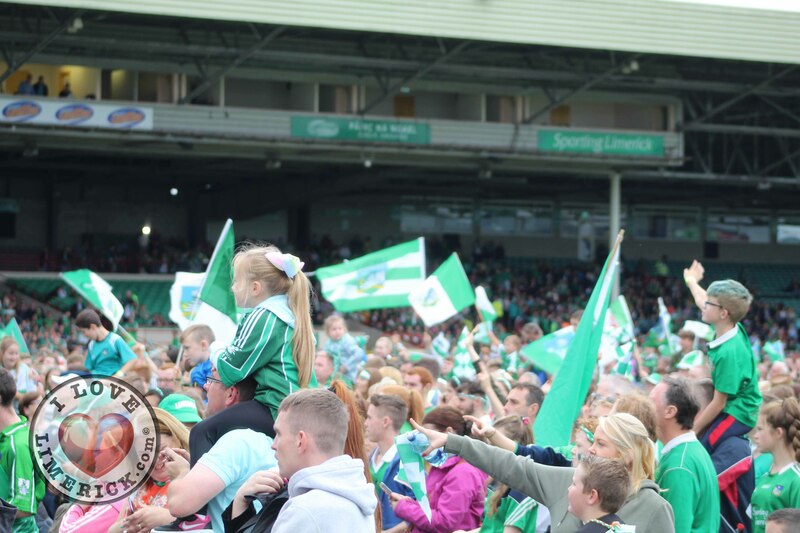 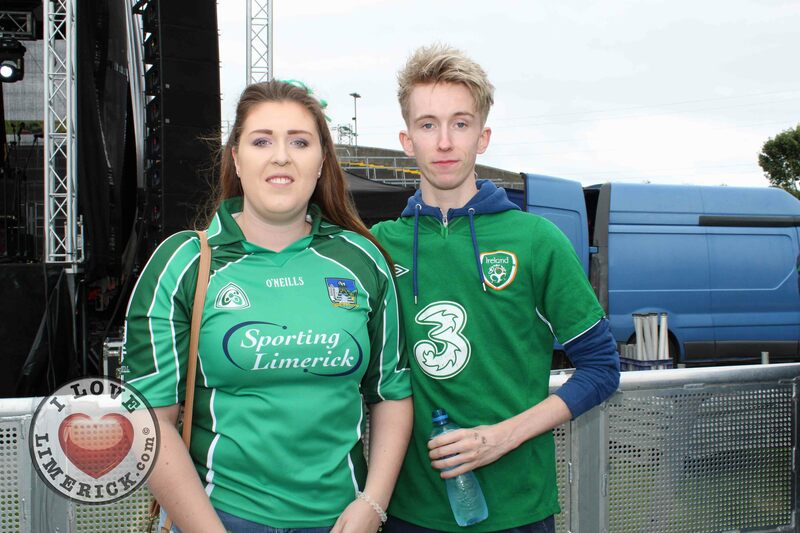 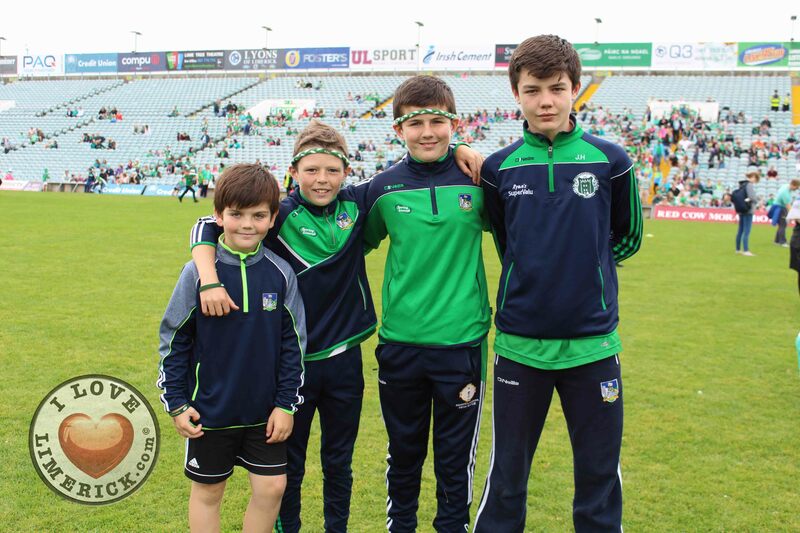 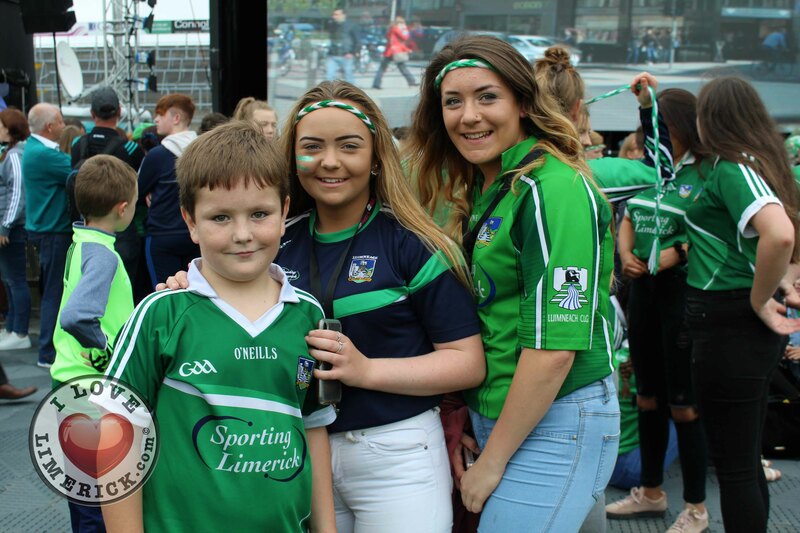 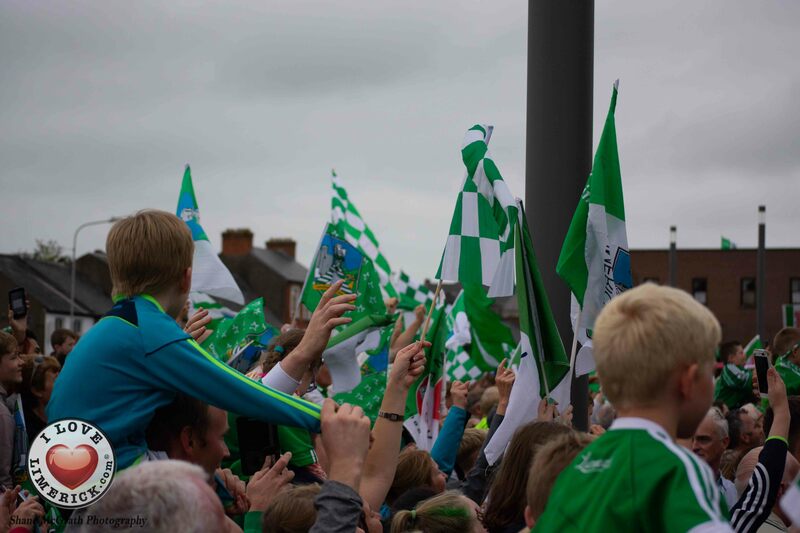 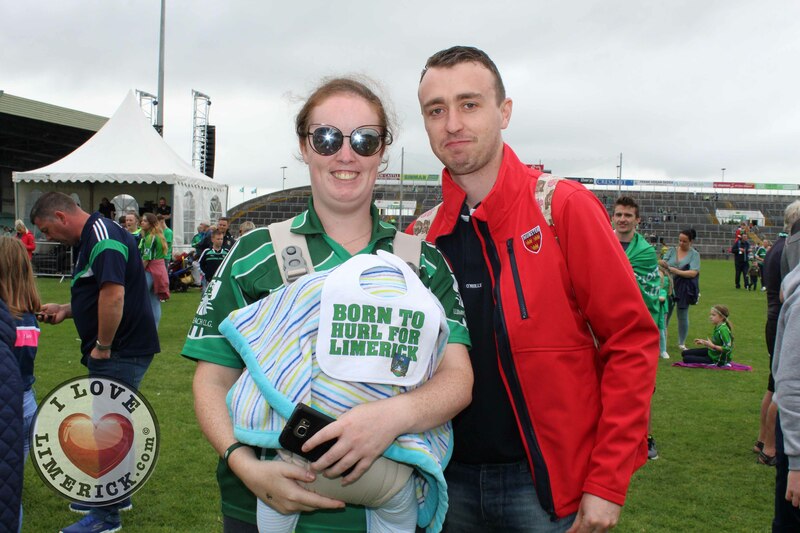 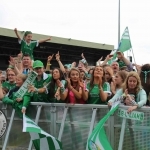 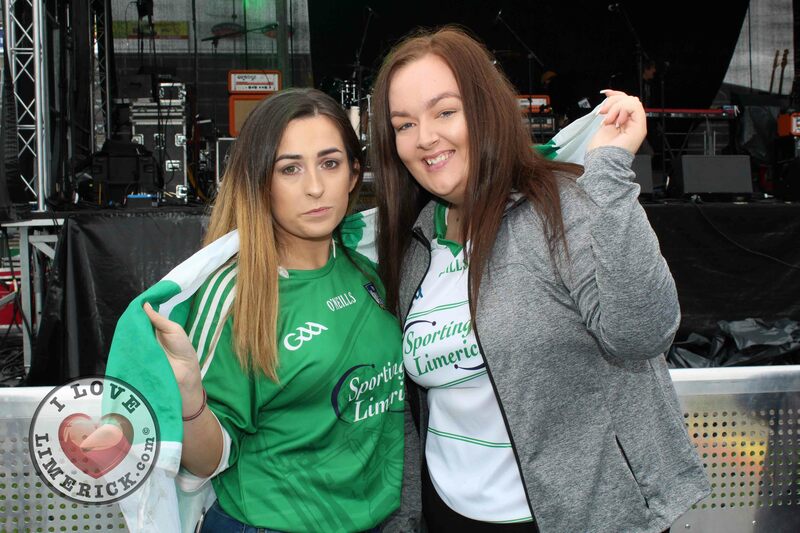 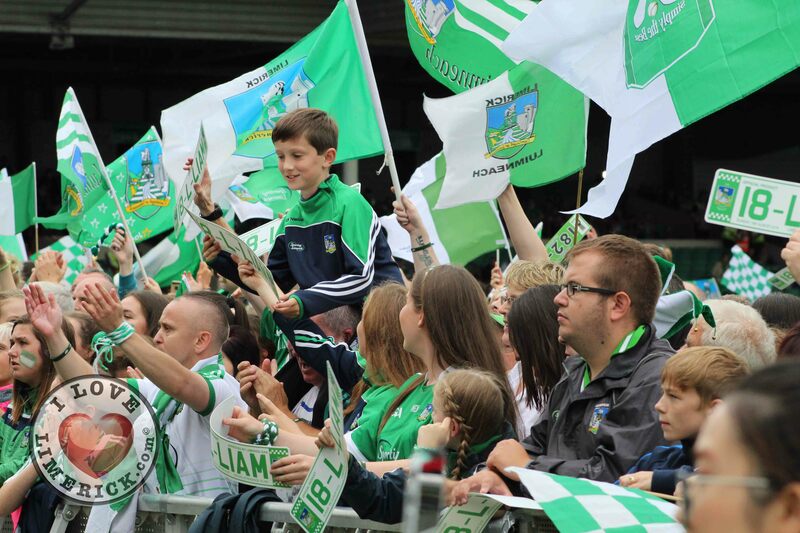 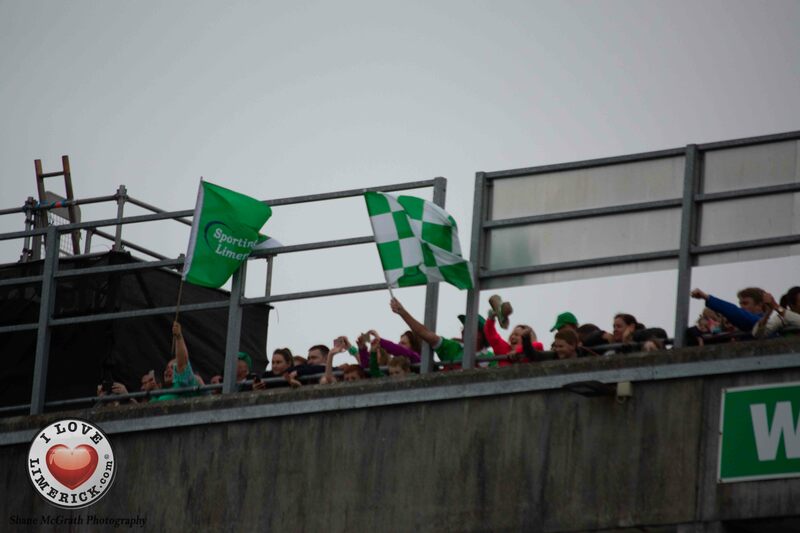 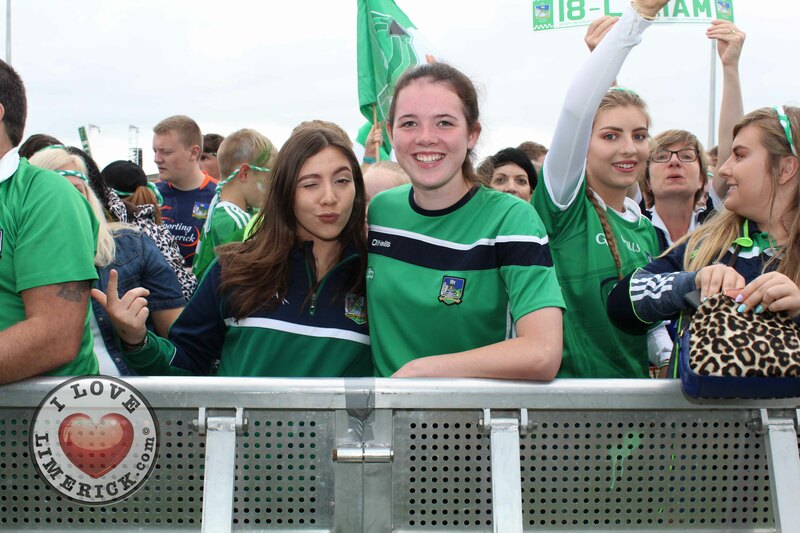 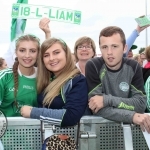 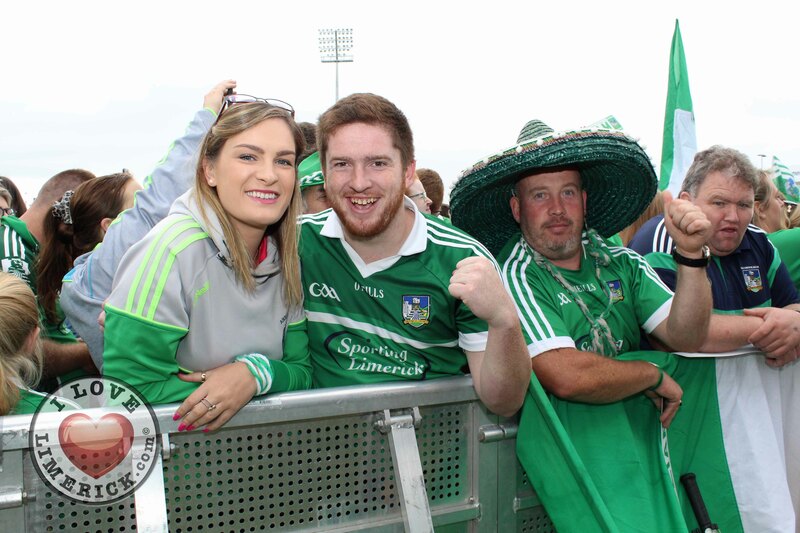 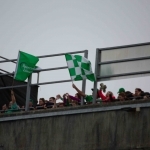 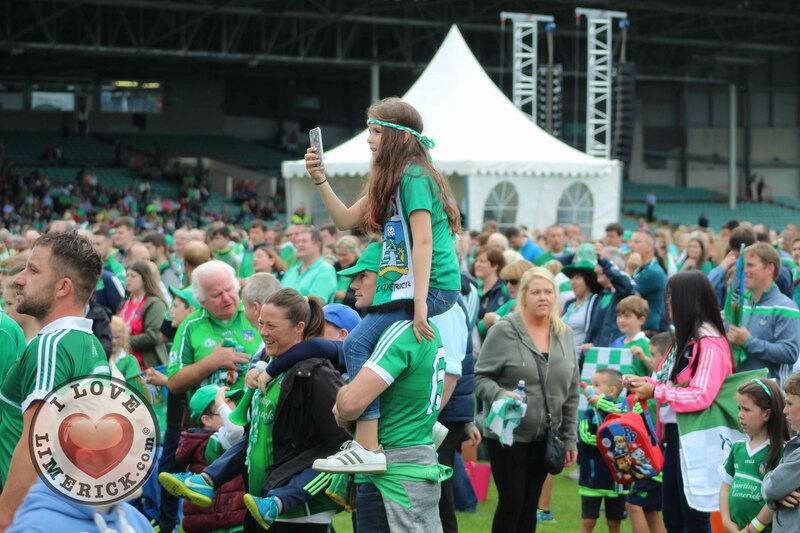 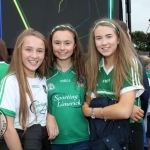 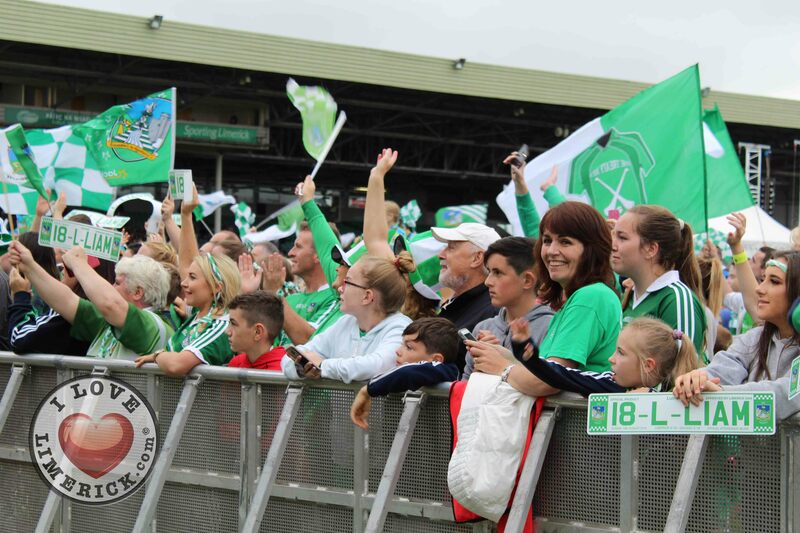 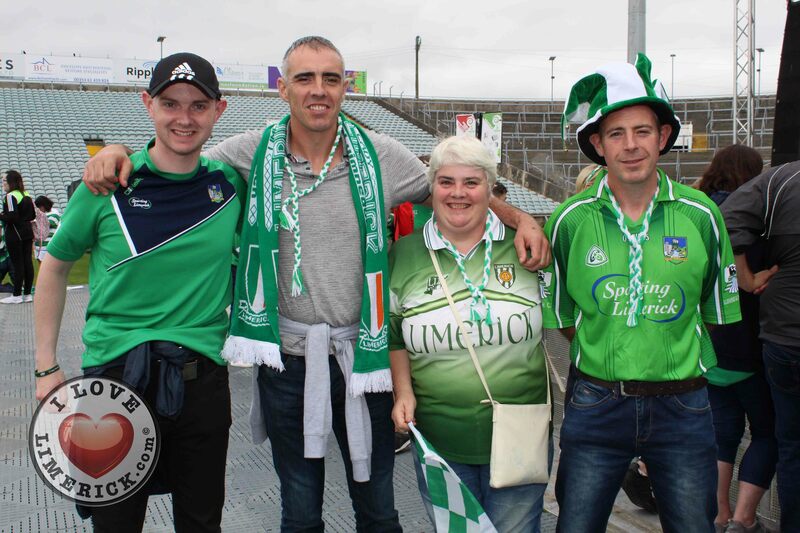 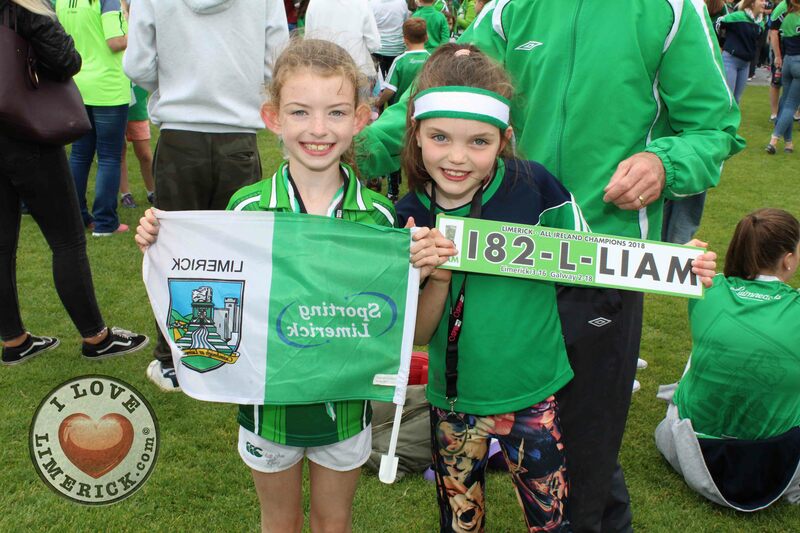 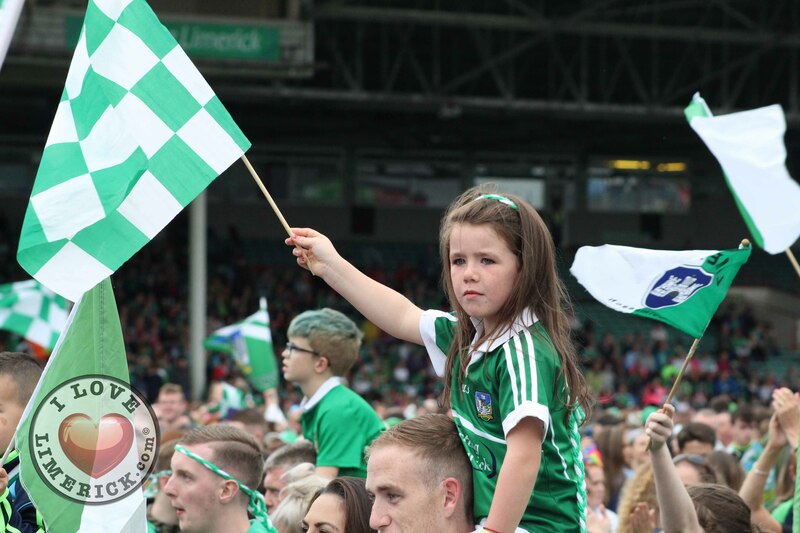 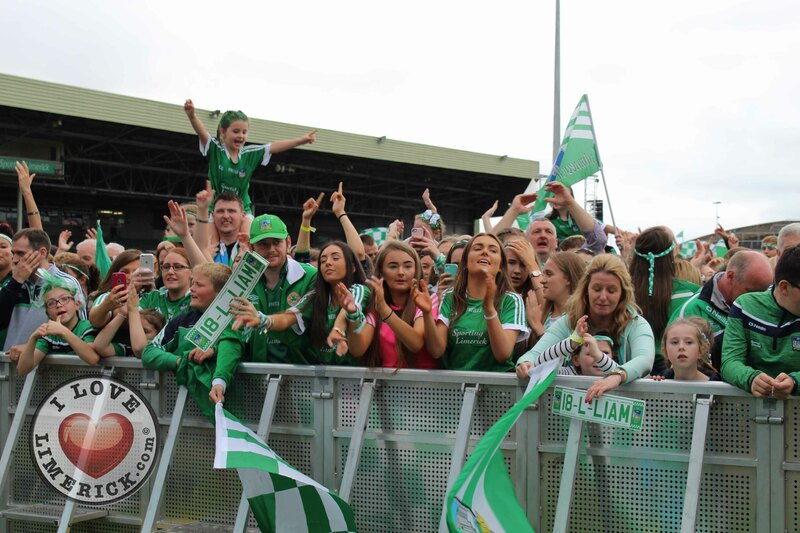 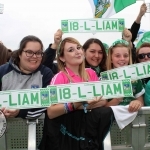 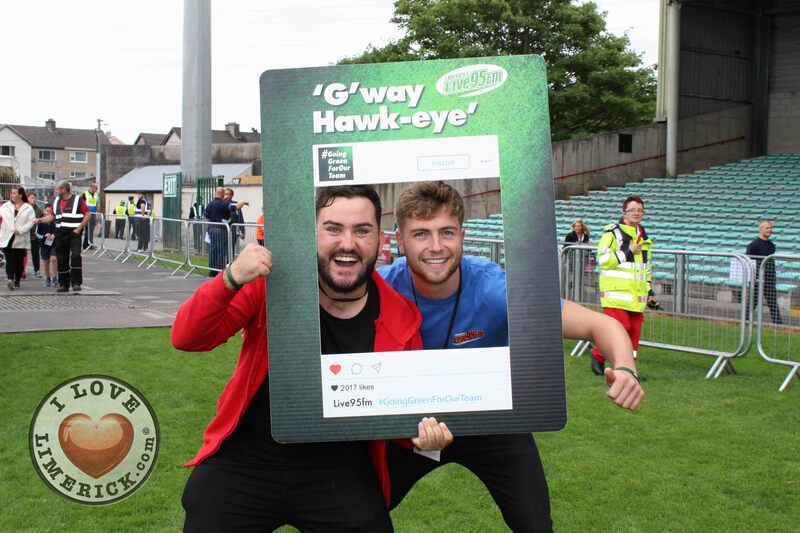 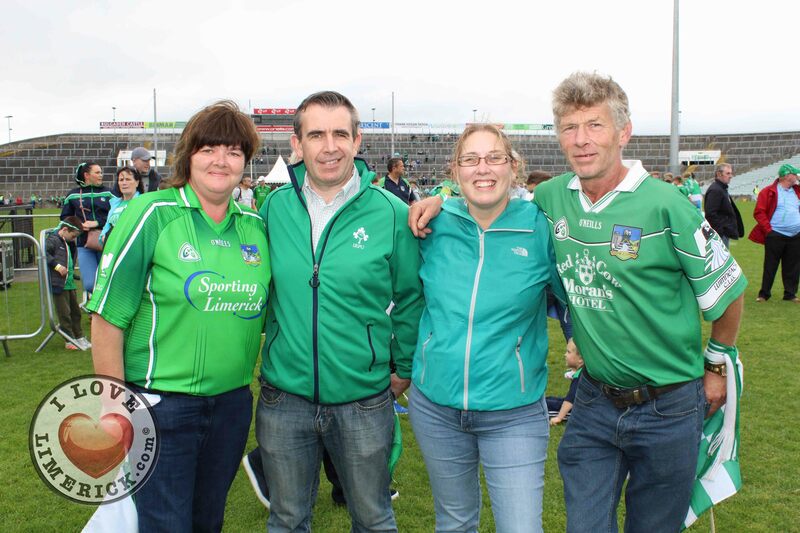 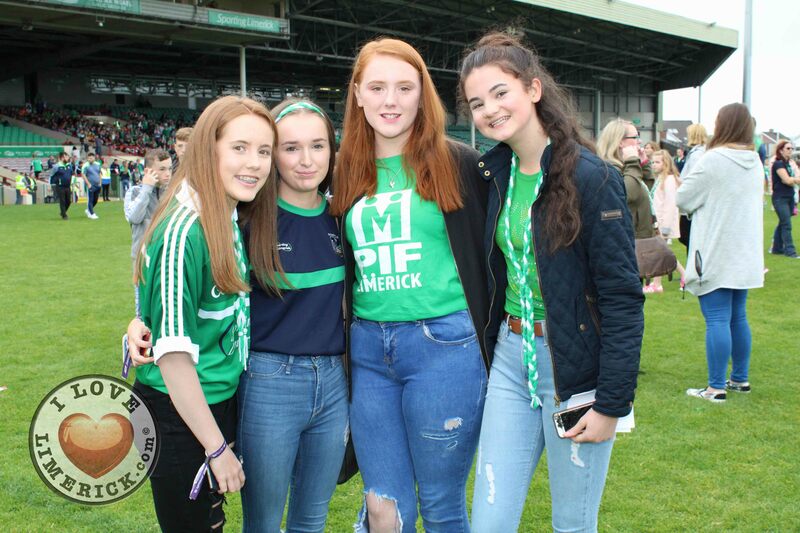 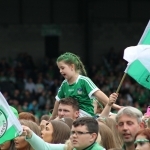 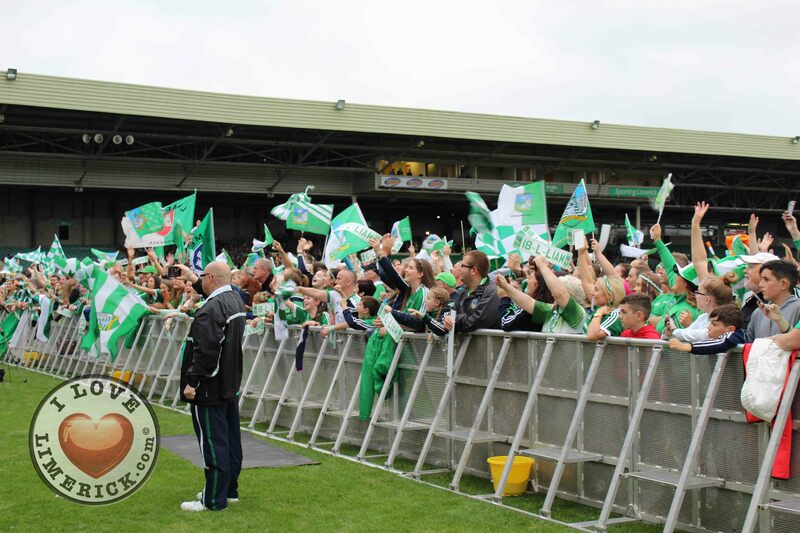 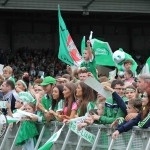 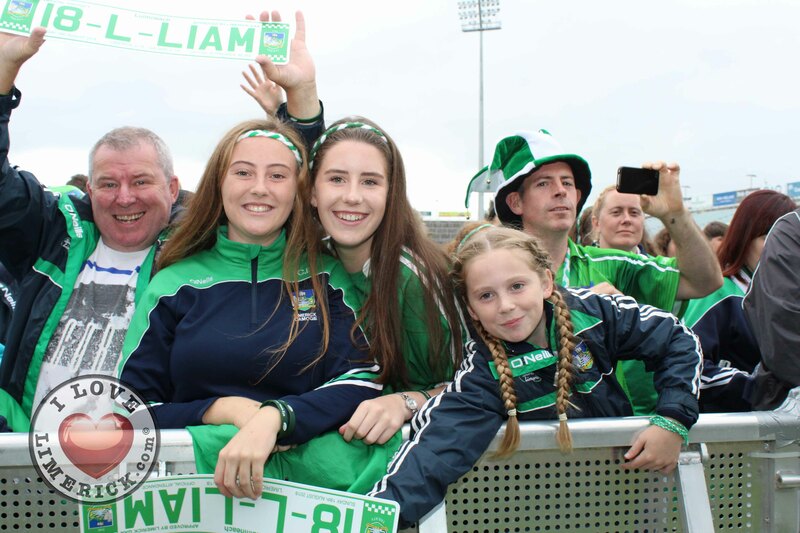 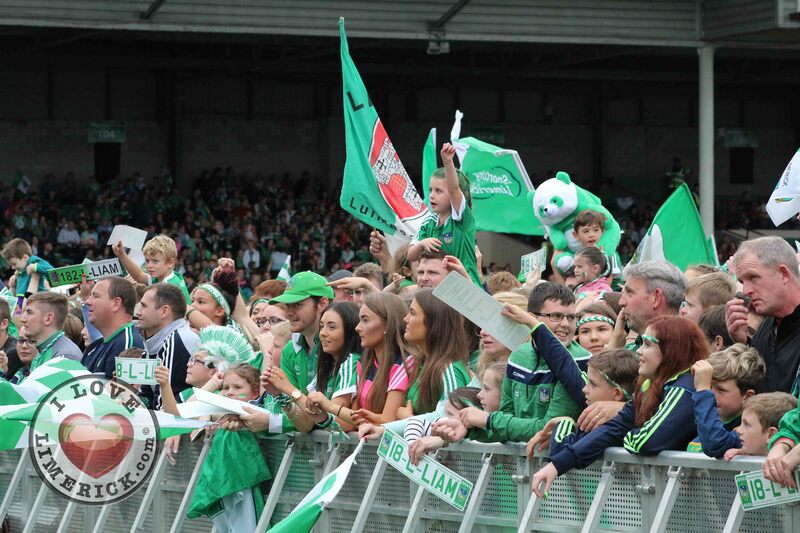 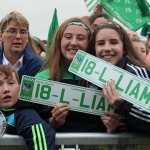 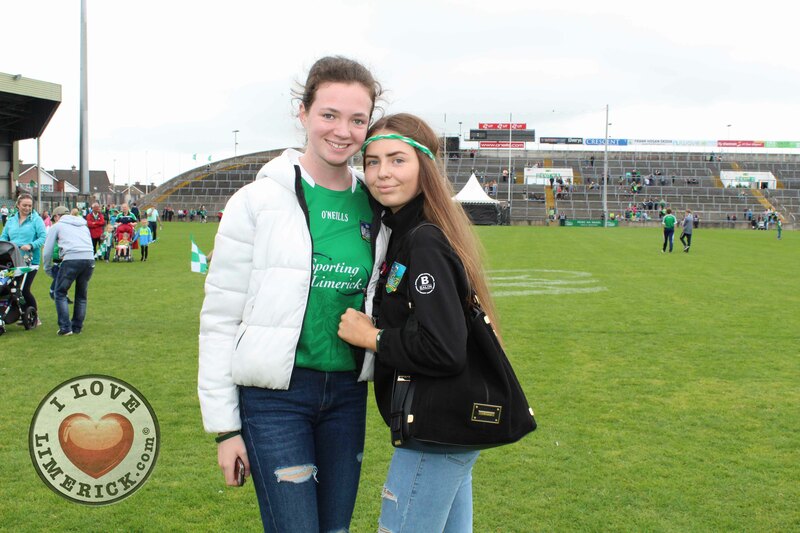 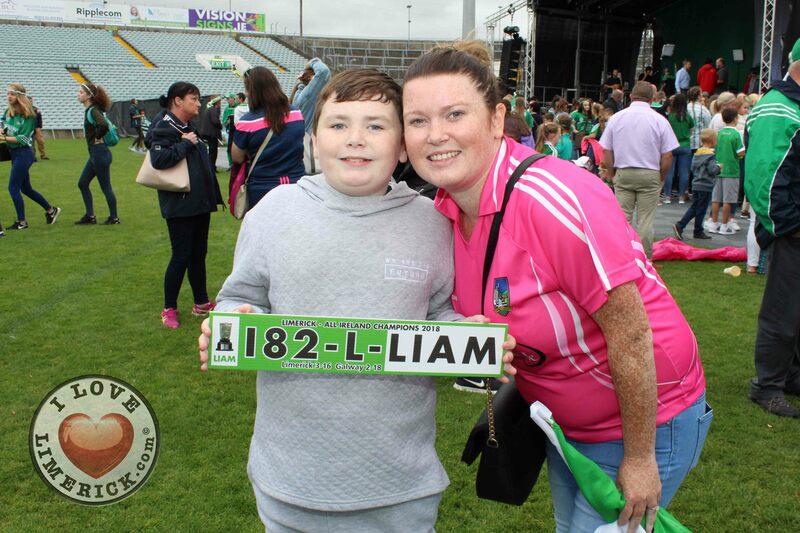 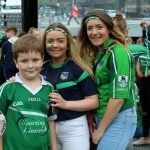 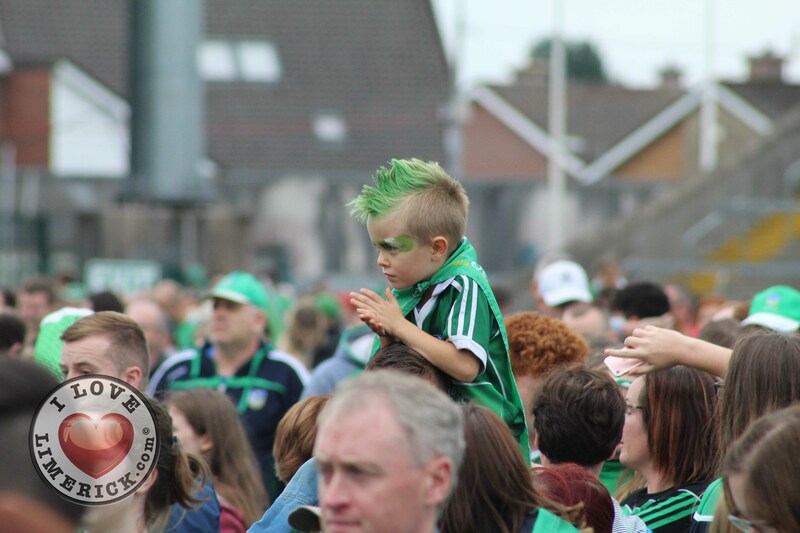 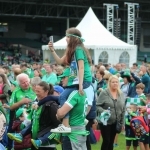 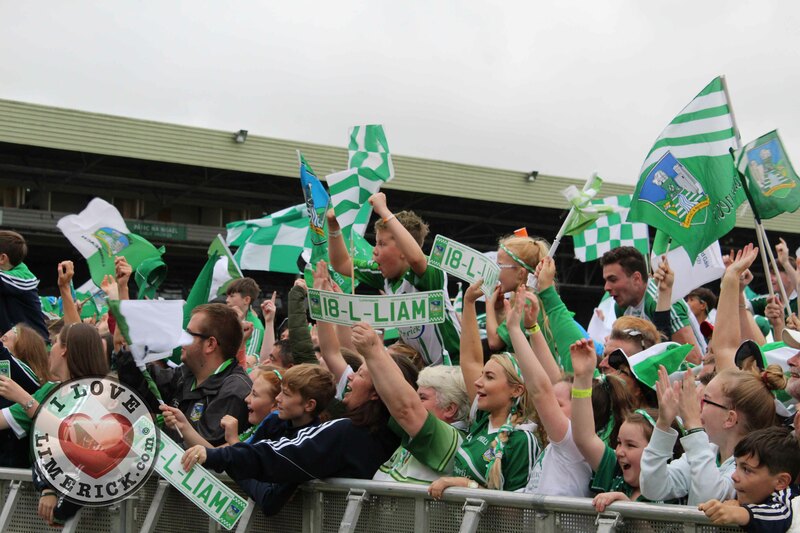 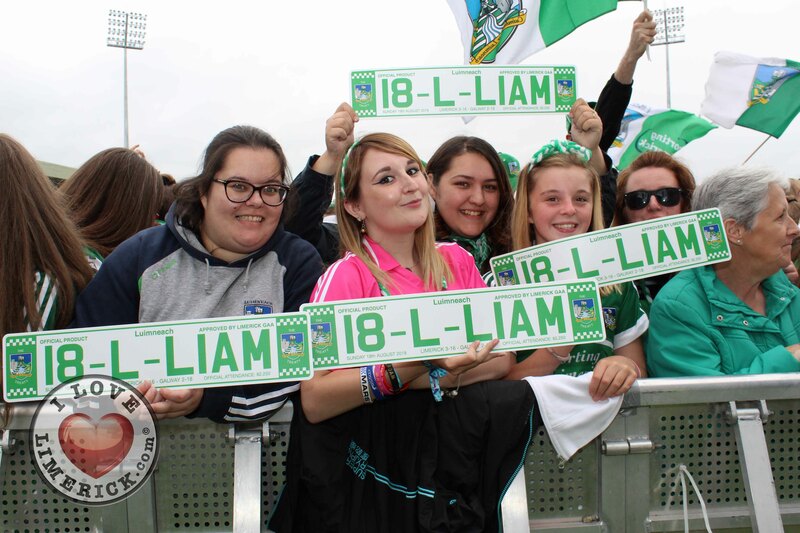 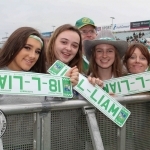 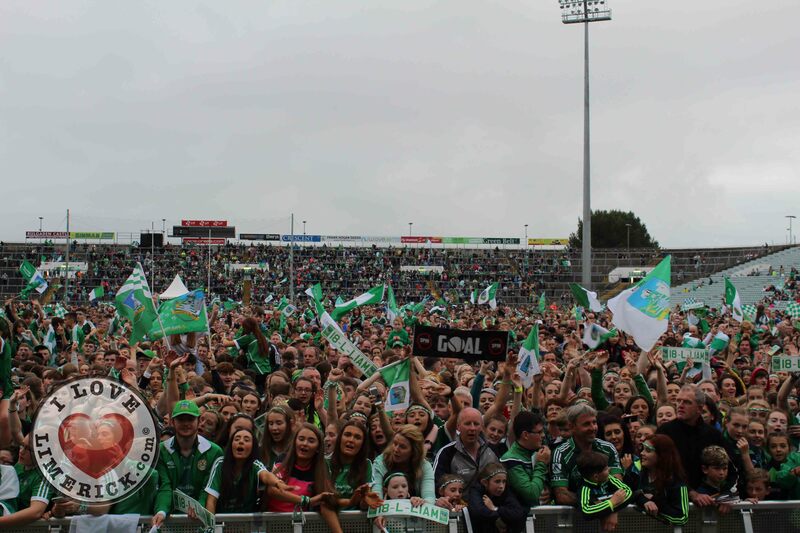 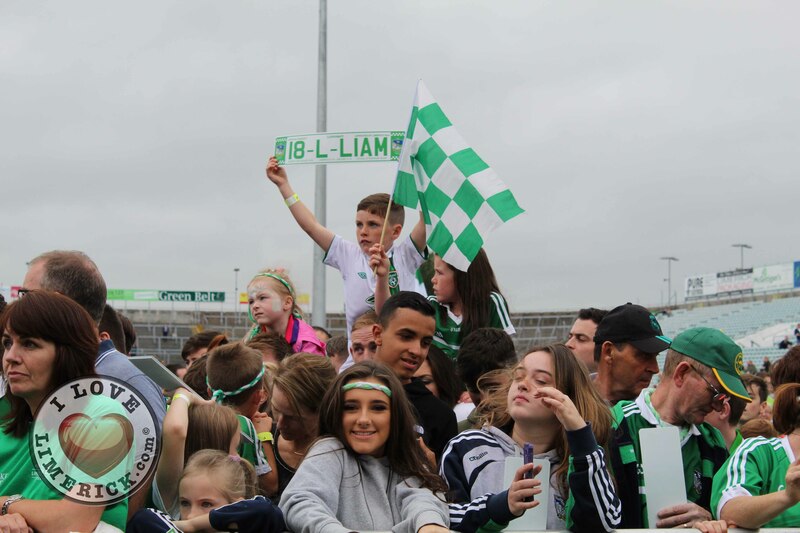 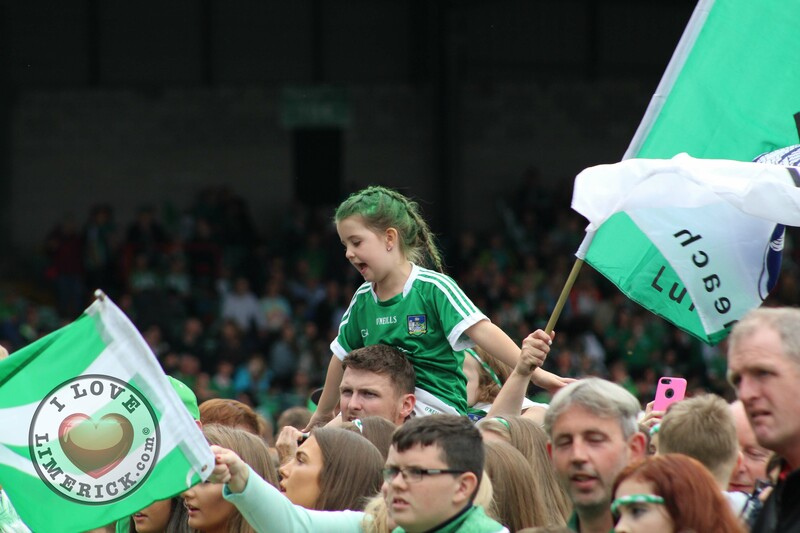 The homecoming was enjoyed by Limerick fans across the county with the Gaelic Grounds being the climax of the day. 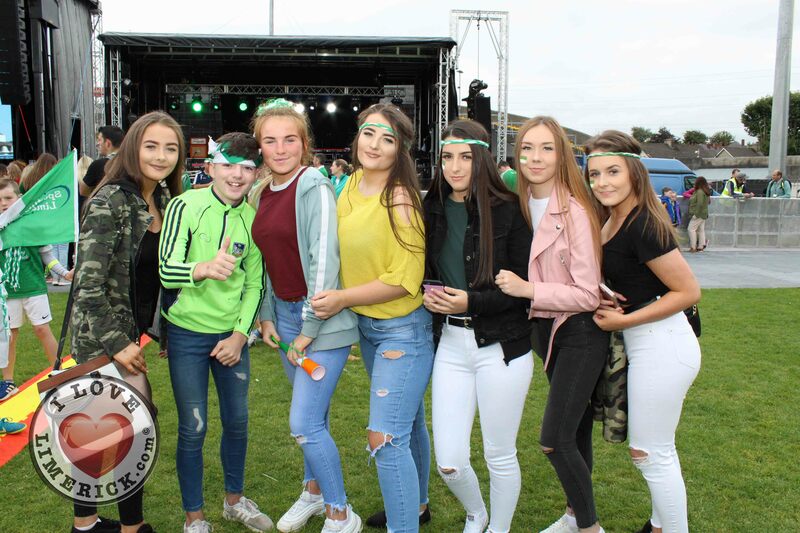 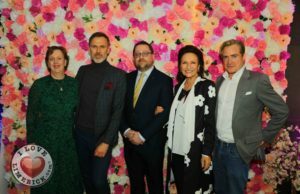 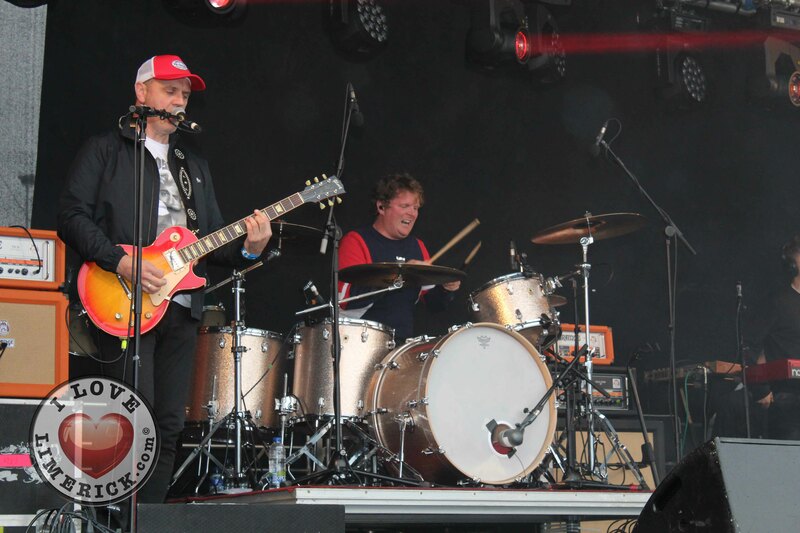 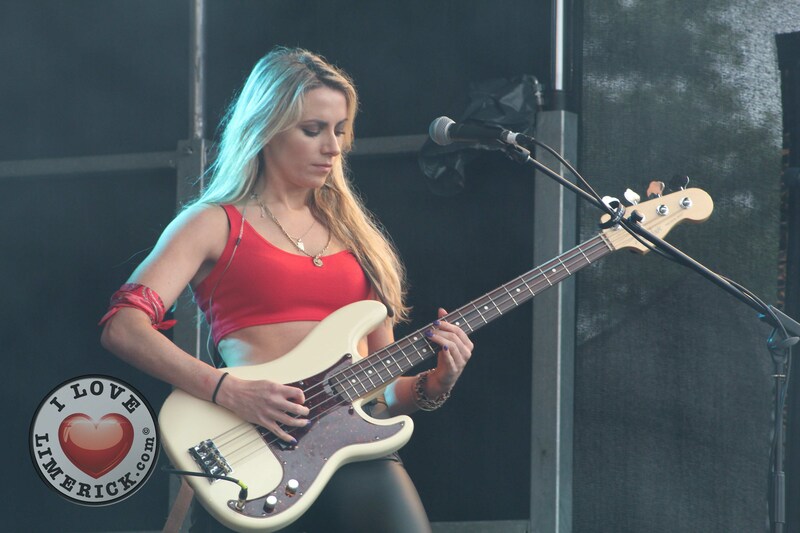 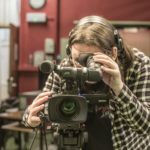 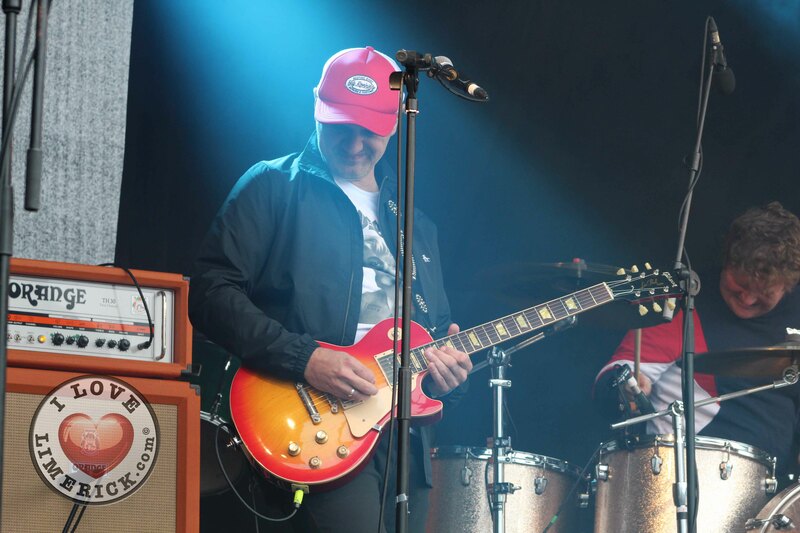 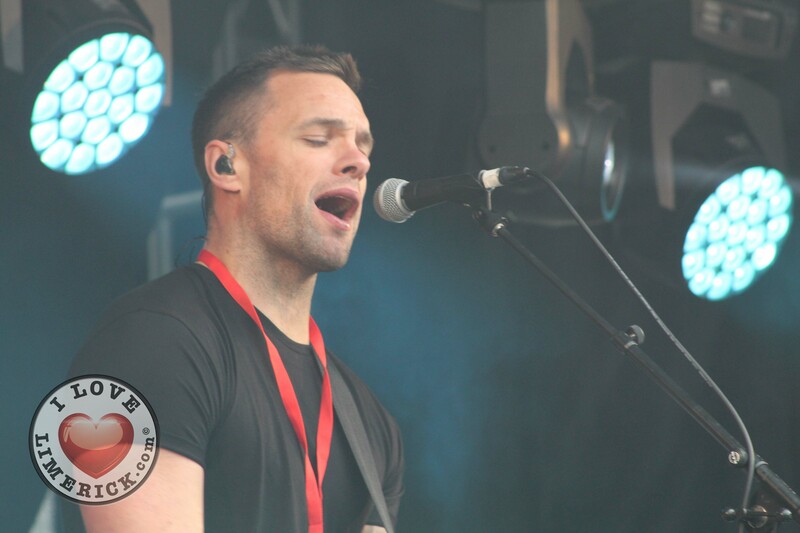 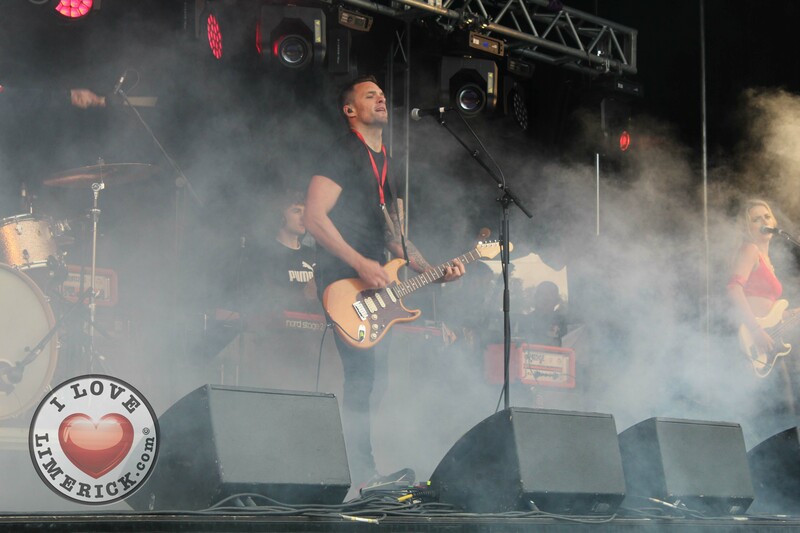 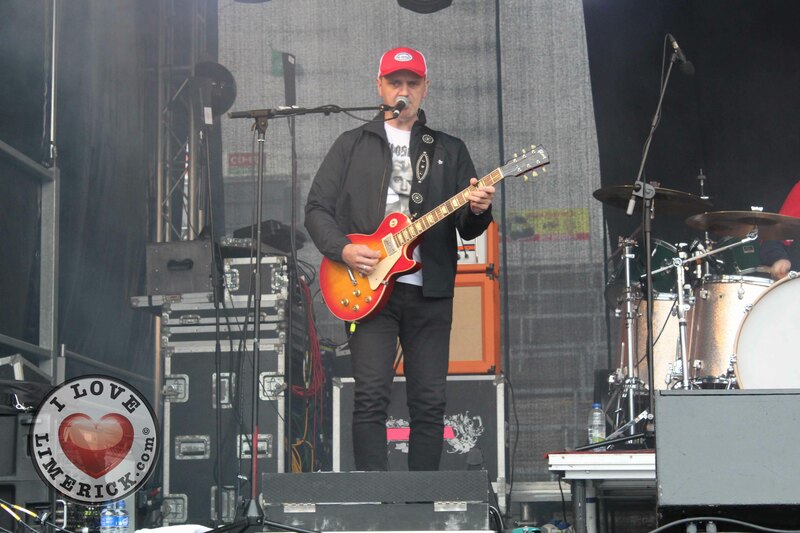 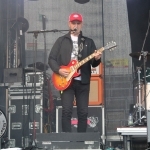 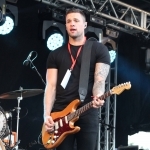 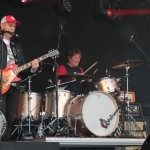 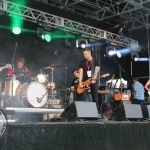 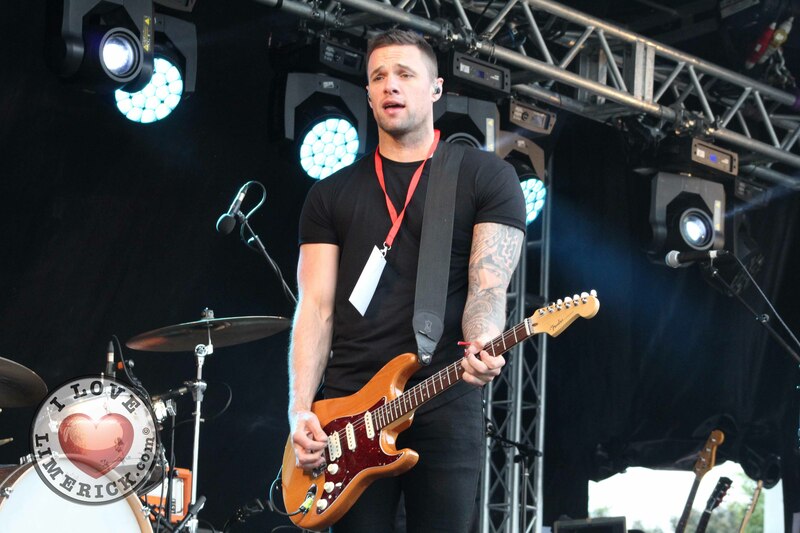 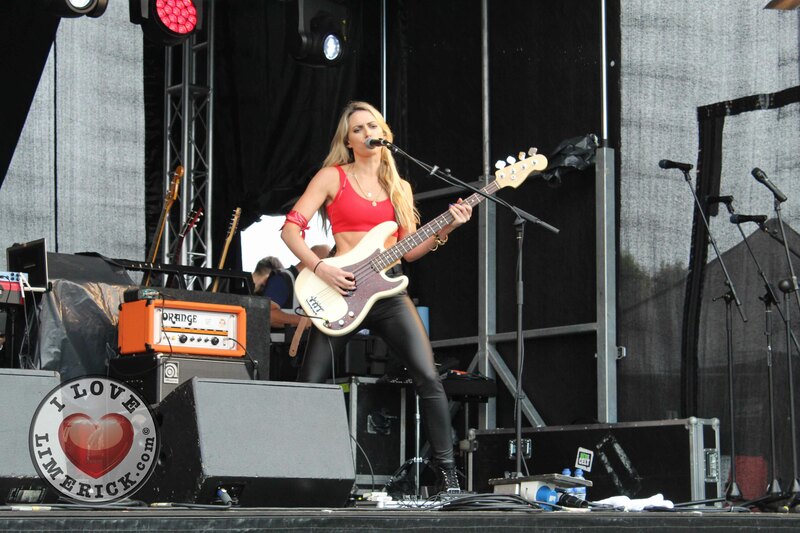 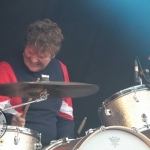 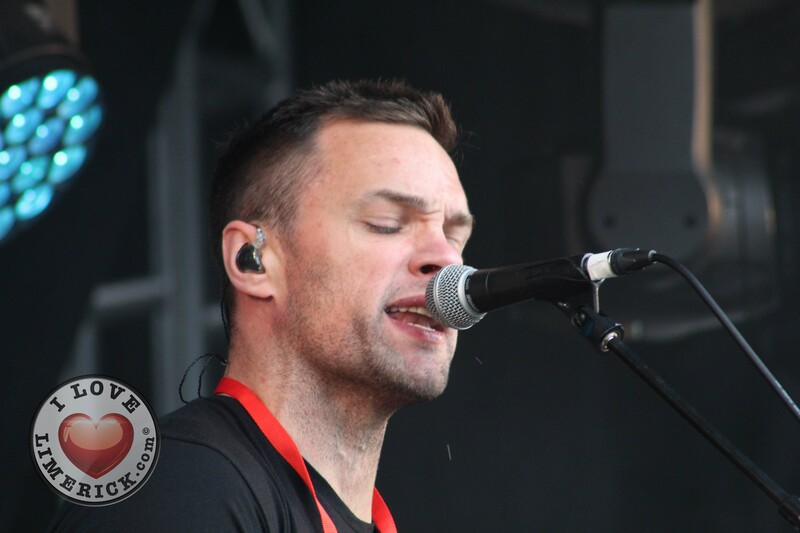 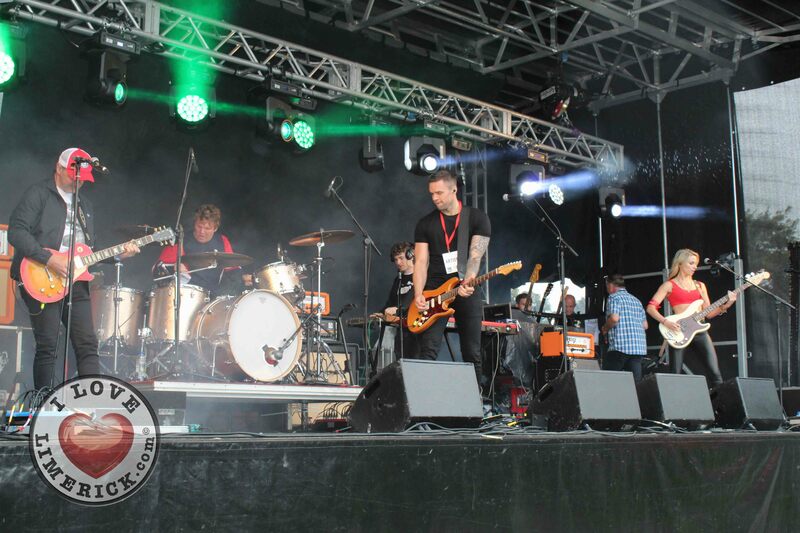 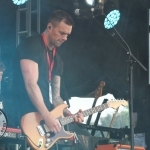 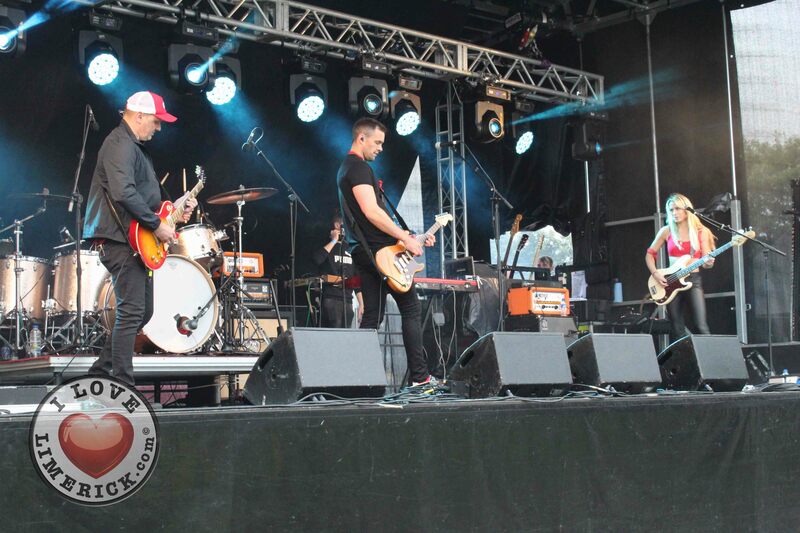 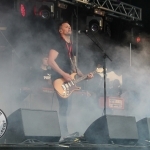 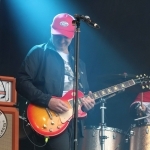 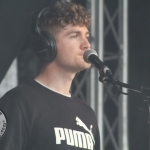 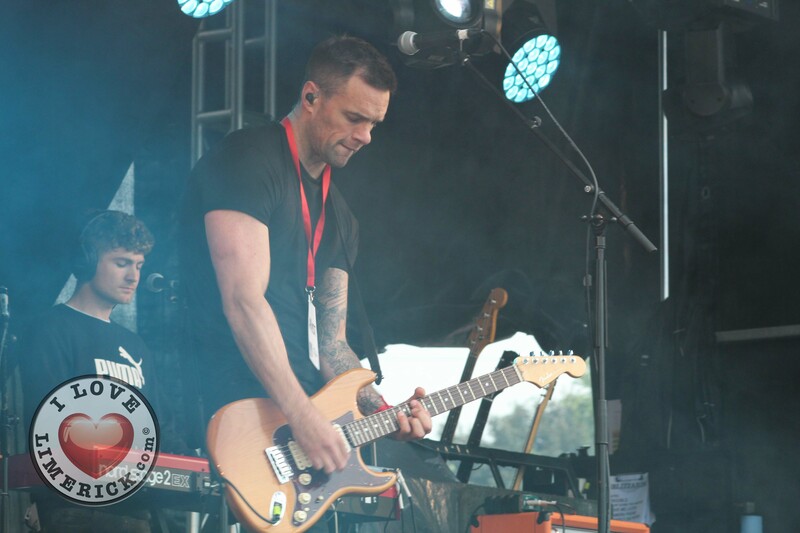 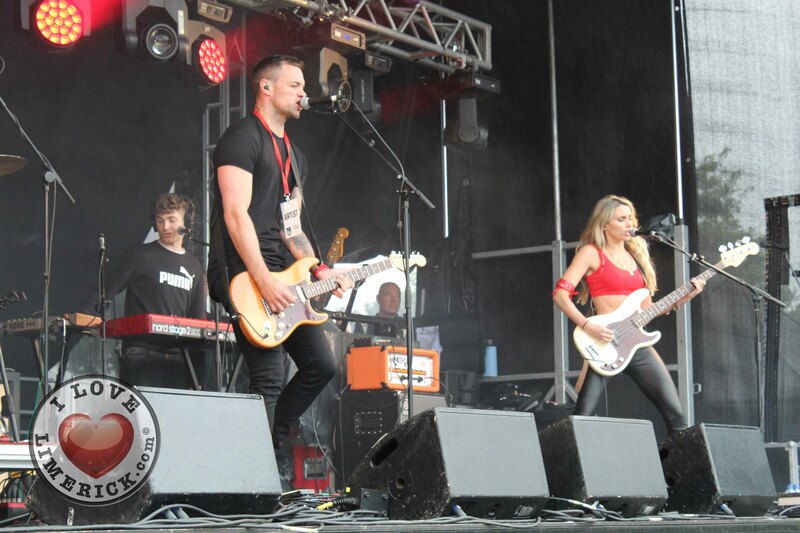 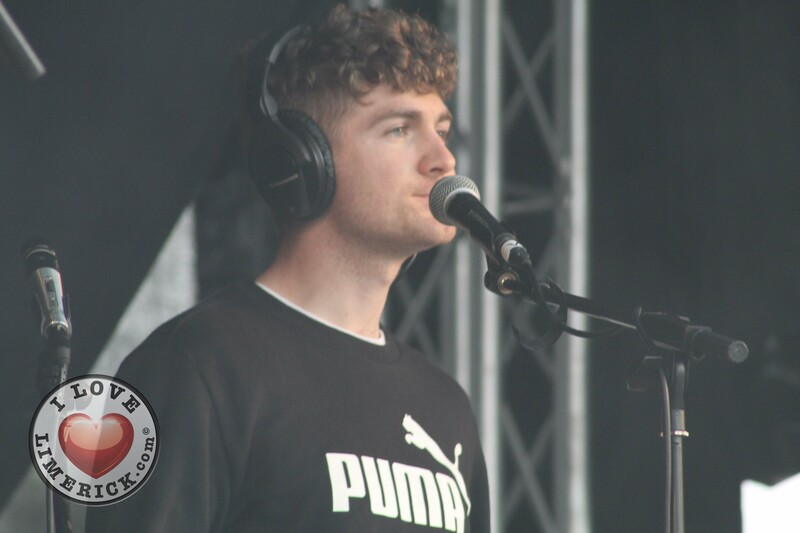 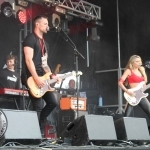 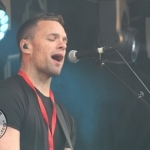 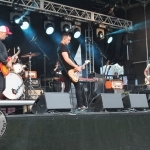 There were musical performances from the Blizzards, Beoga and many more as the biggest party in the country continued into the late hours of yesterday evening.